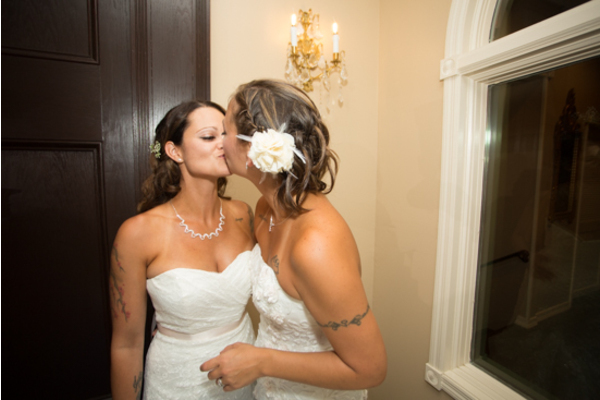 Congratulations to Deanna and Tina on their marriage. 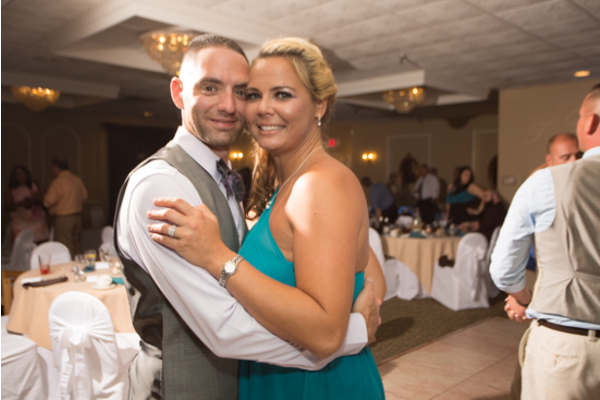 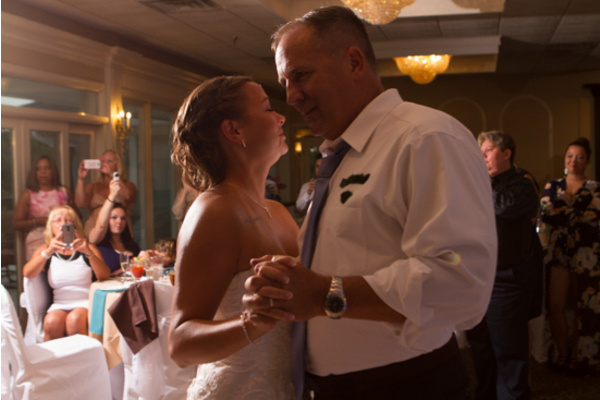 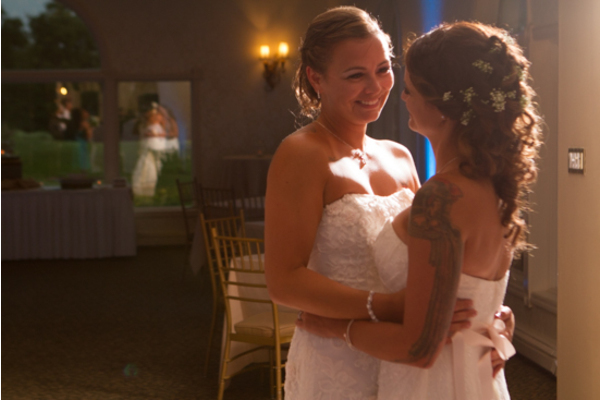 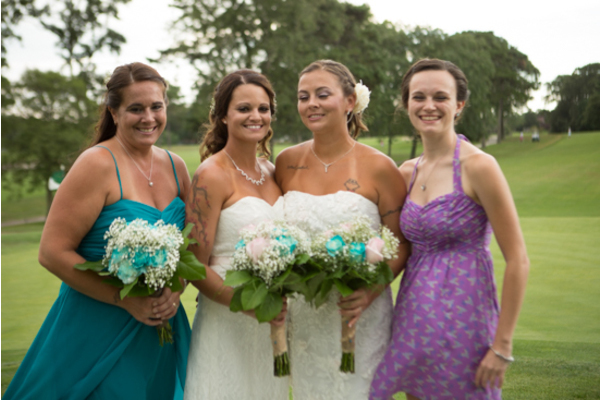 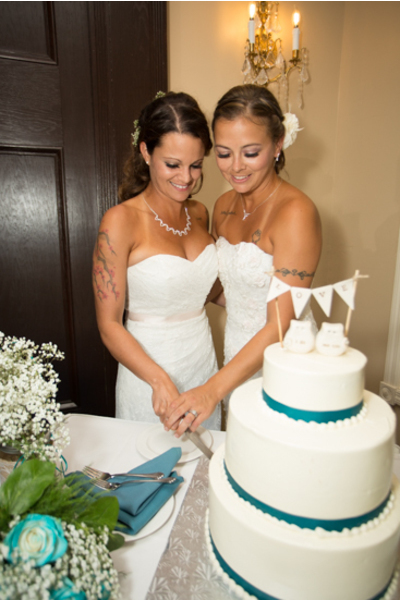 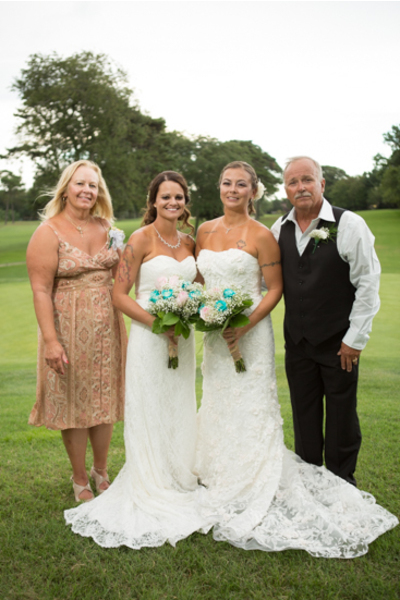 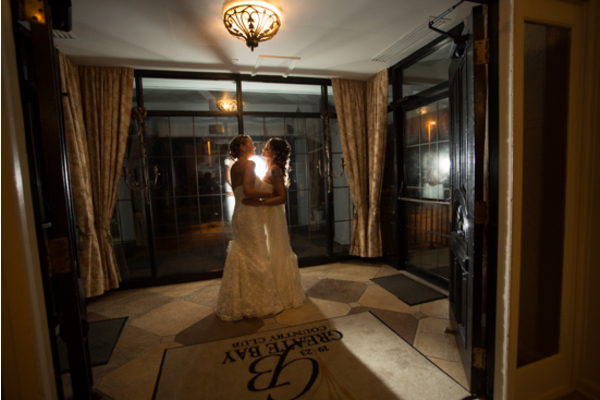 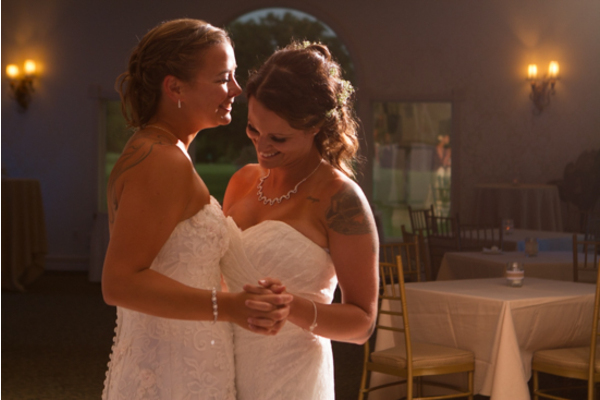 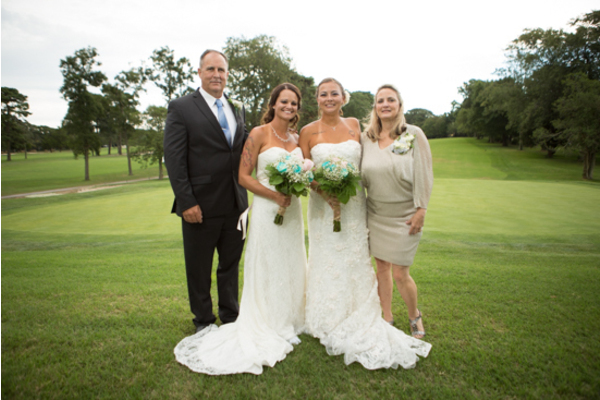 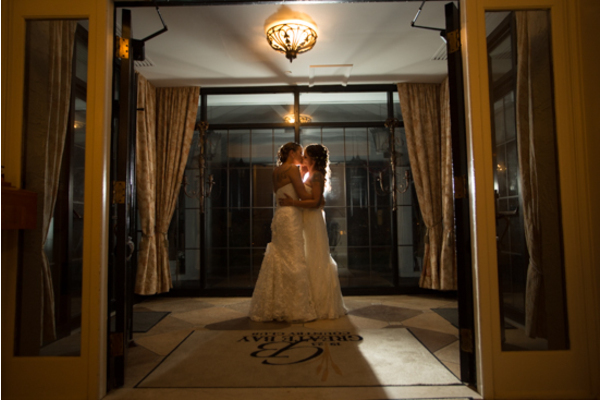 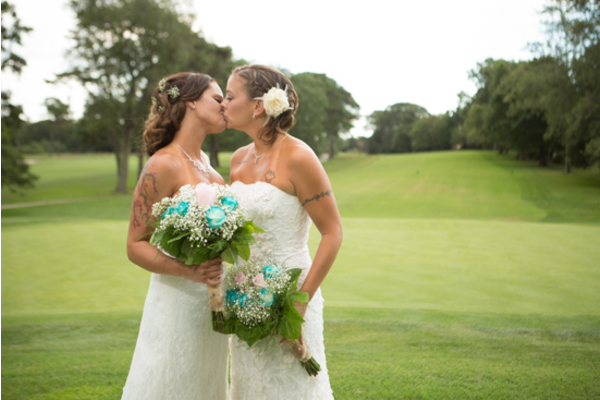 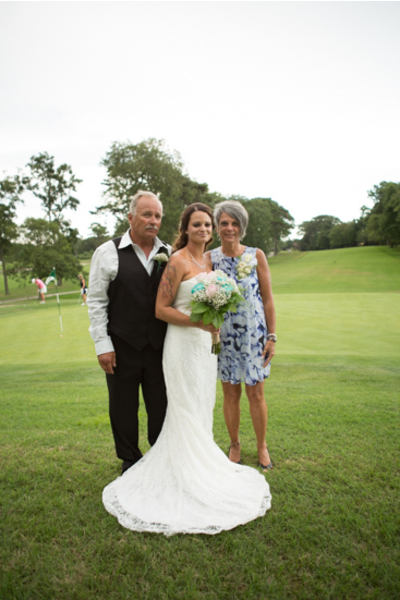 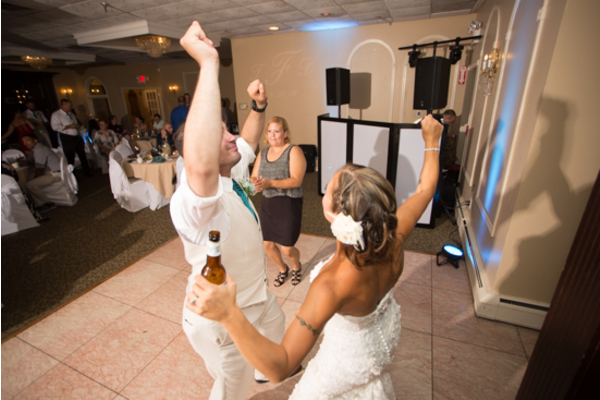 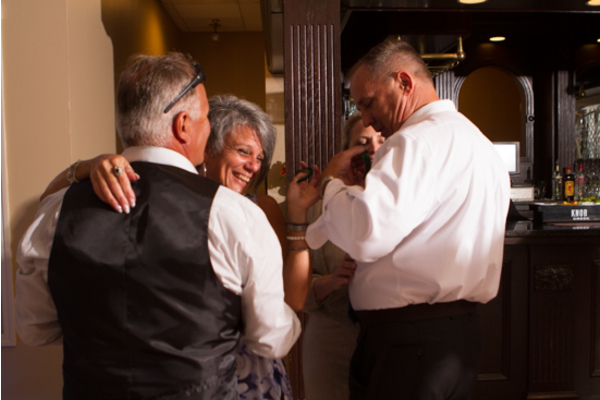 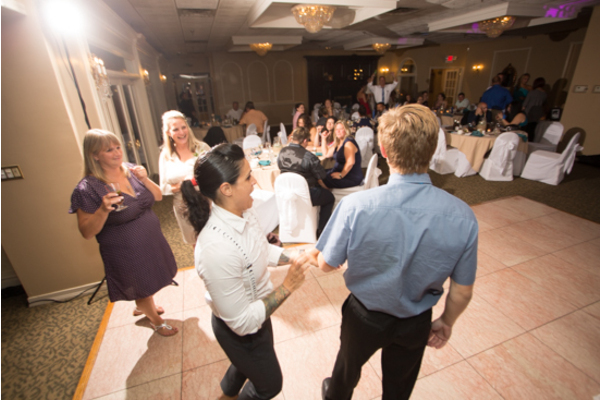 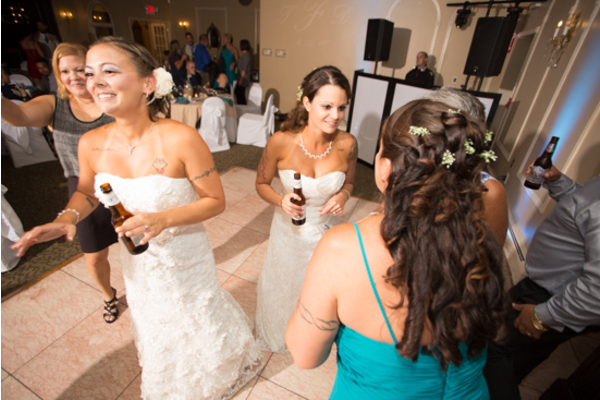 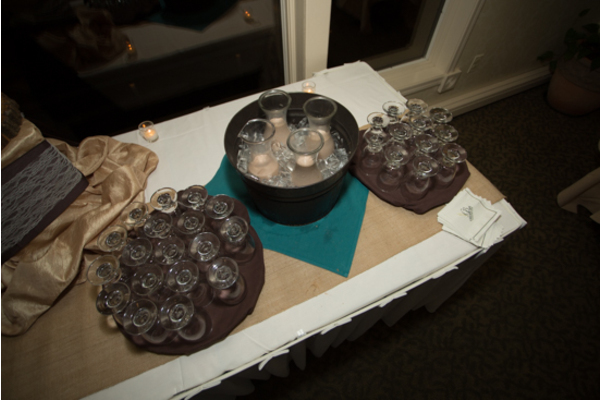 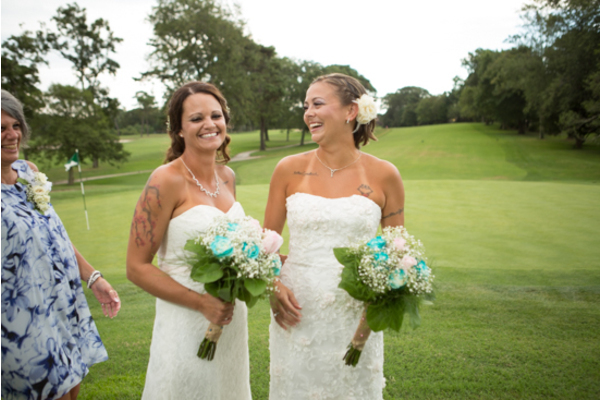 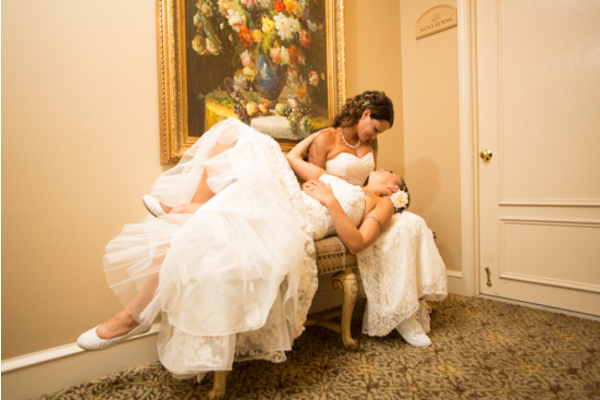 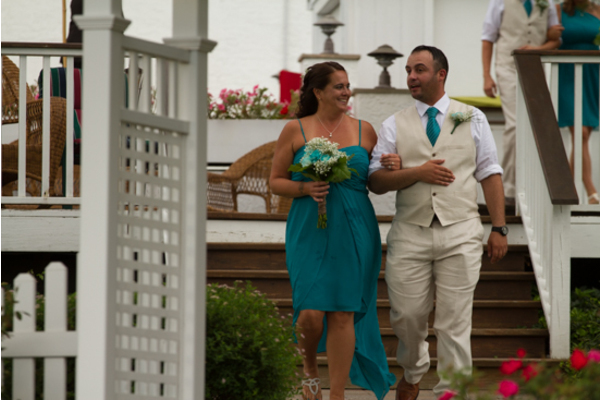 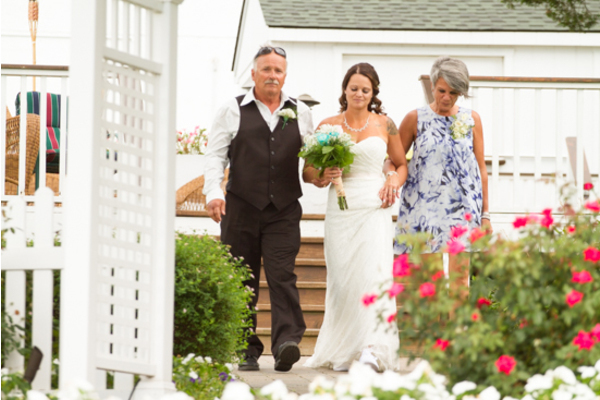 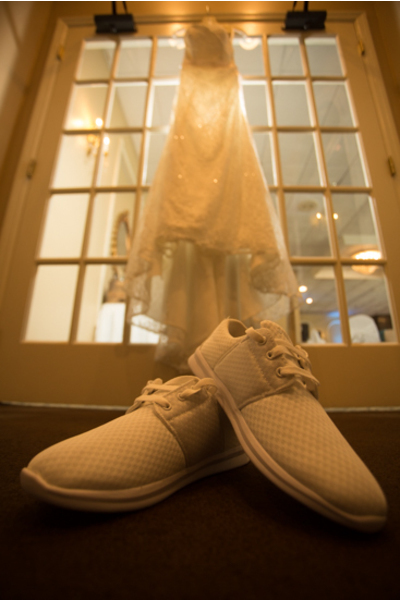 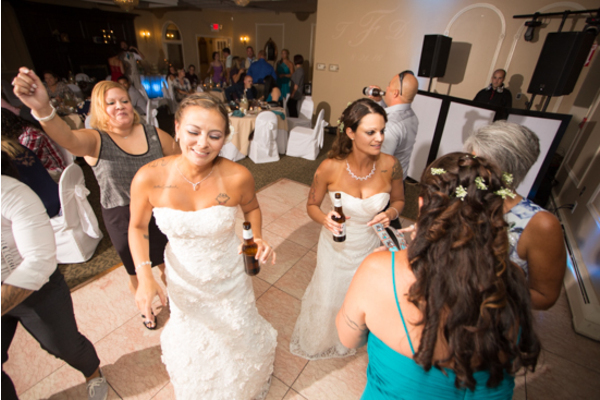 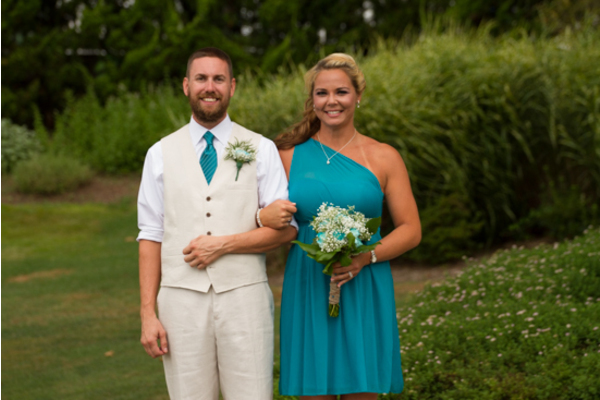 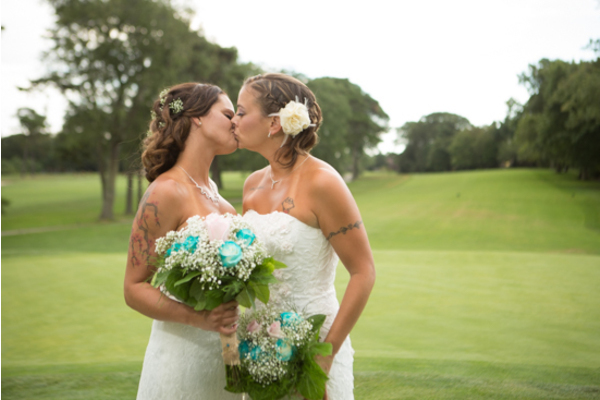 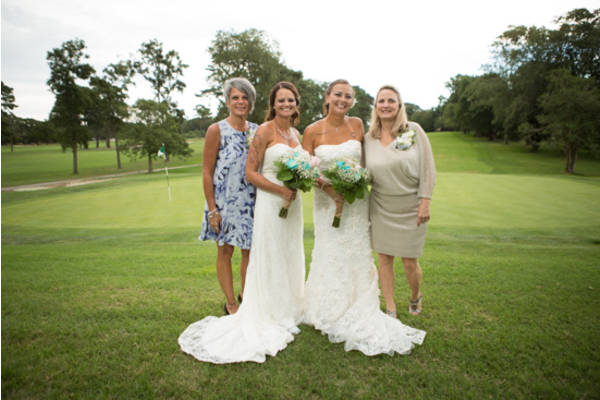 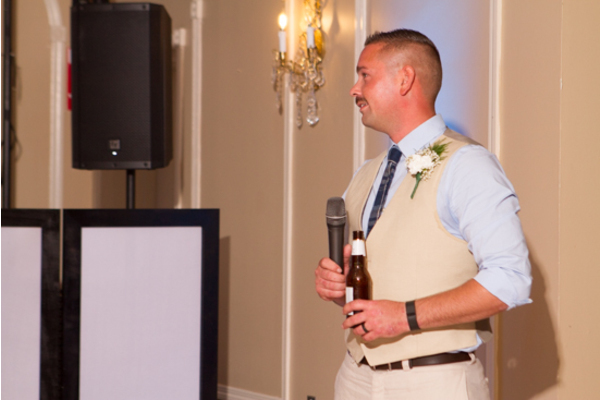 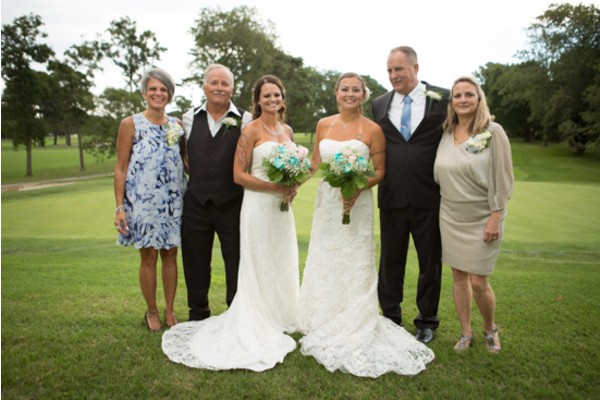 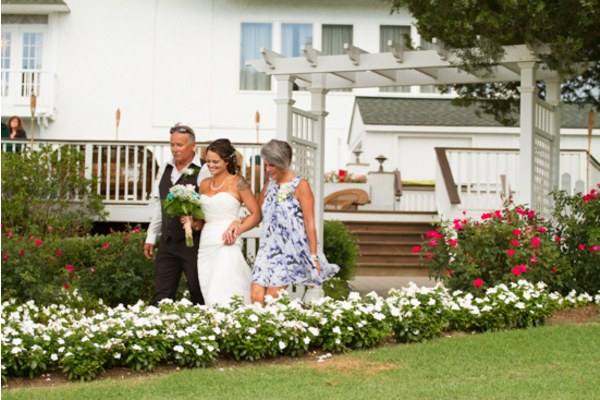 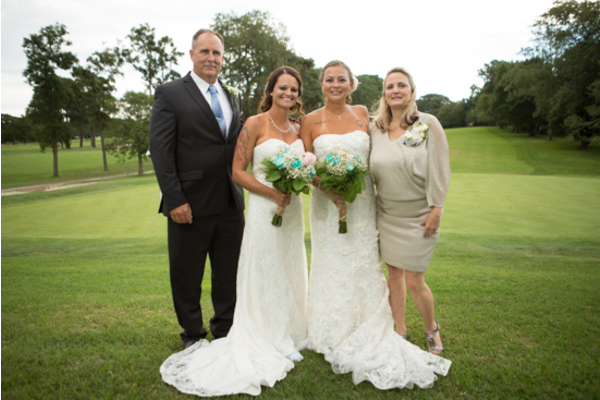 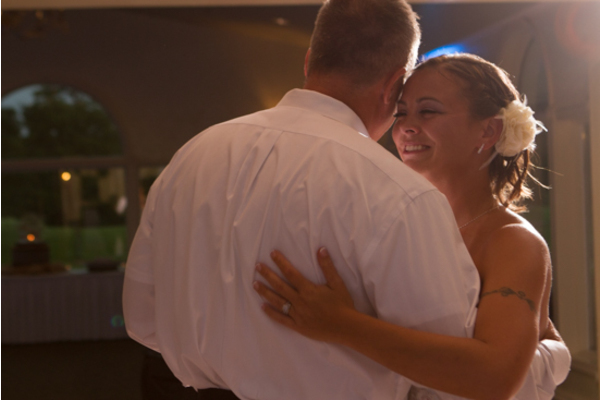 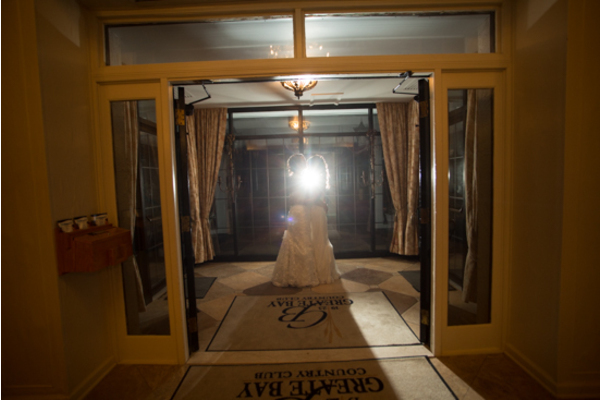 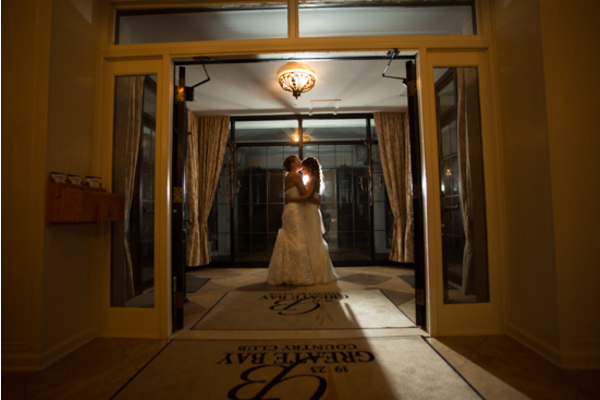 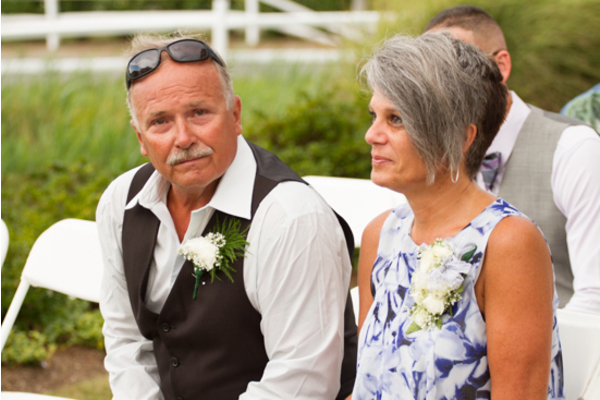 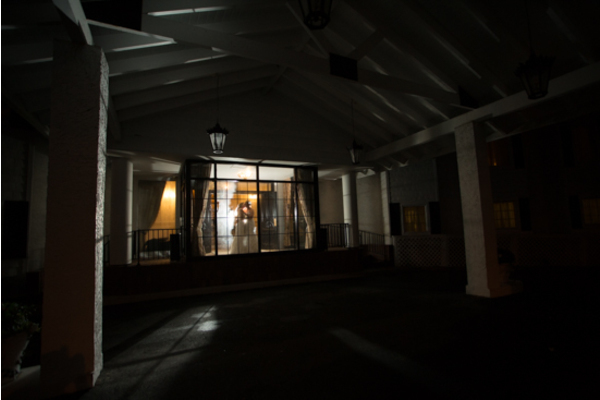 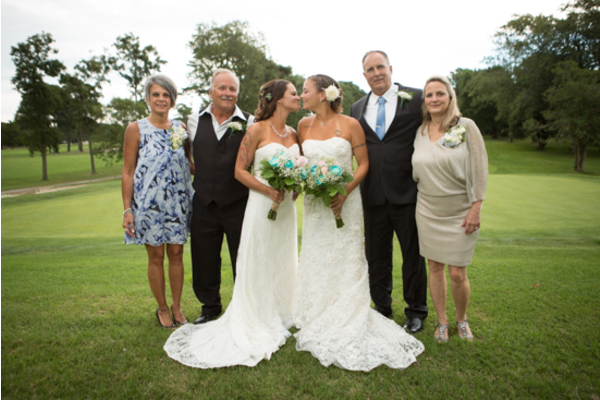 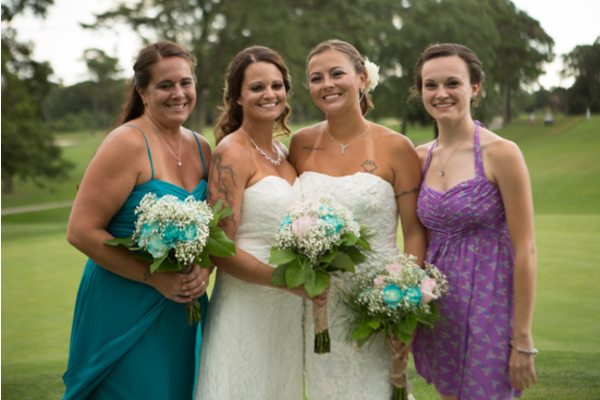 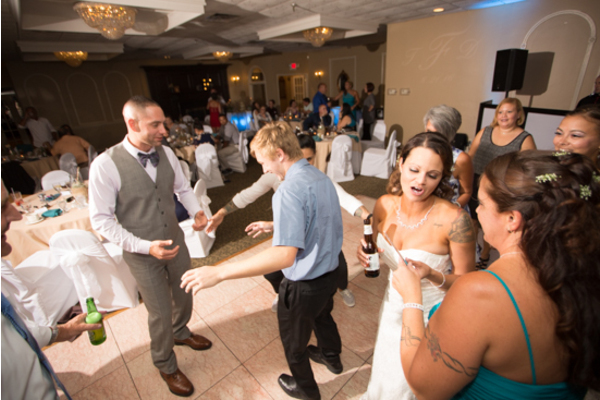 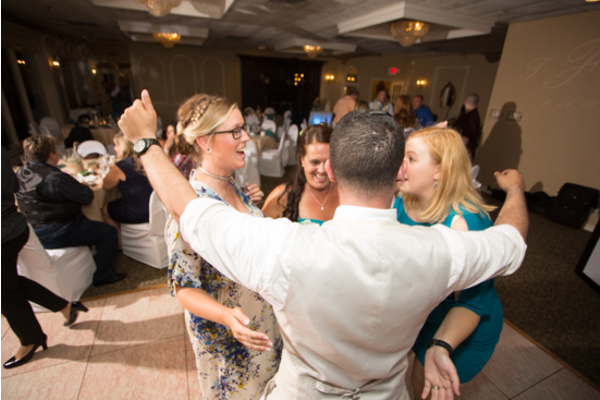 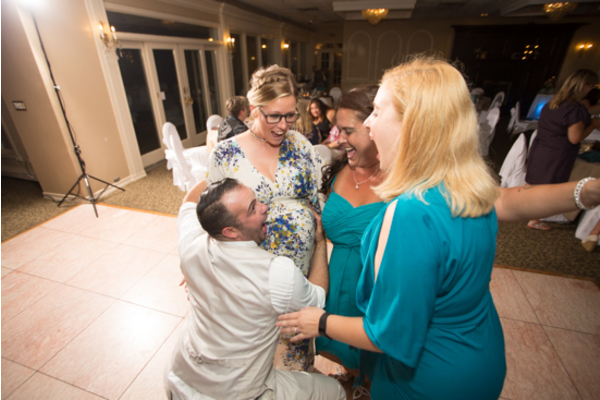 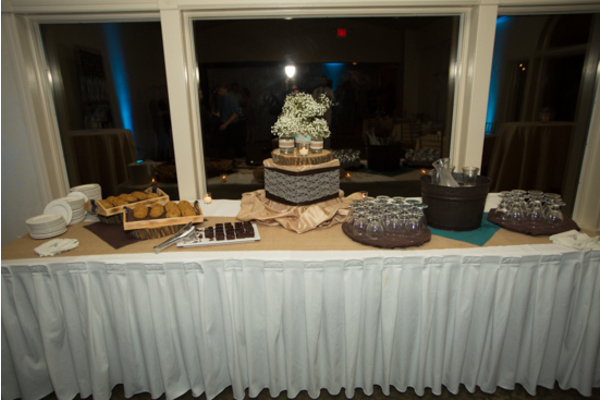 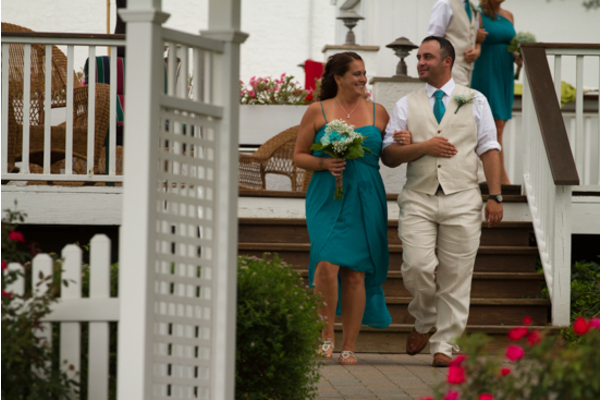 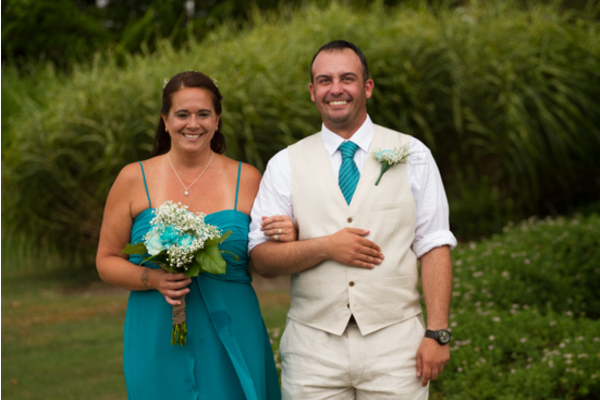 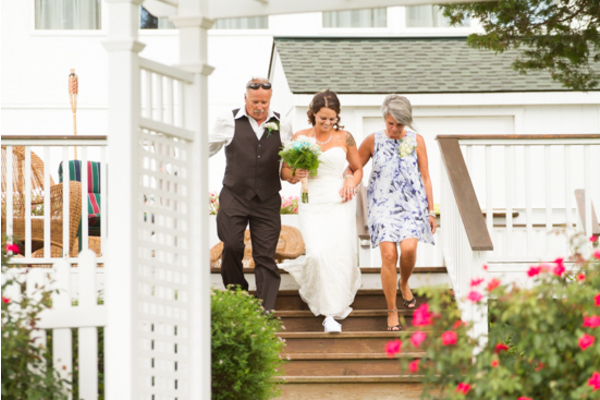 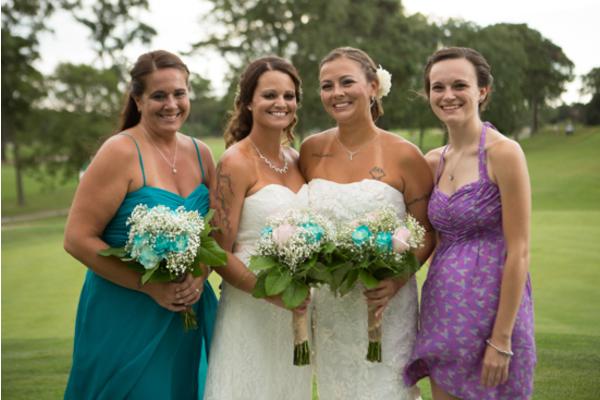 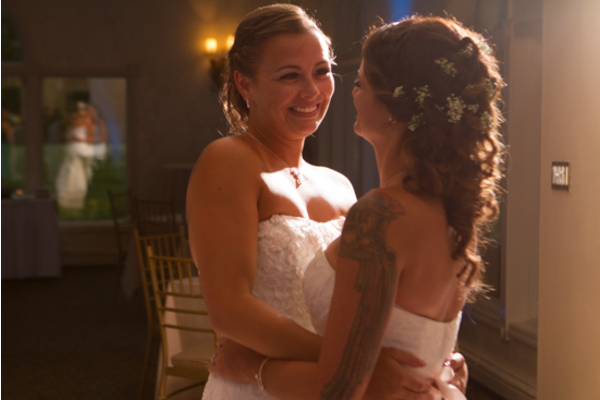 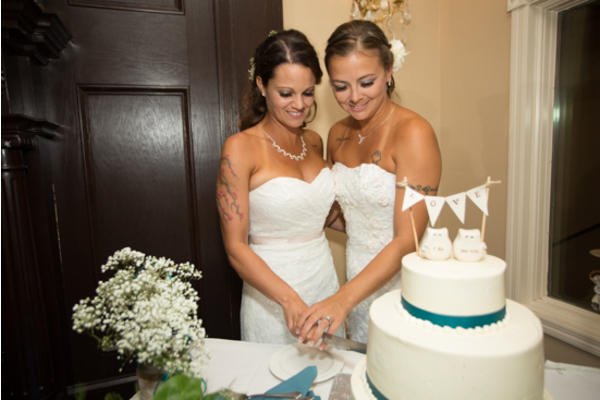 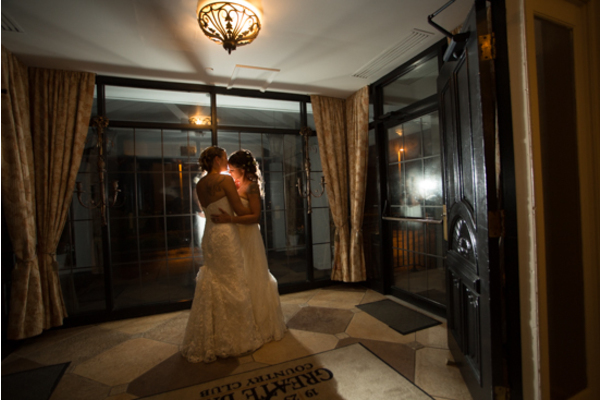 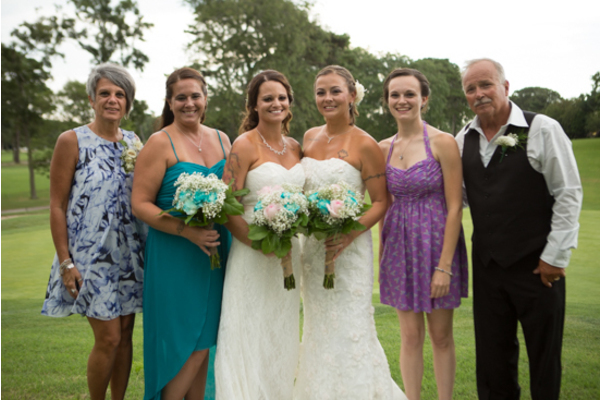 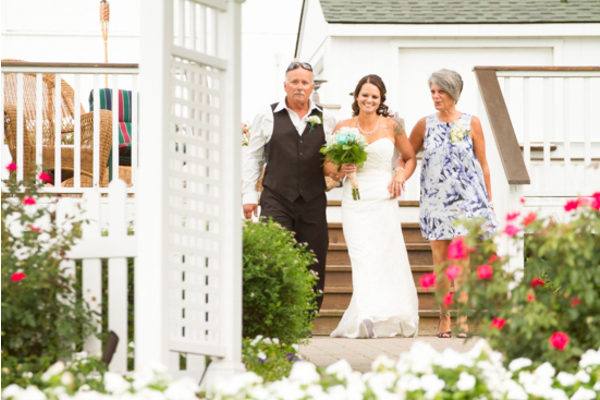 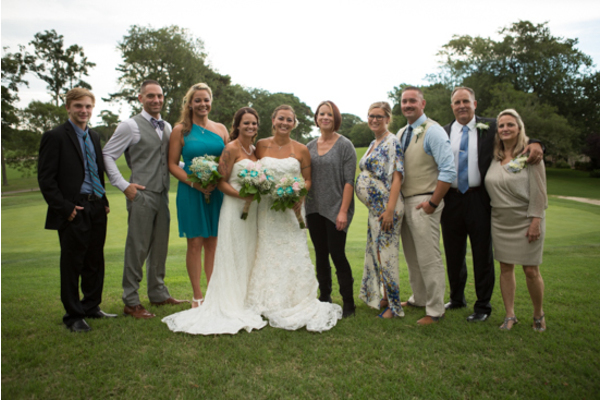 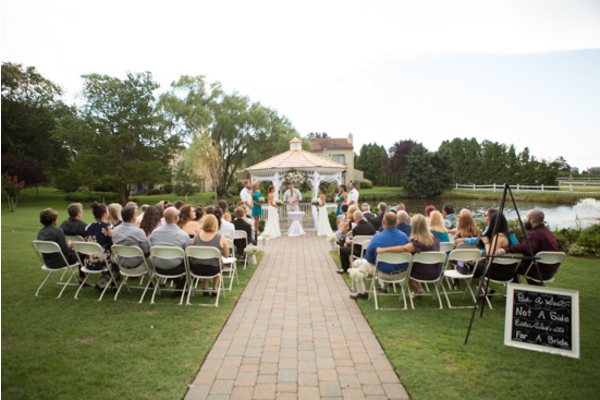 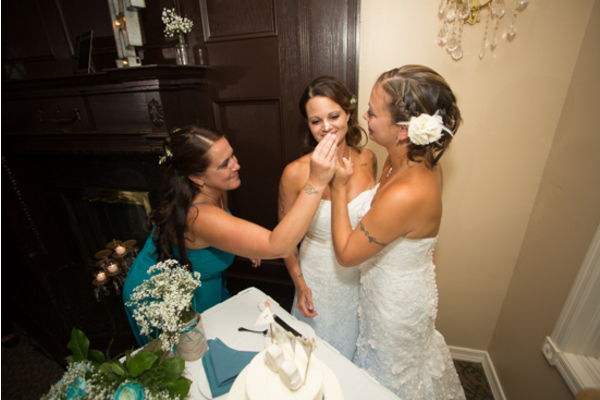 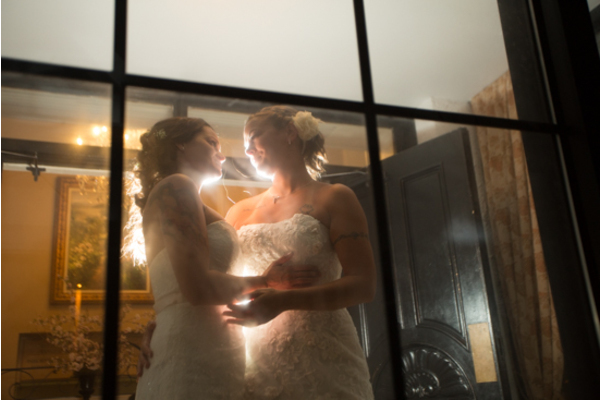 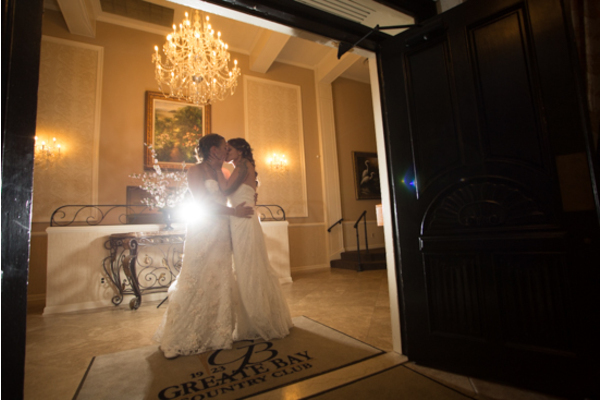 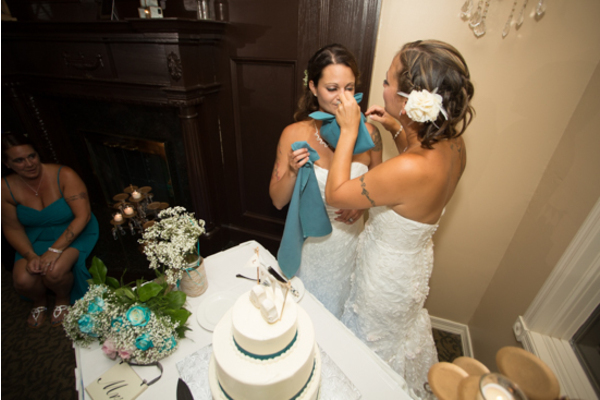 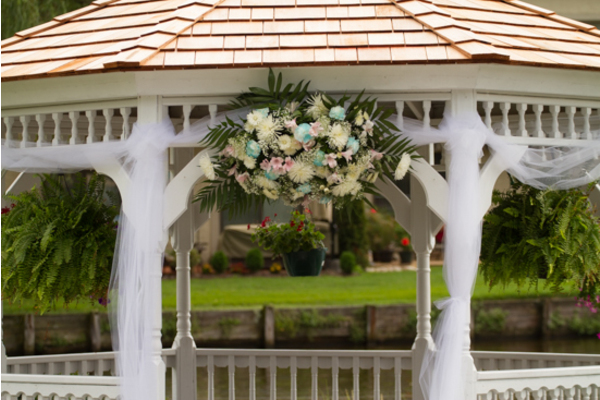 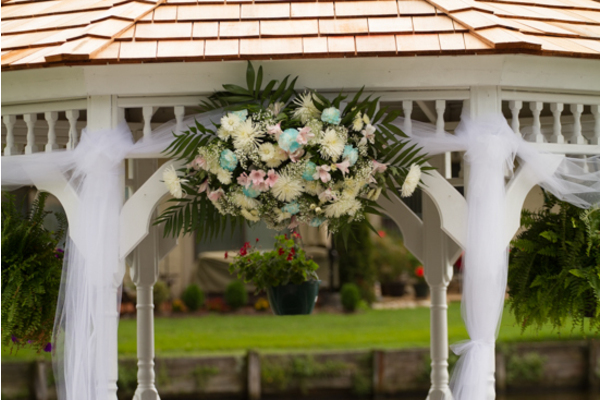 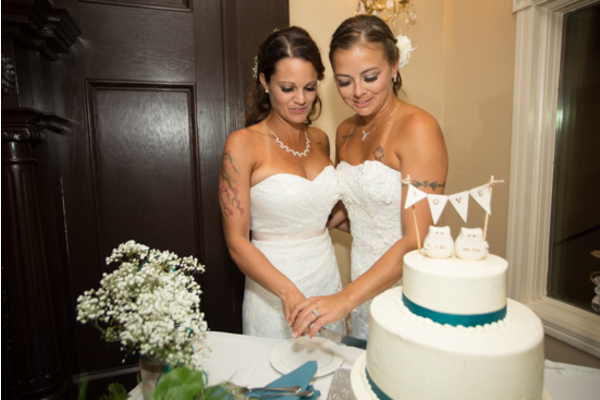 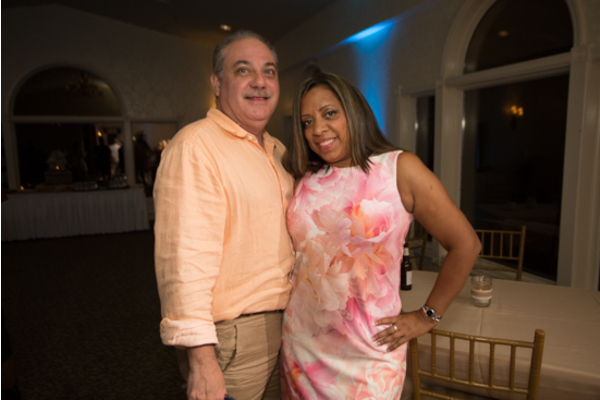 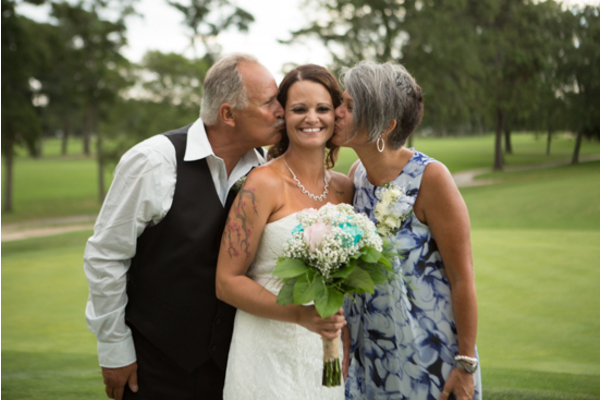 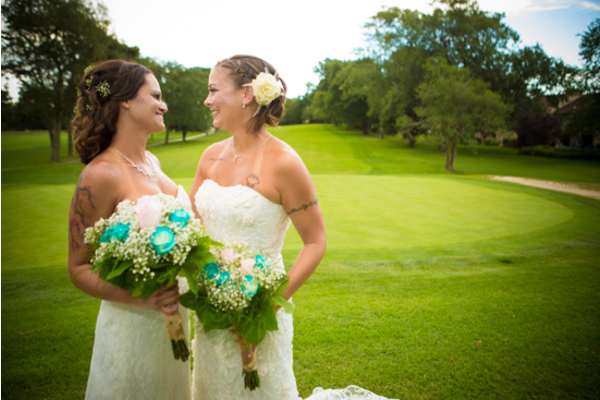 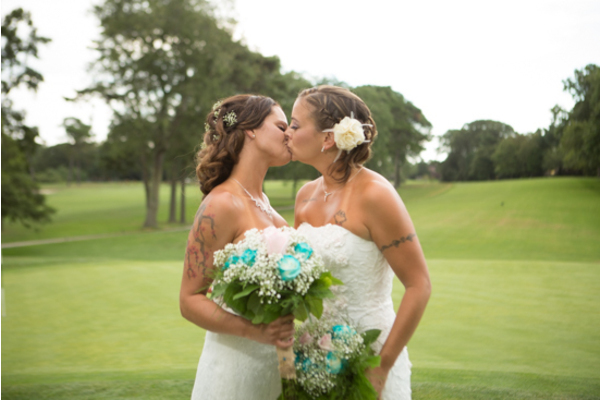 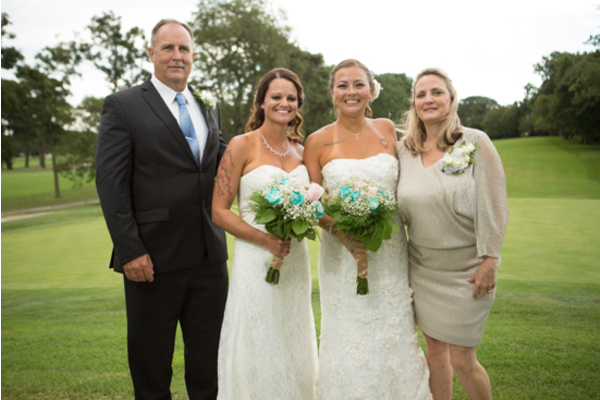 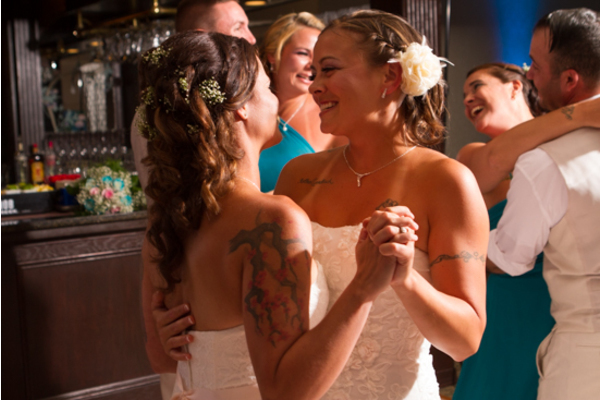 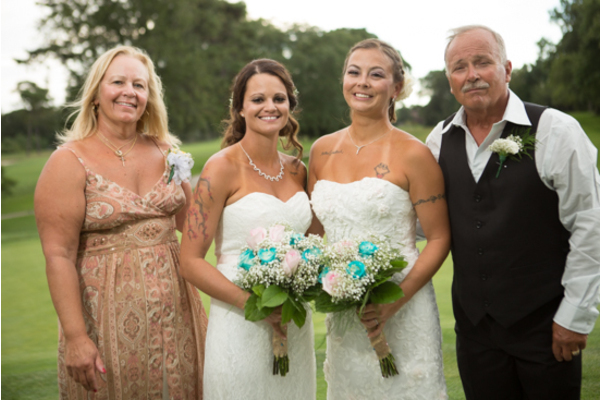 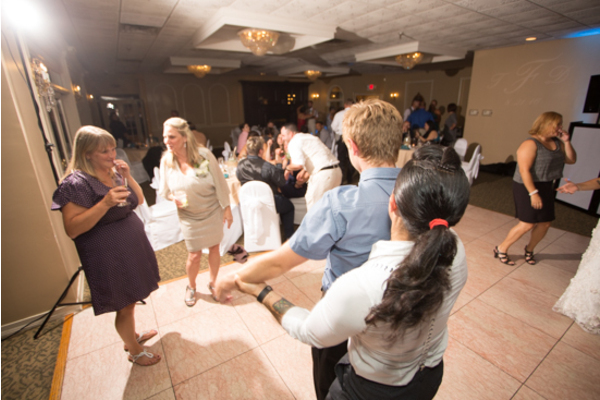 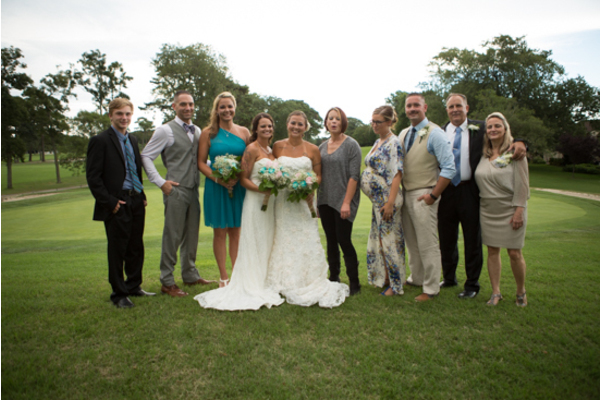 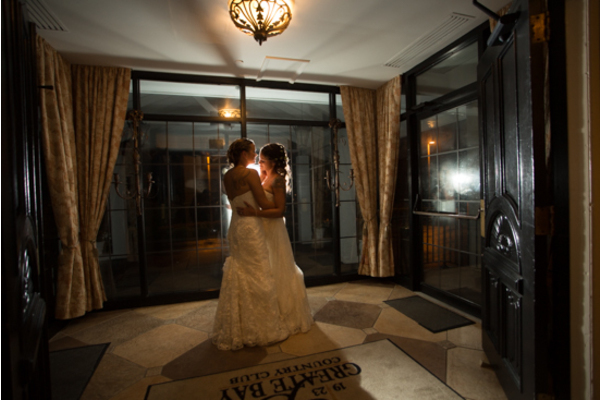 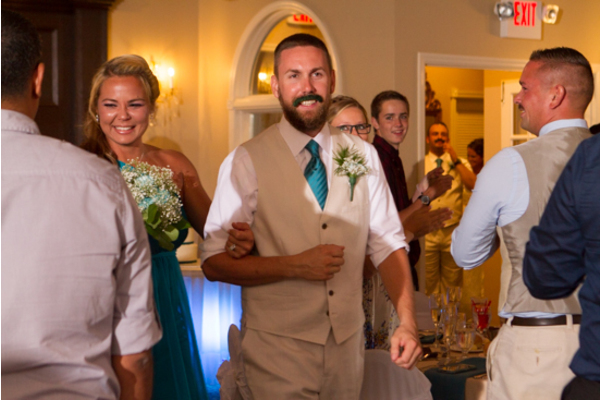 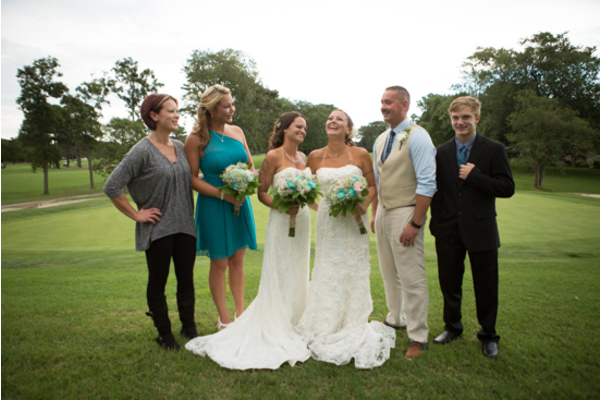 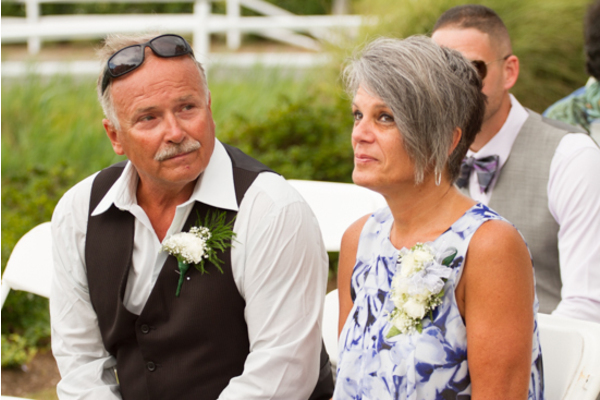 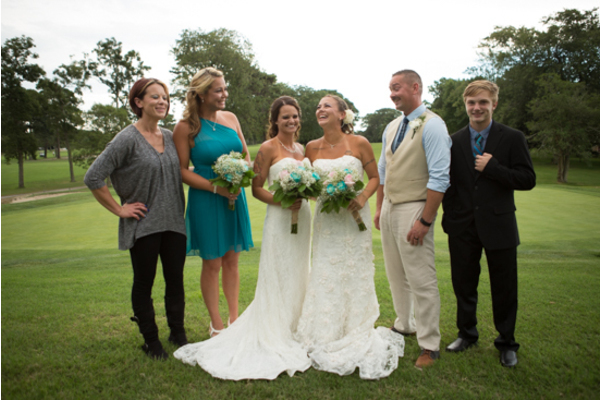 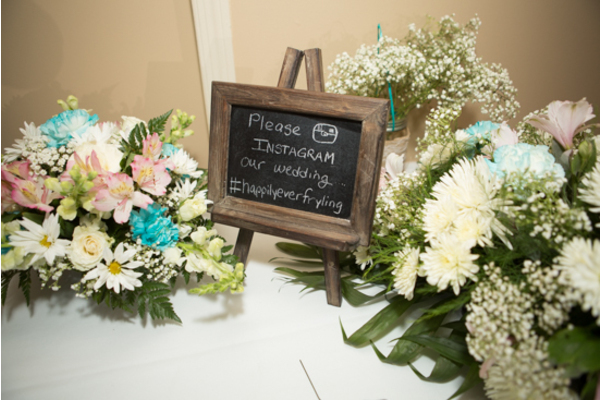 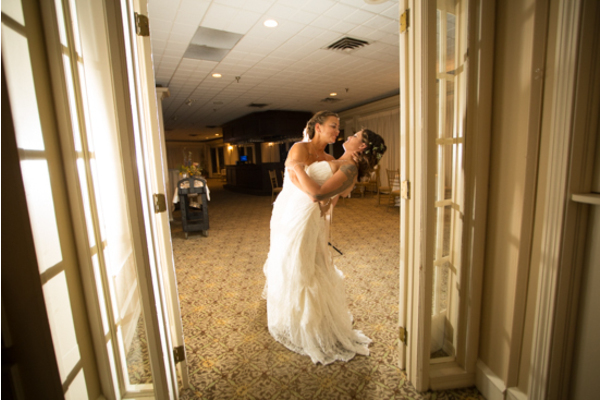 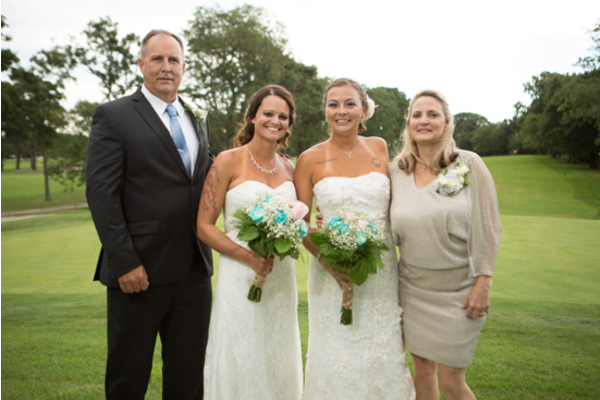 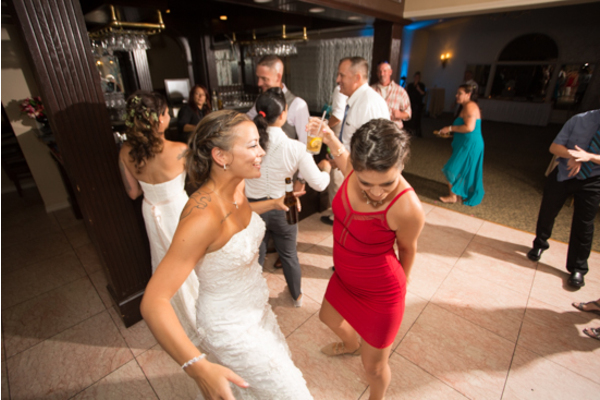 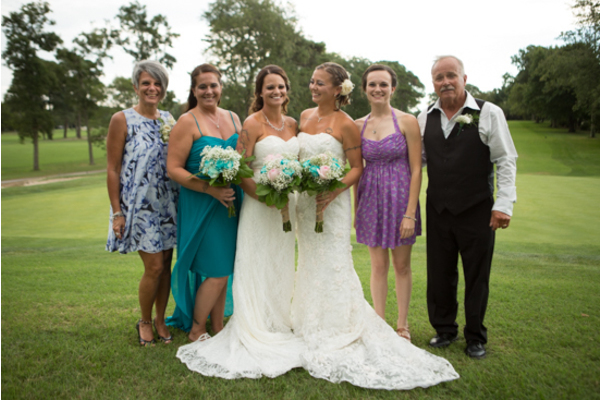 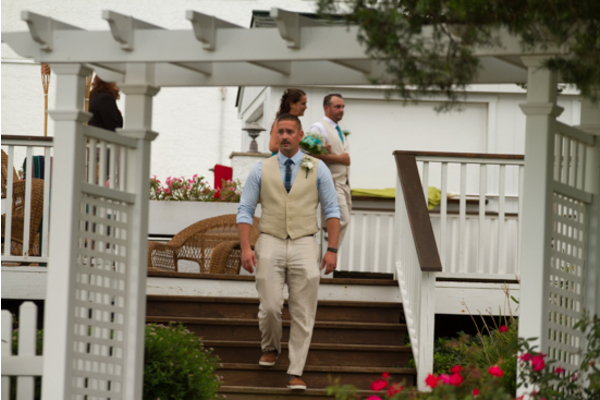 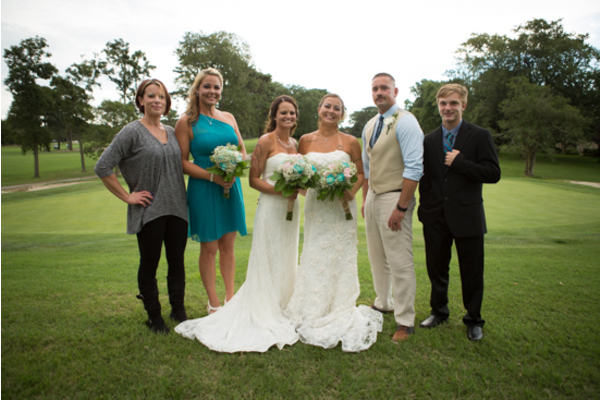 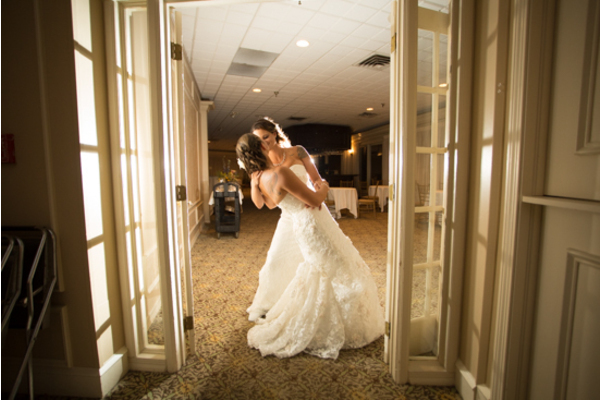 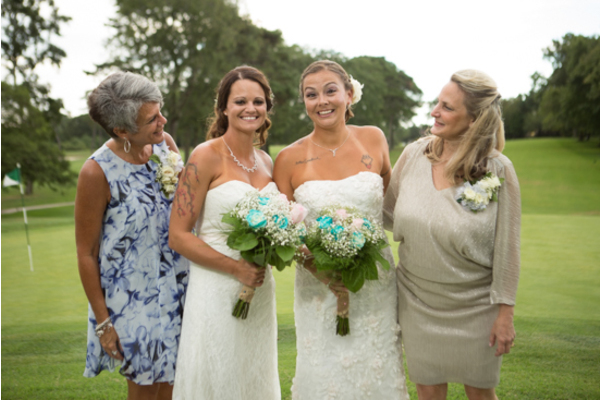 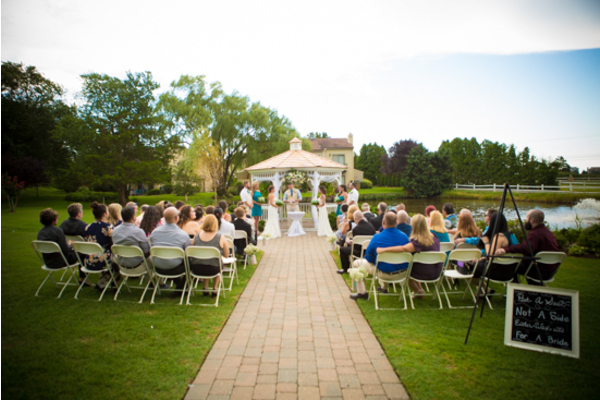 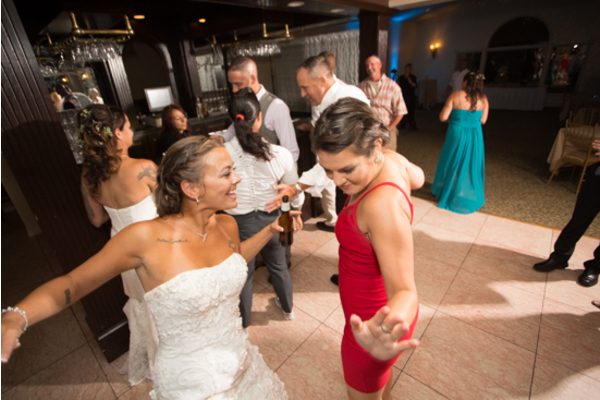 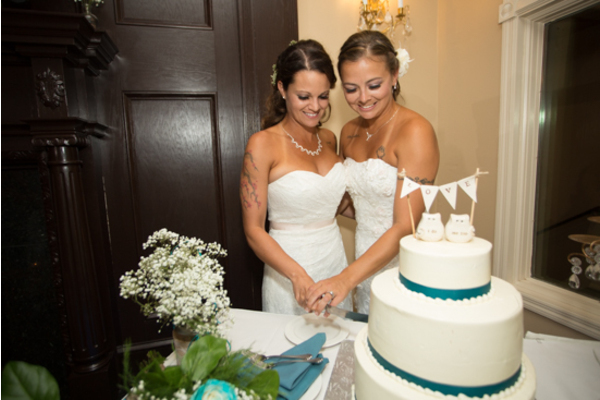 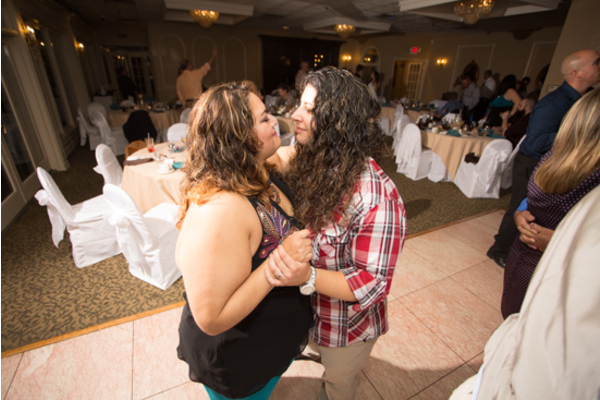 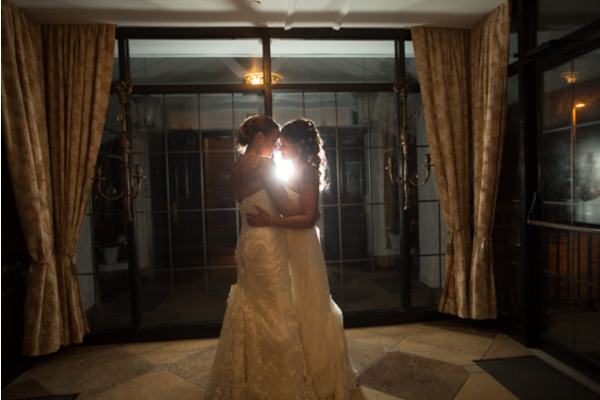 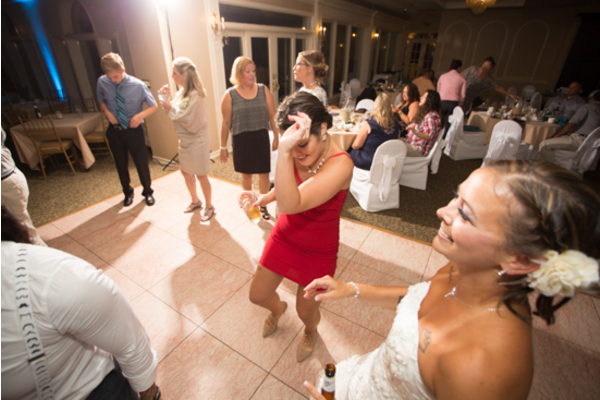 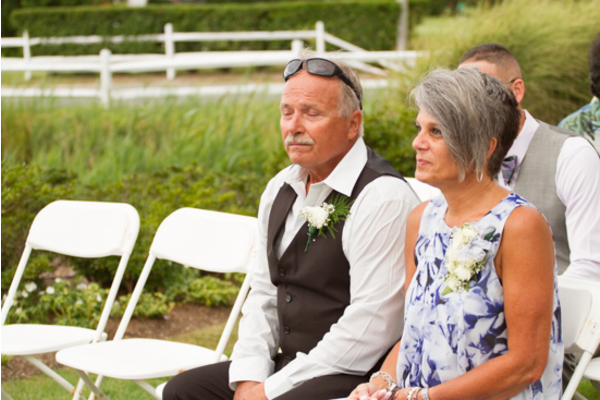 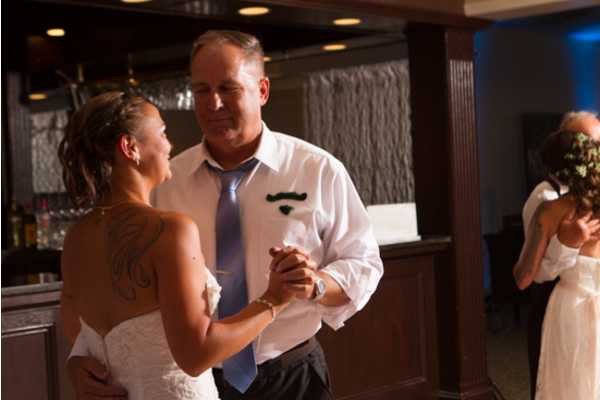 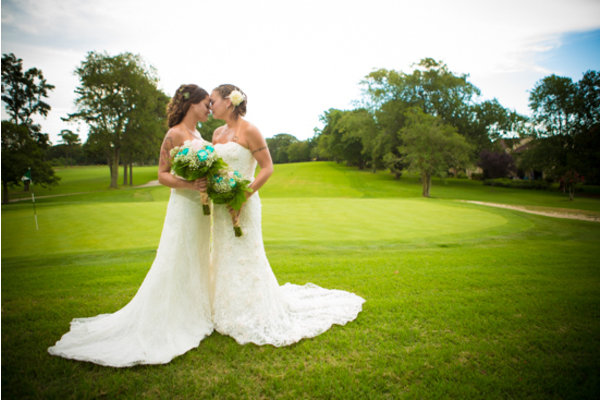 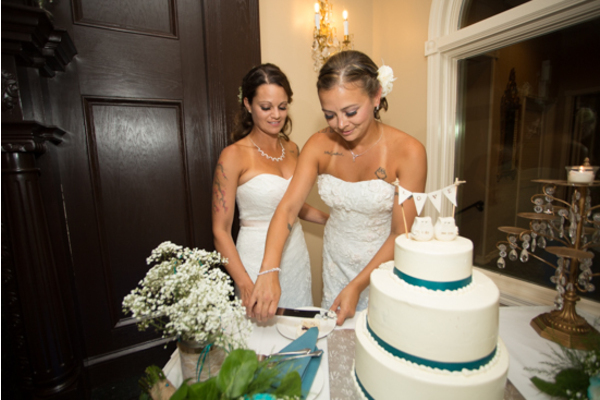 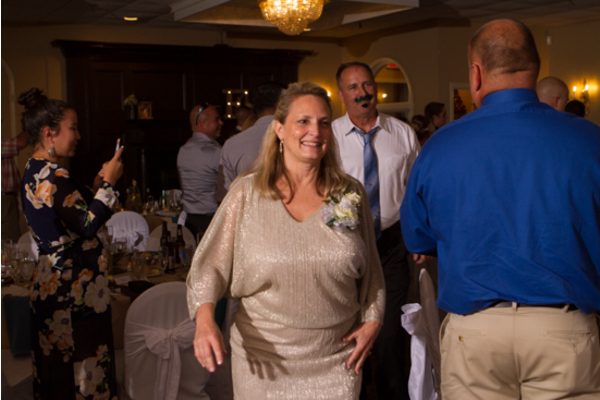 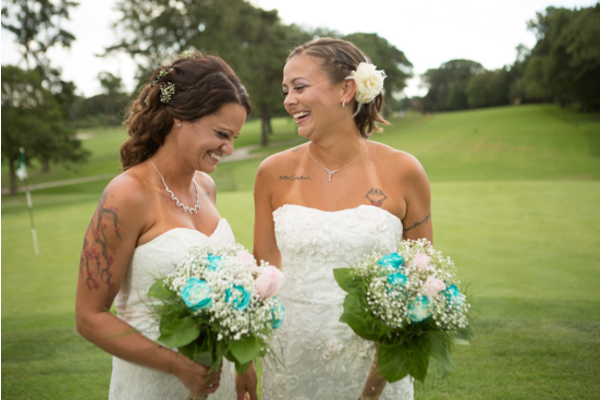 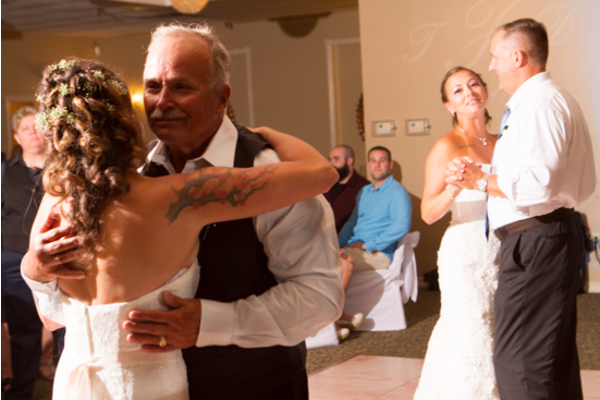 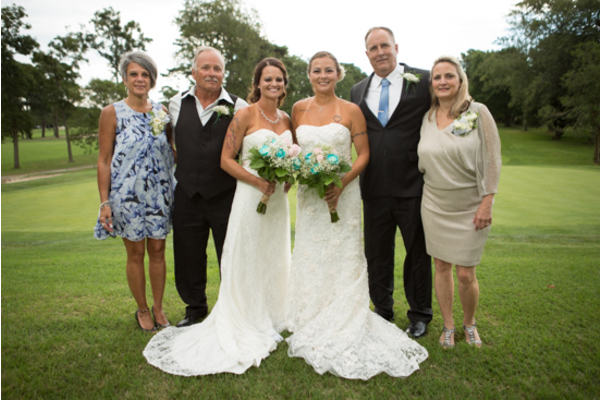 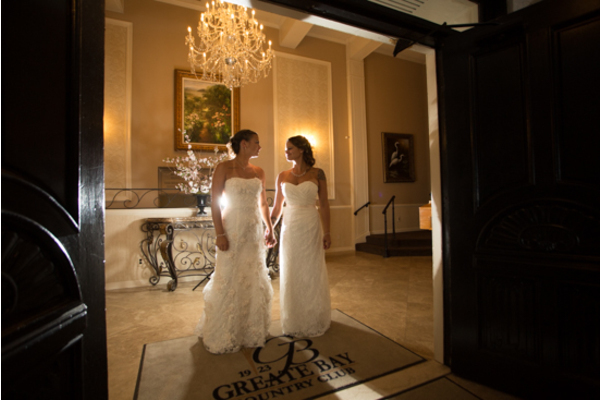 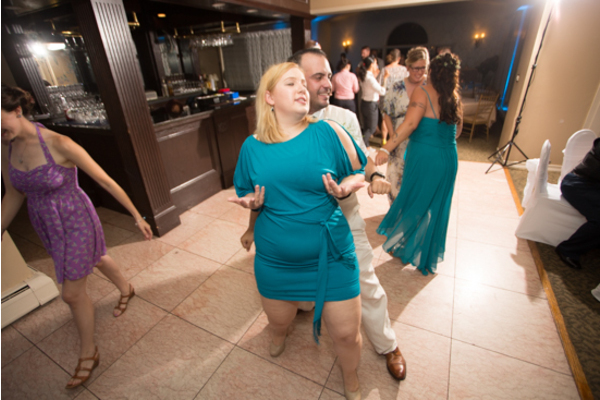 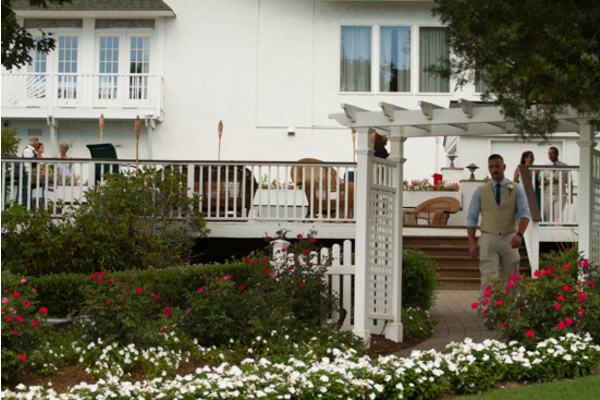 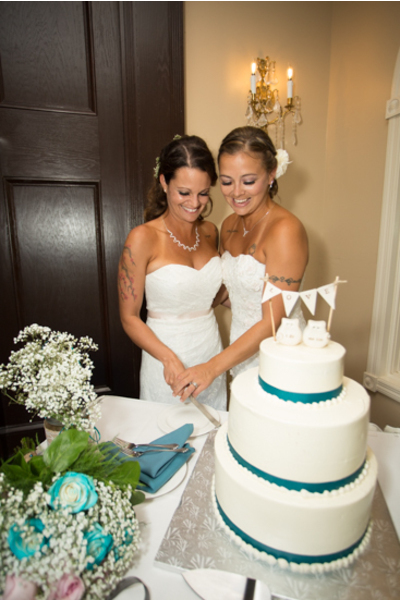 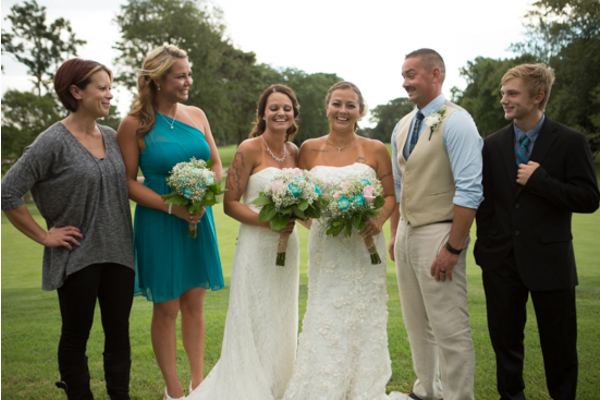 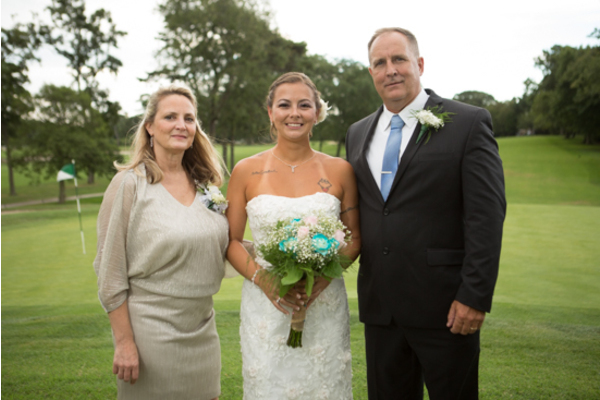 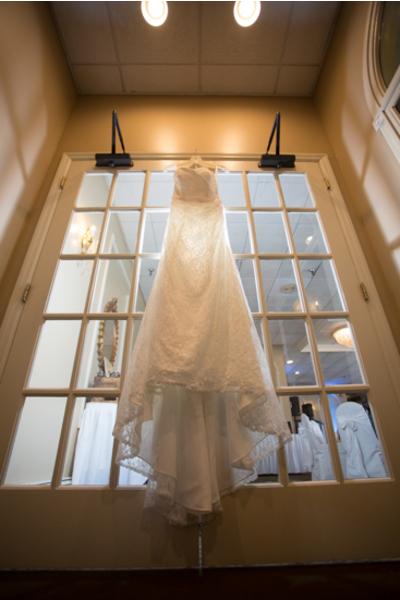 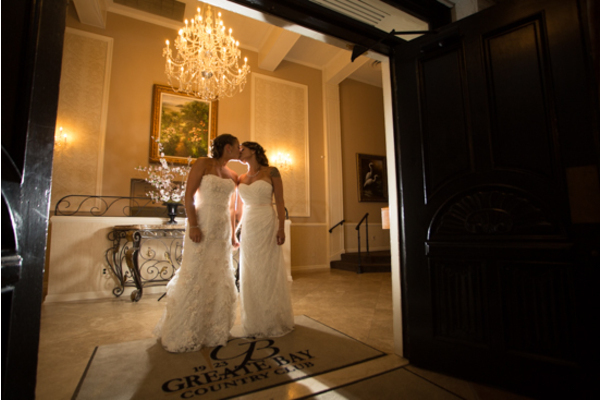 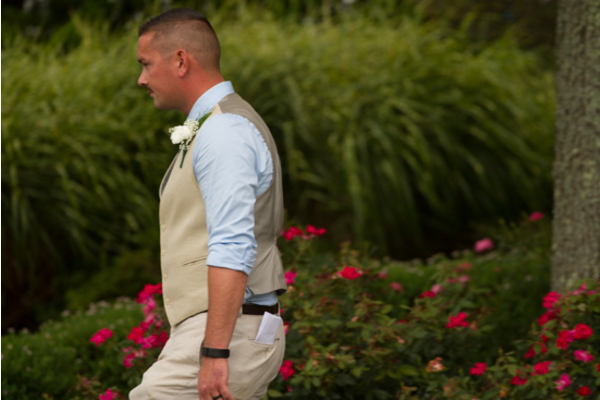 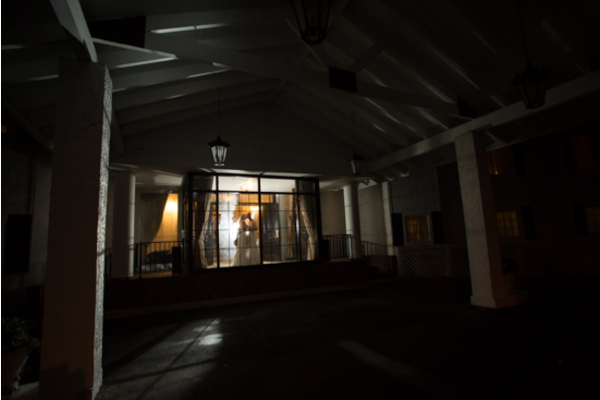 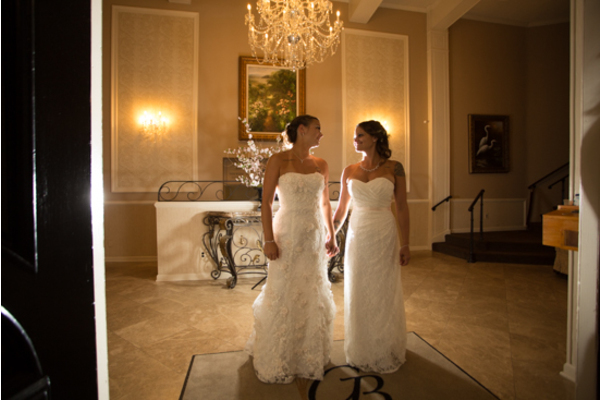 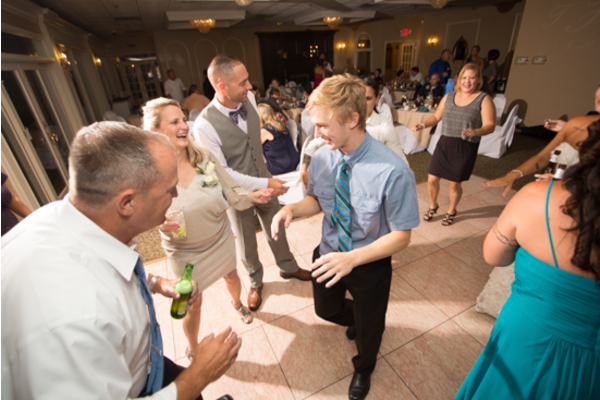 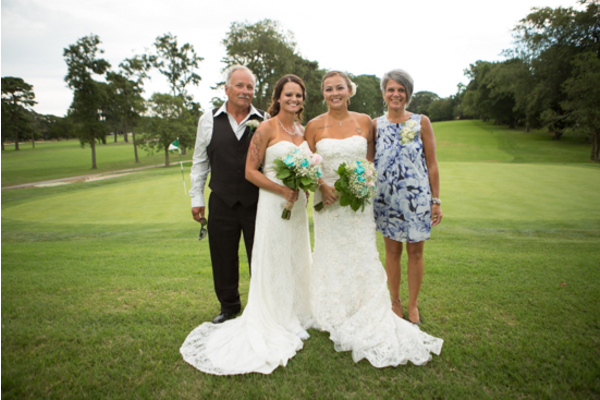 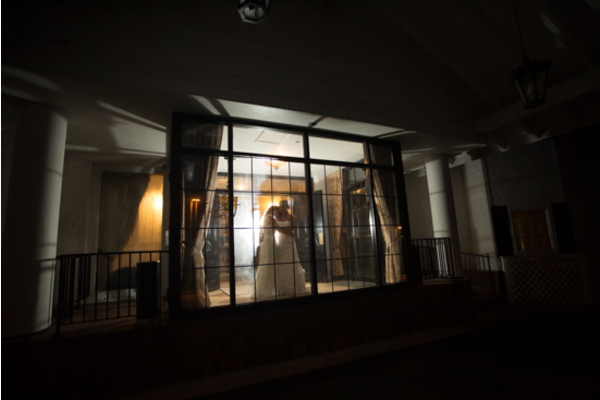 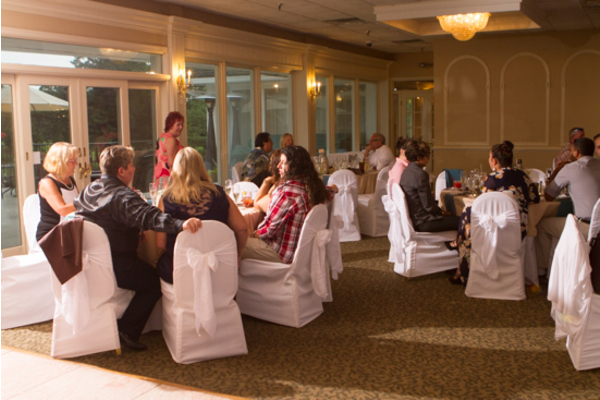 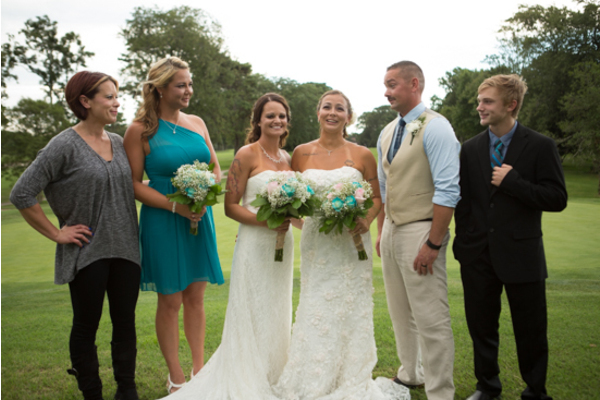 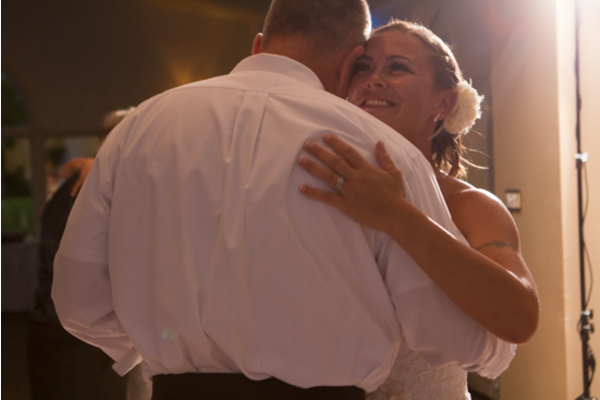 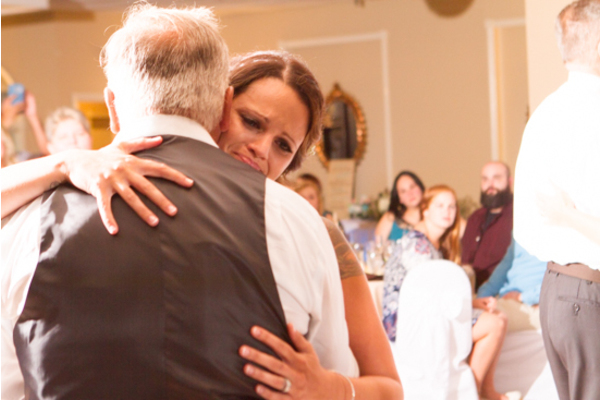 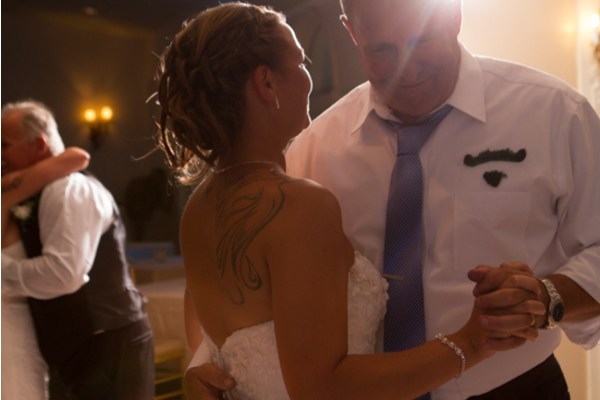 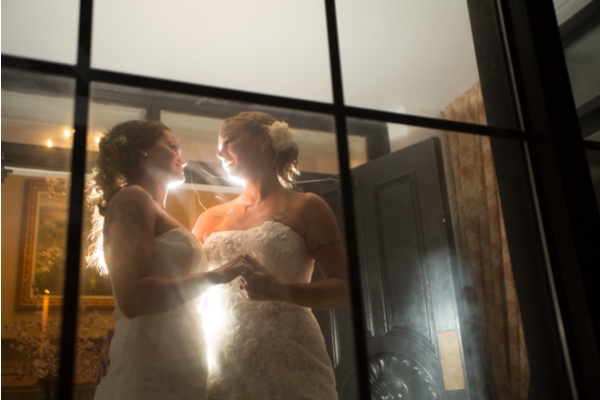 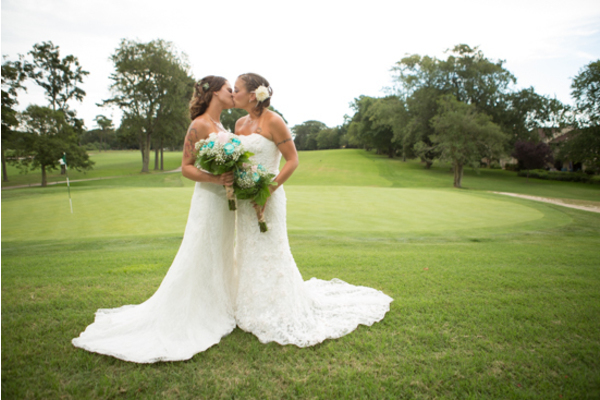 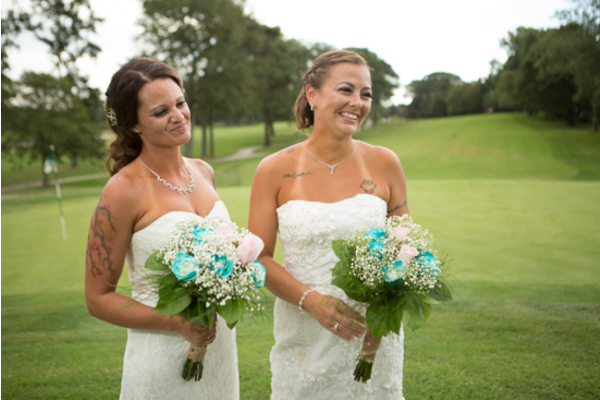 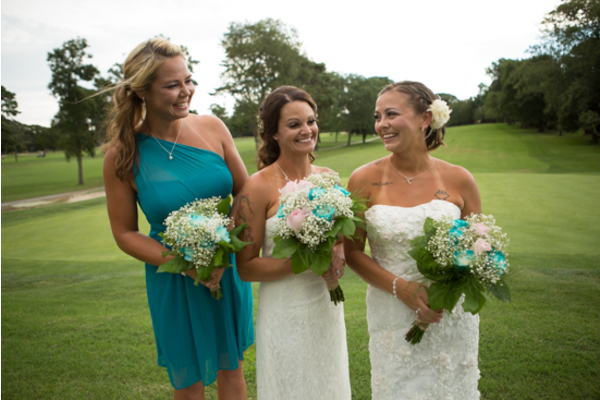 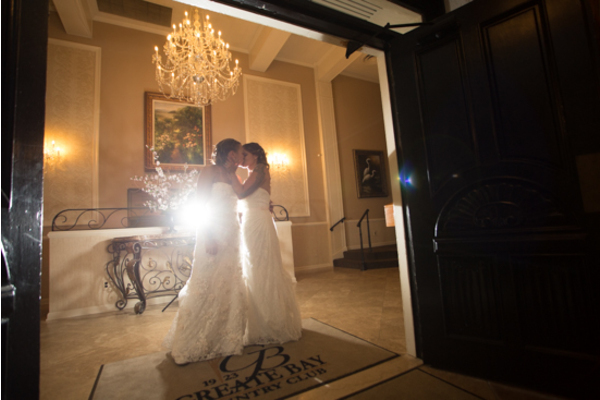 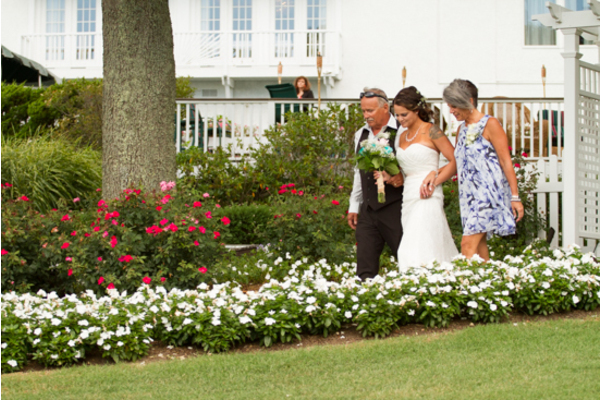 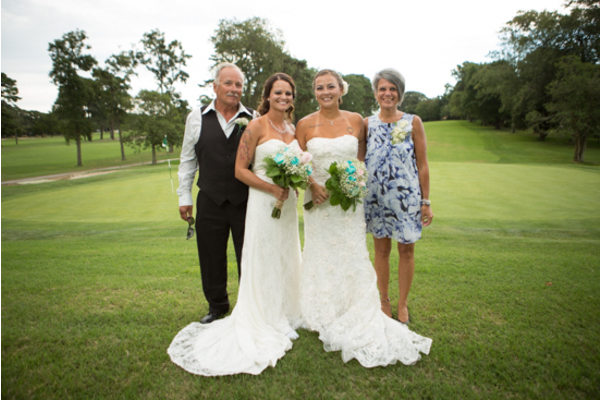 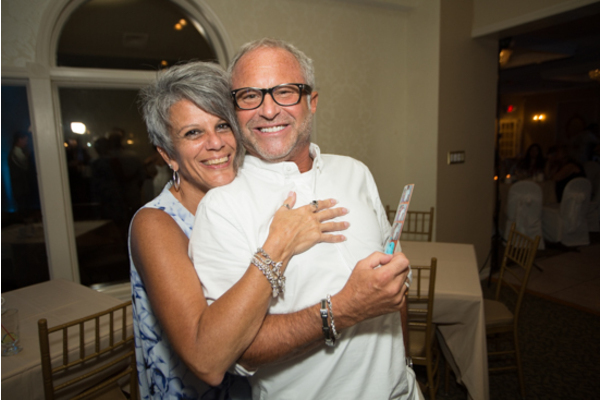 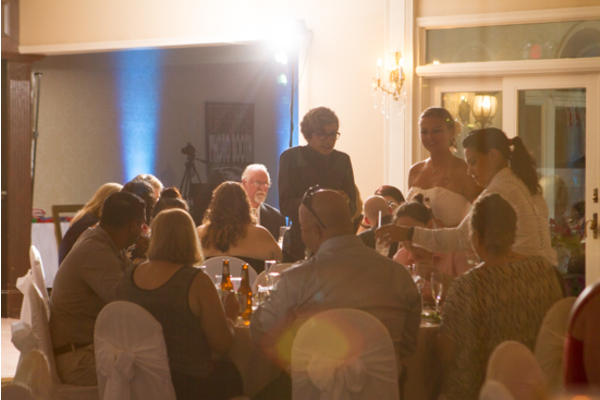 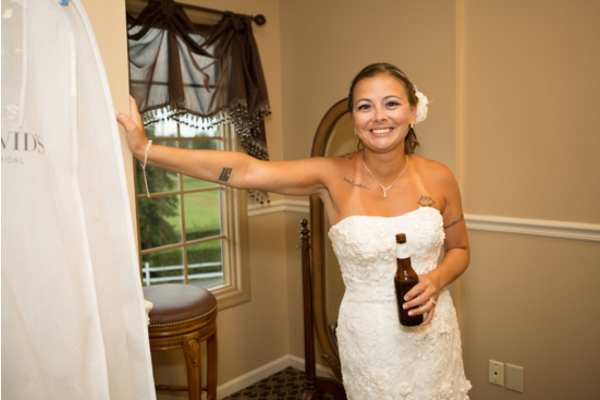 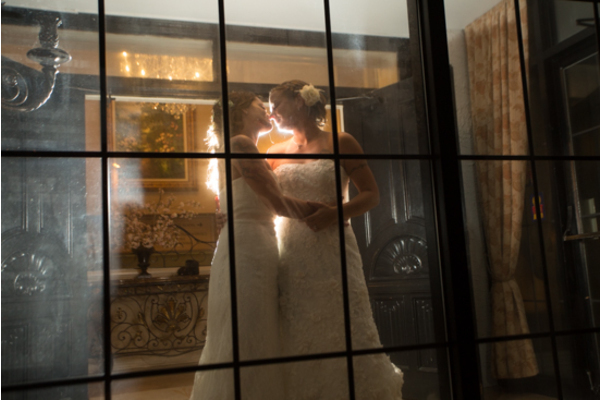 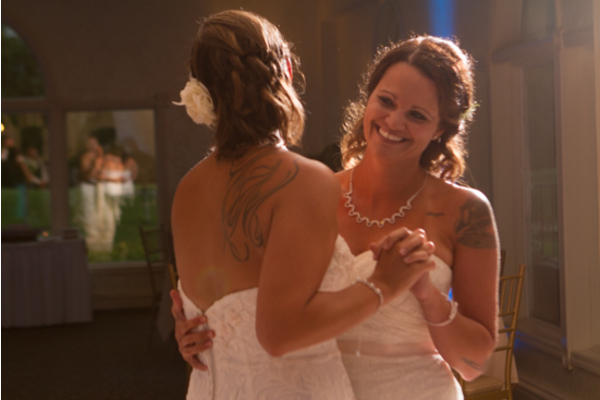 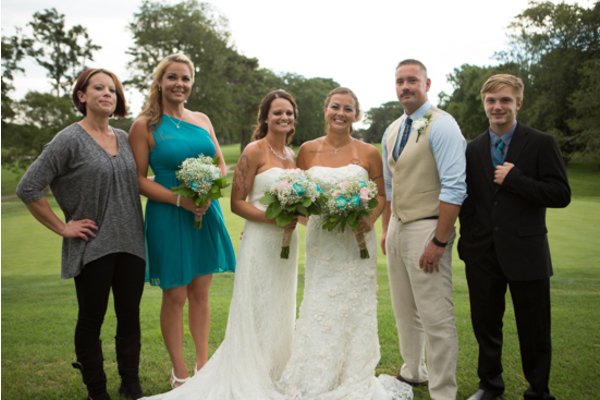 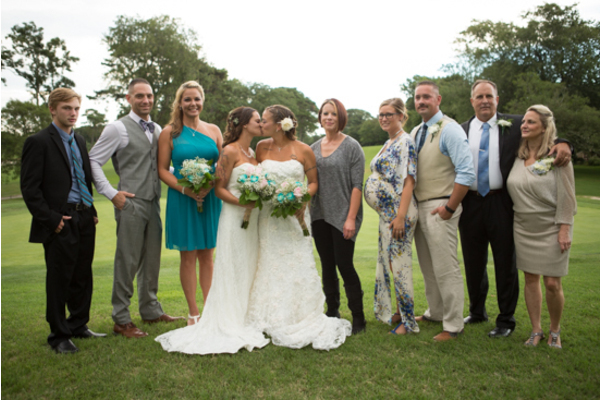 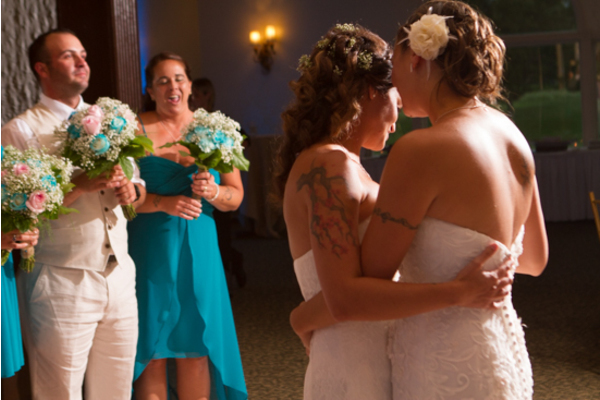 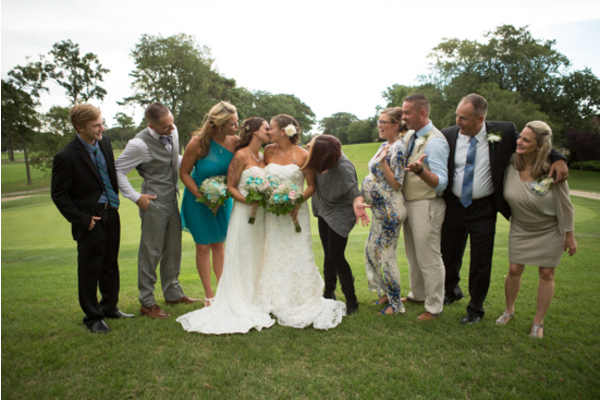 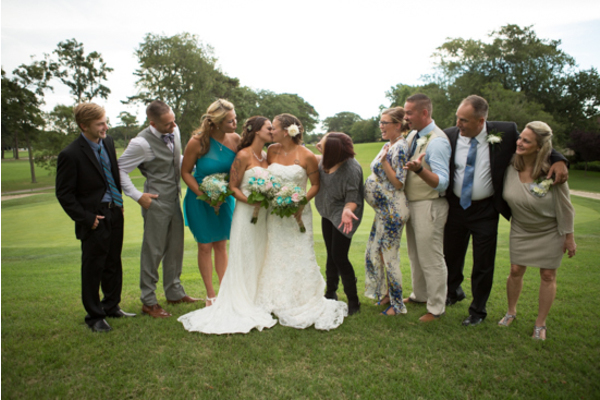 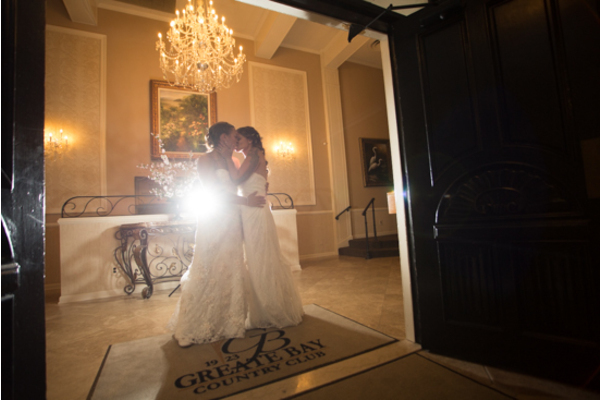 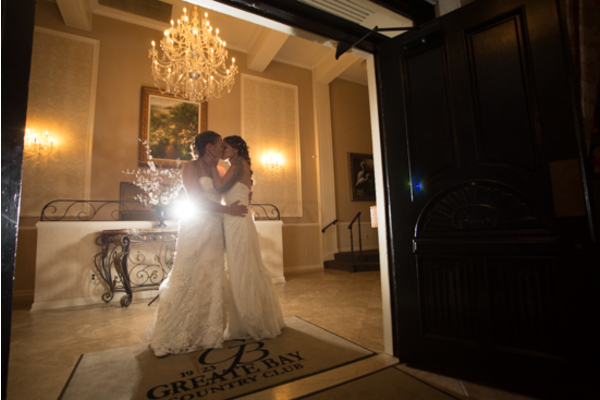 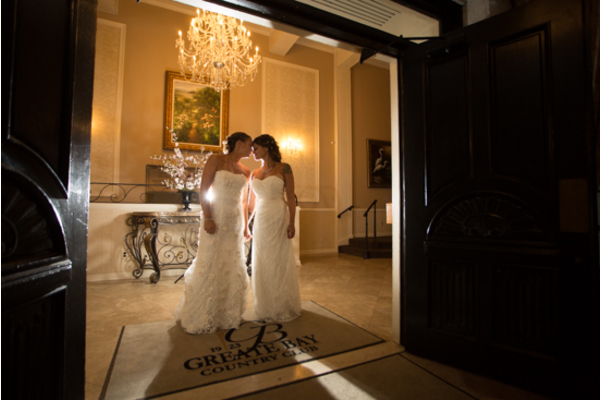 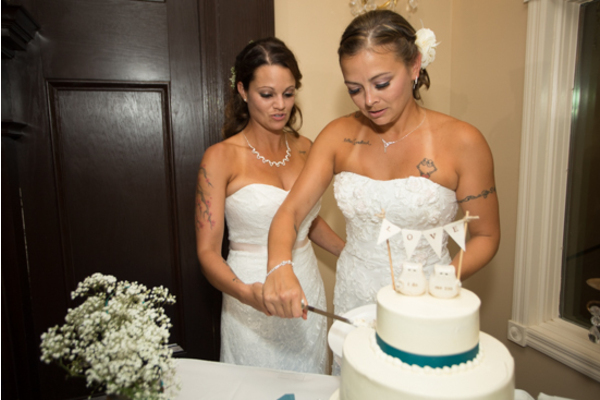 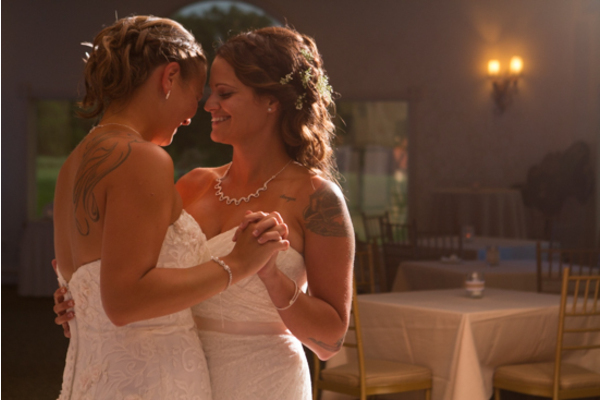 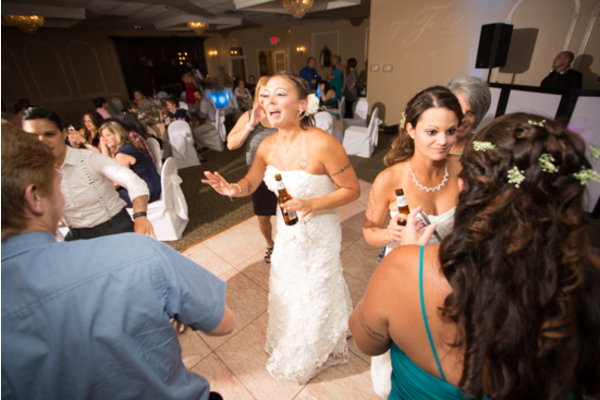 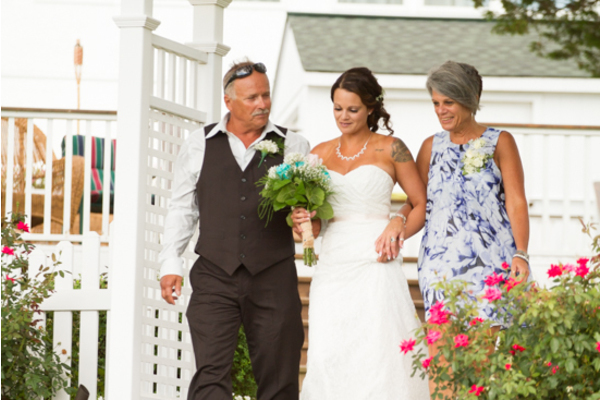 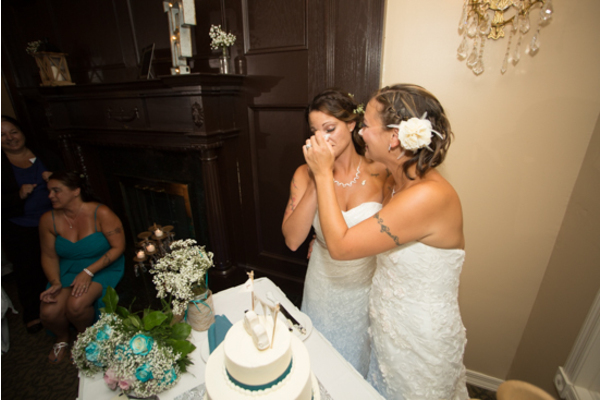 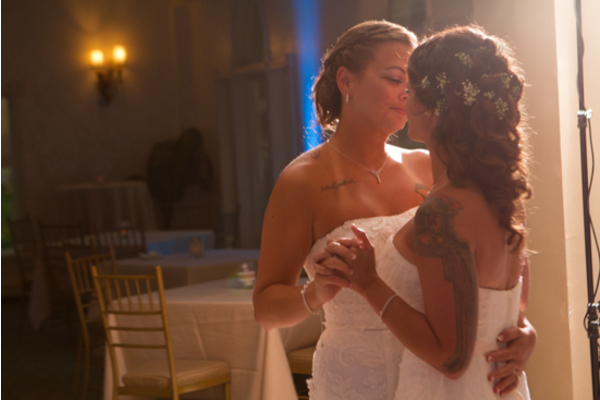 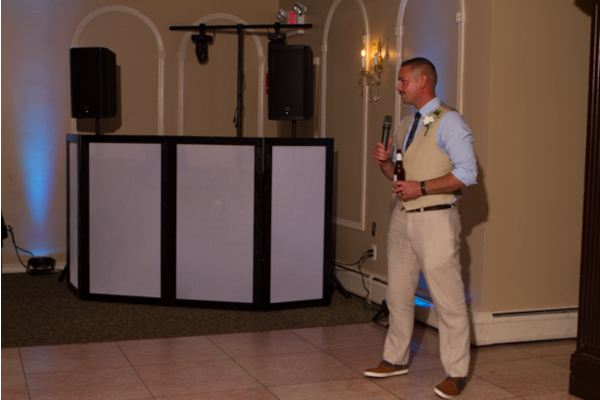 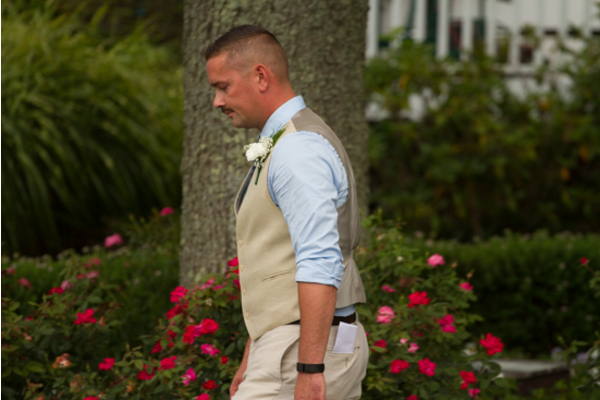 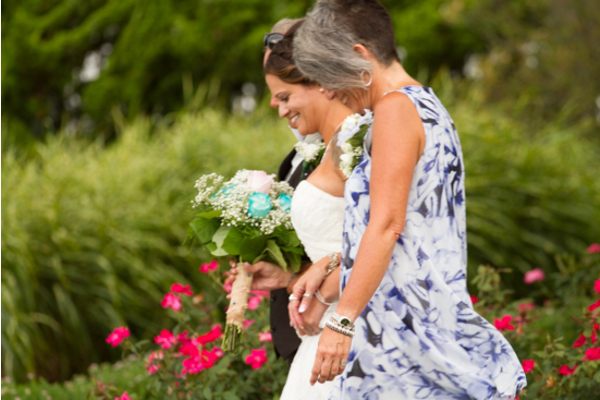 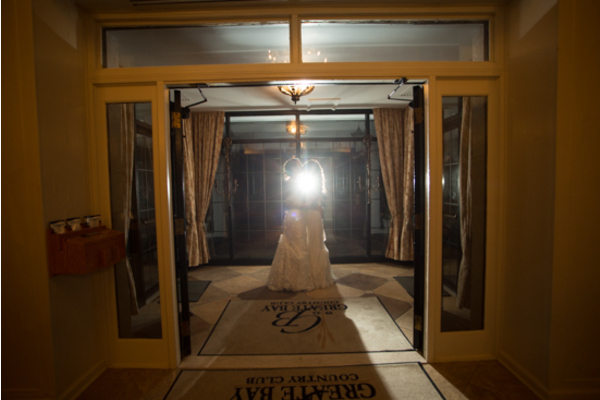 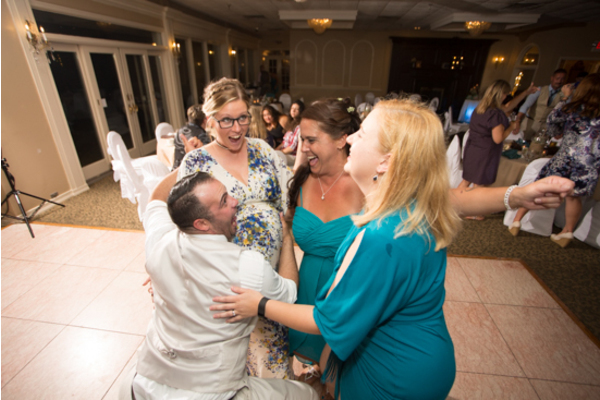 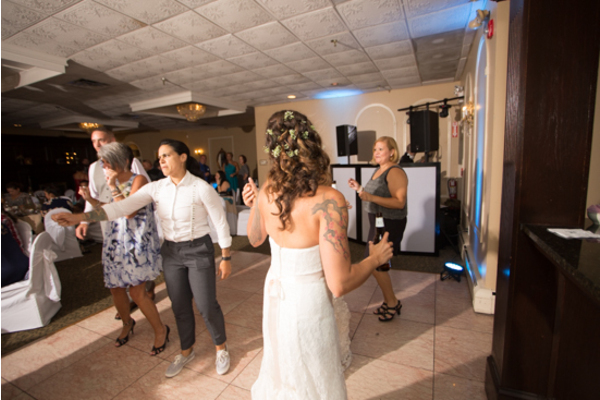 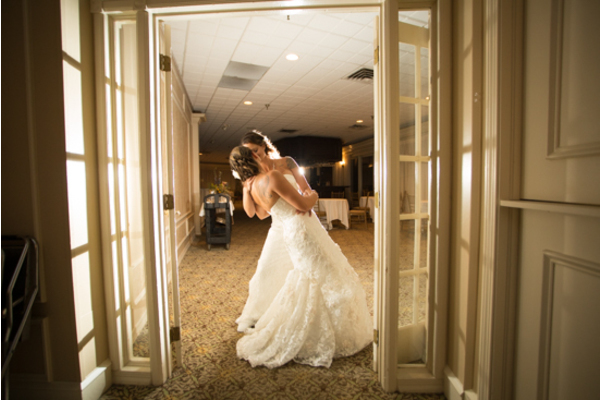 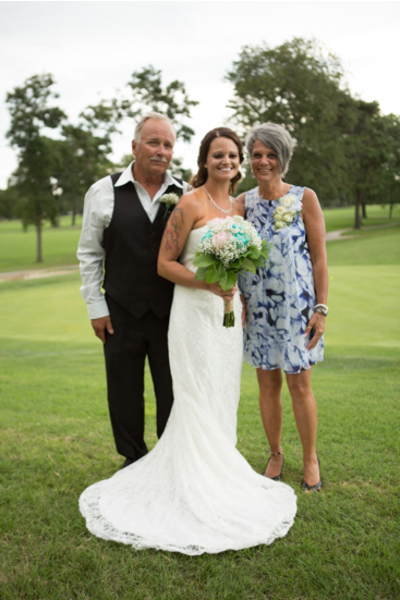 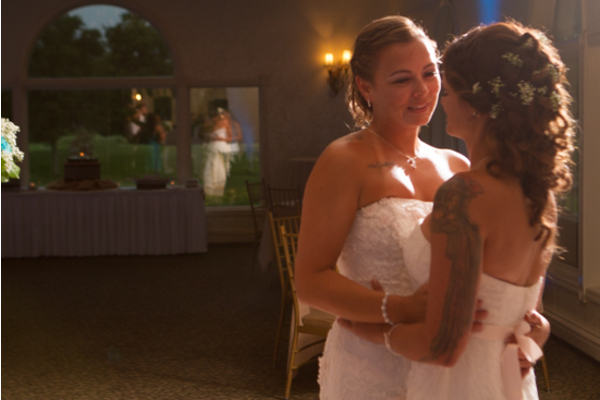 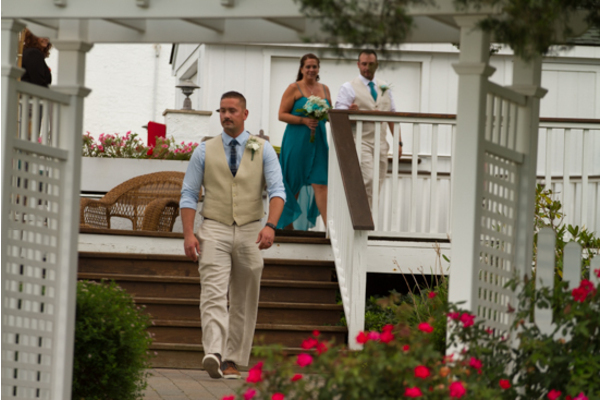 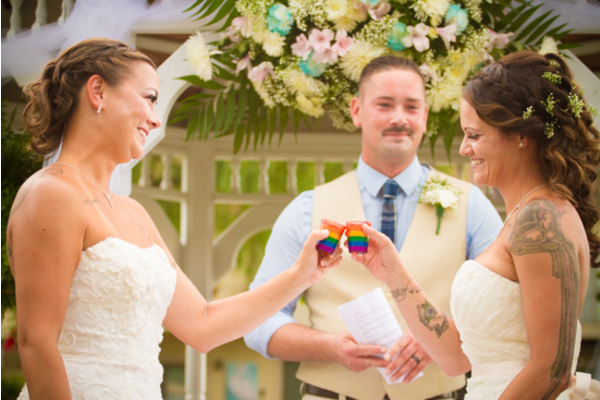 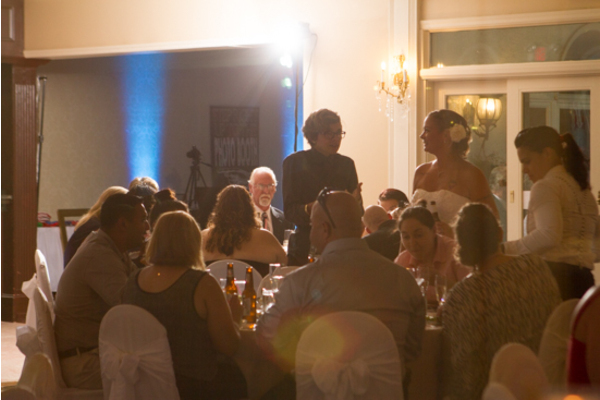 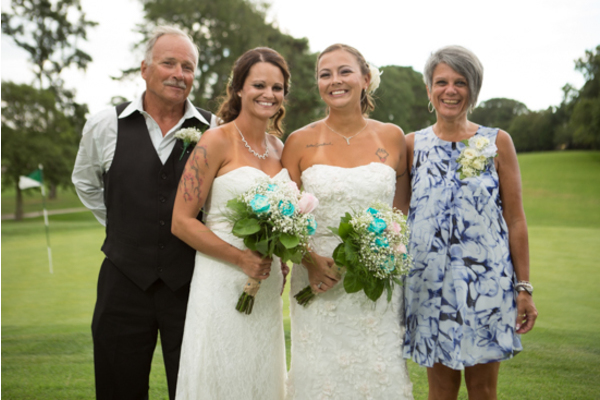 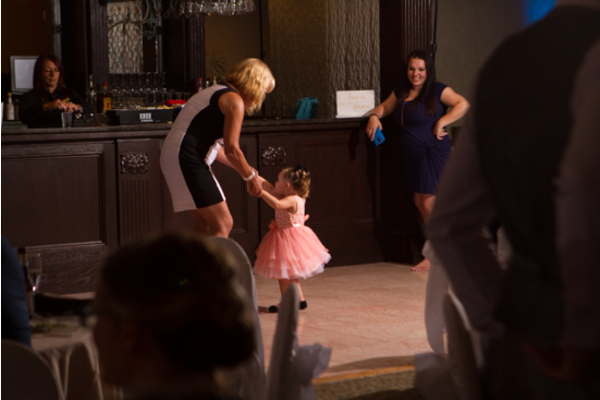 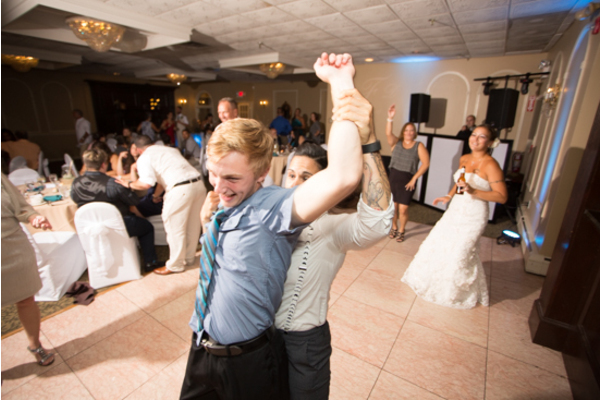 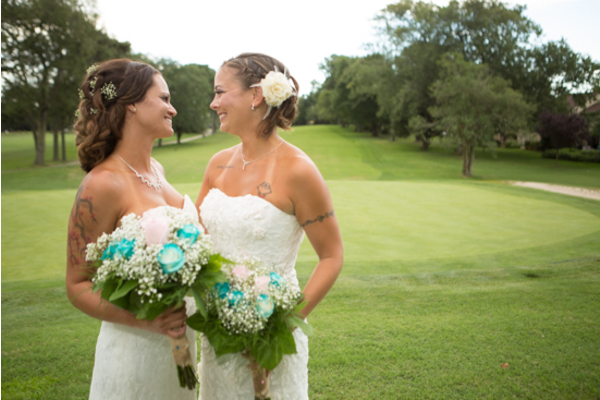 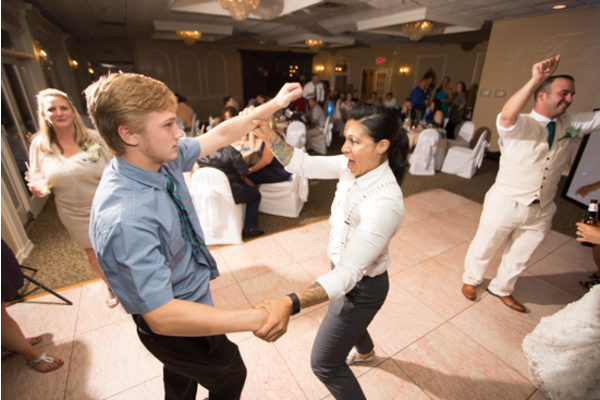 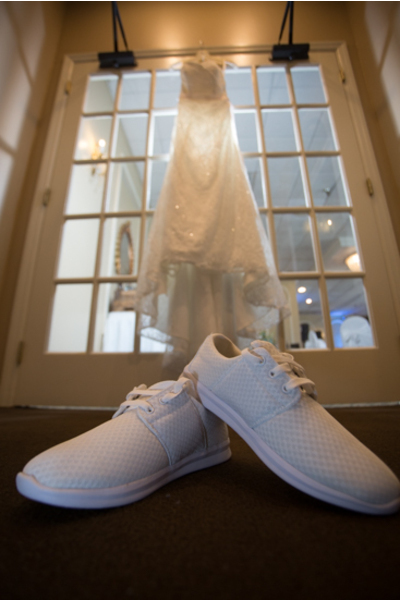 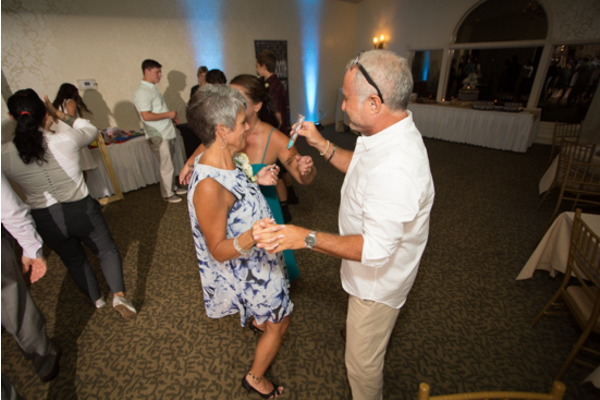 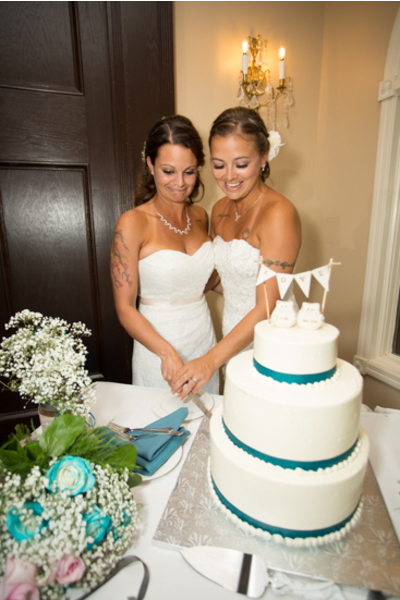 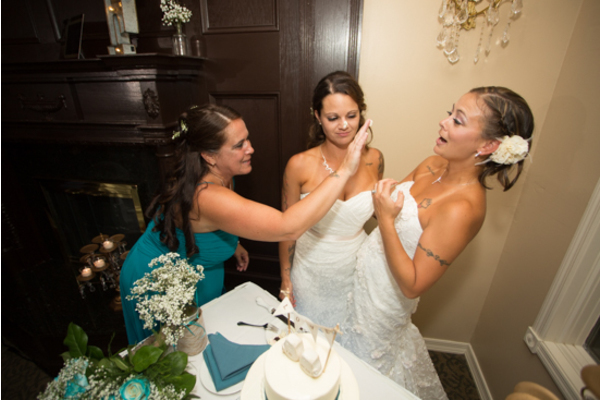 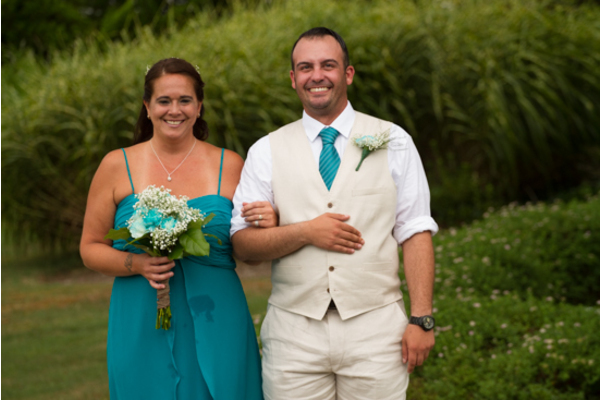 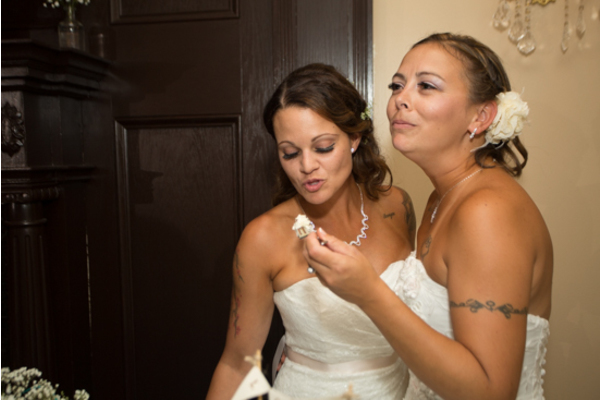 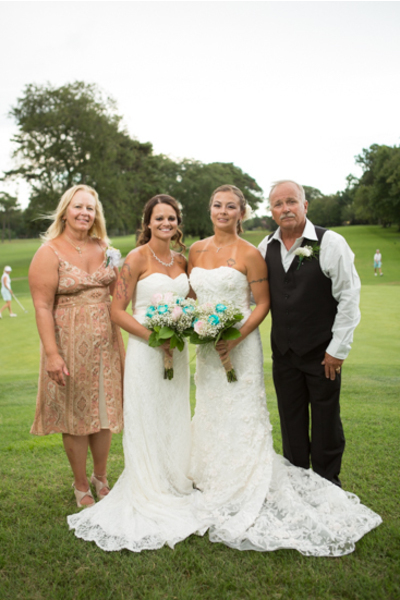 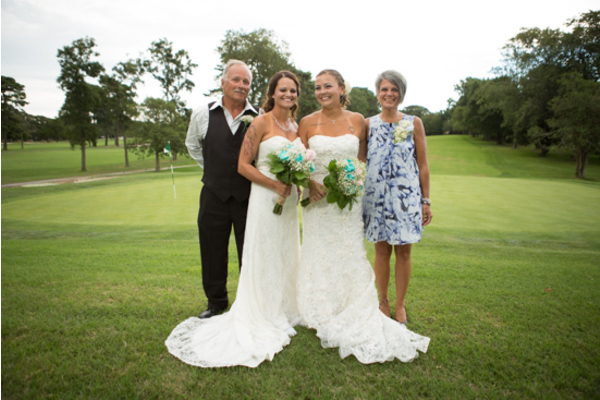 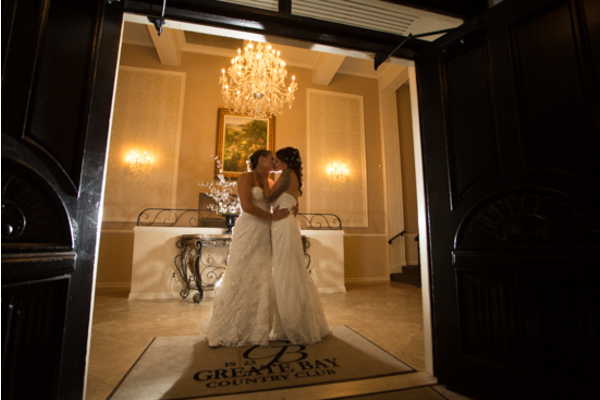 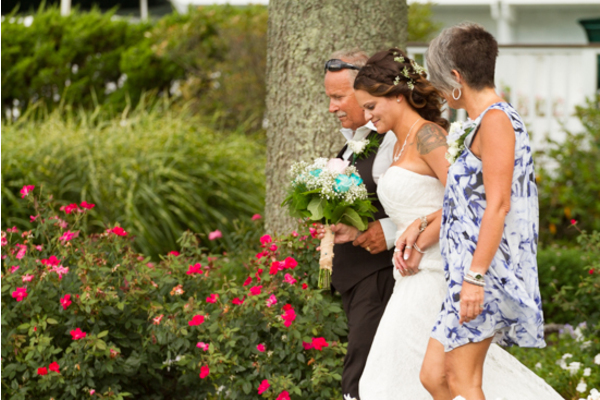 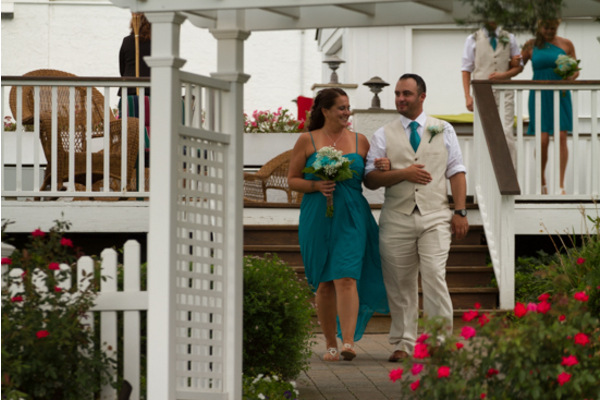 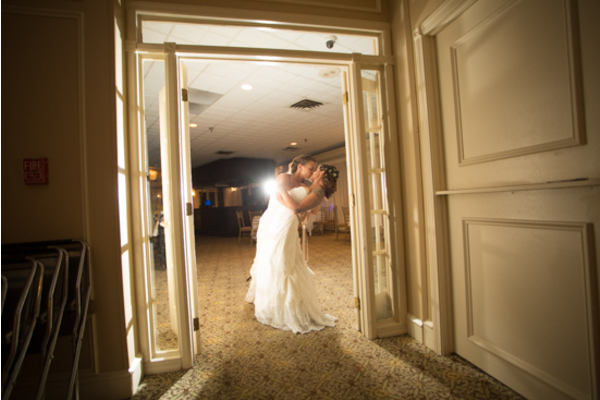 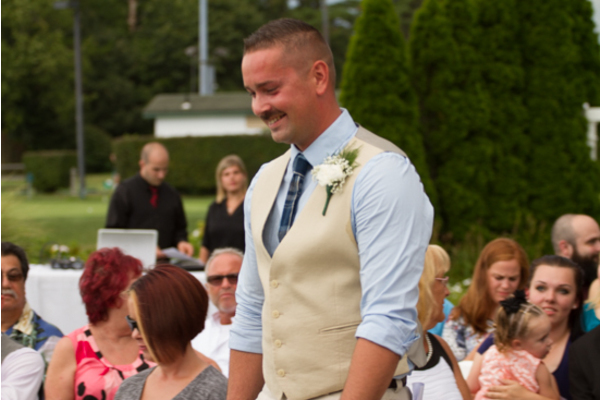 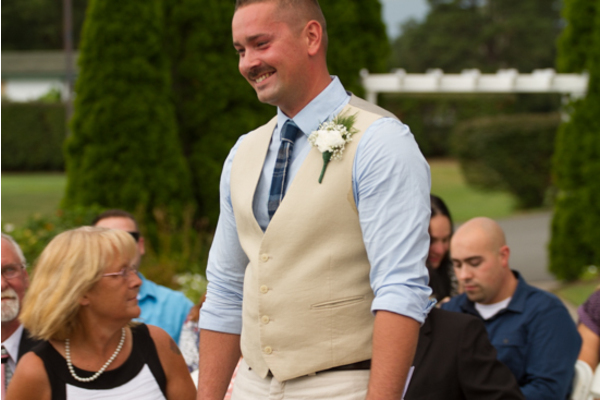 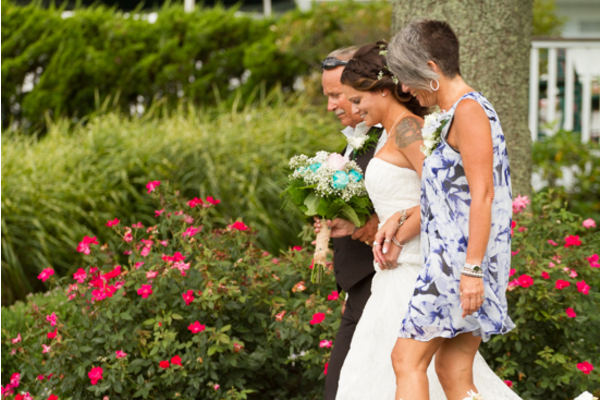 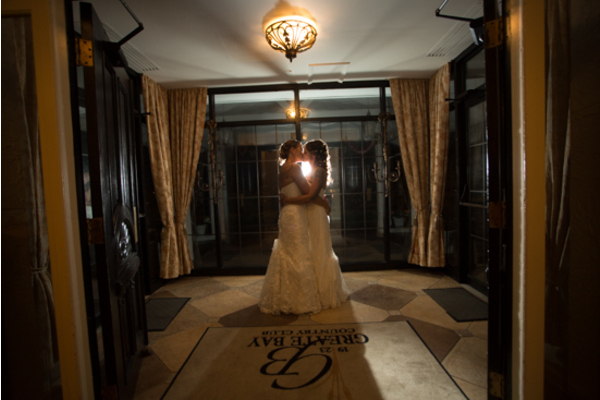 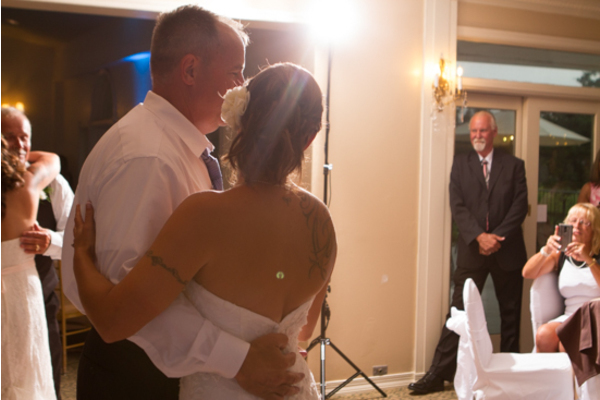 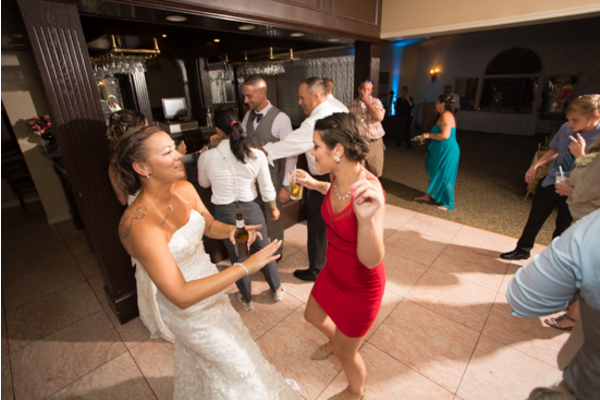 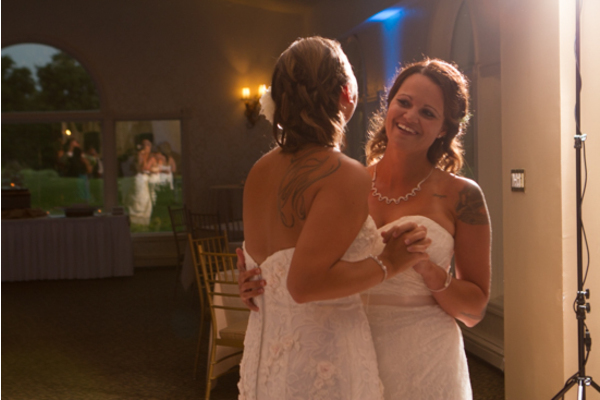 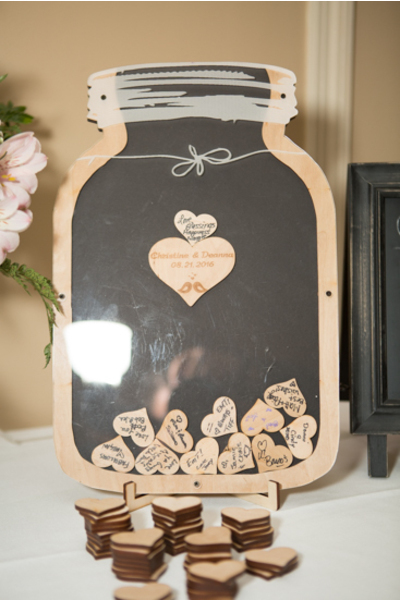 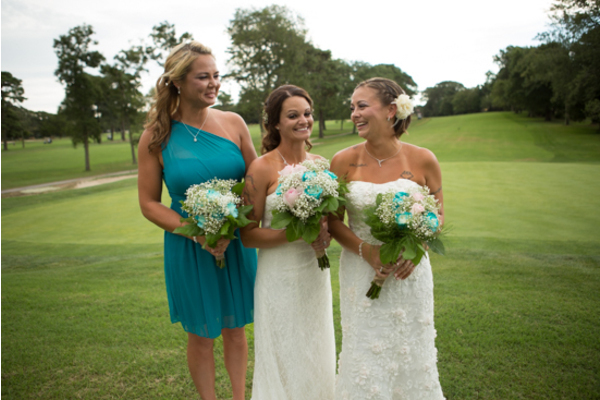 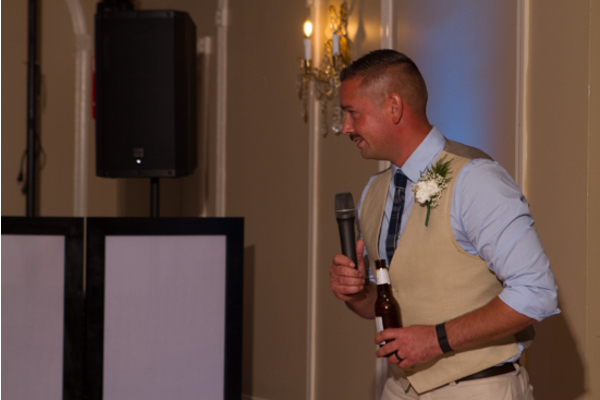 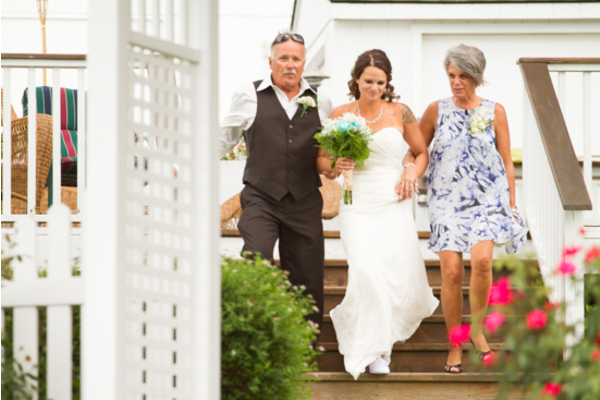 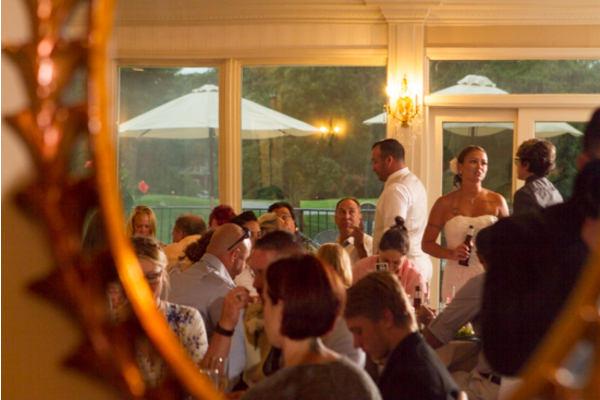 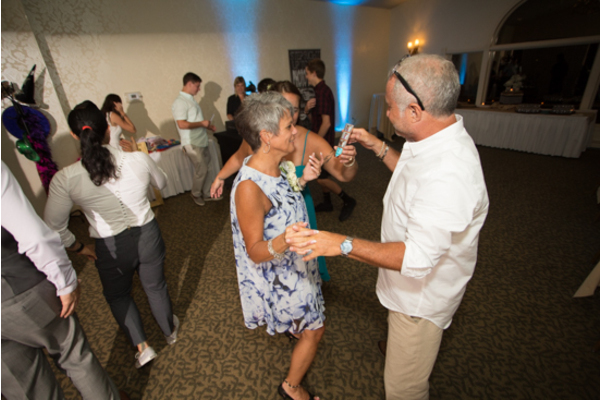 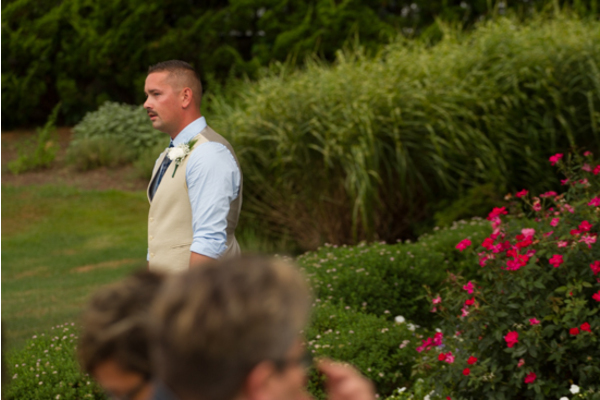 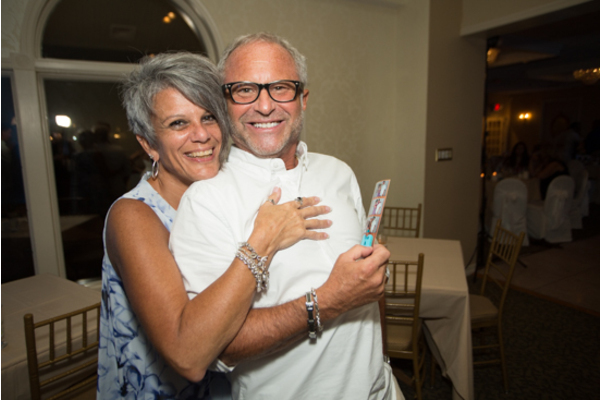 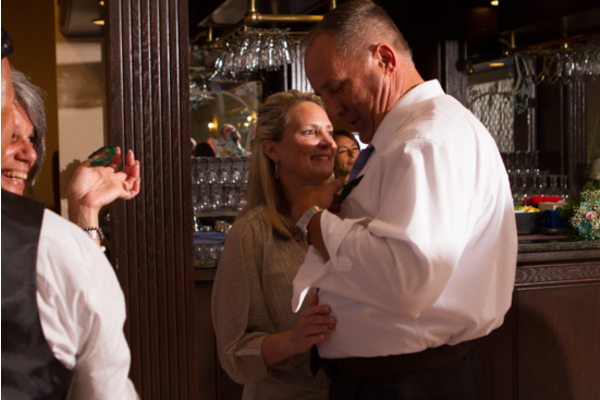 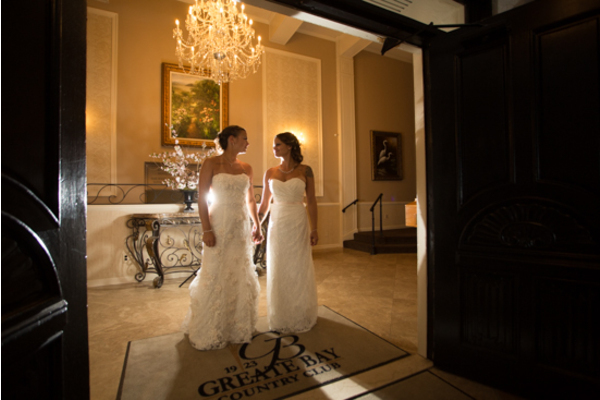 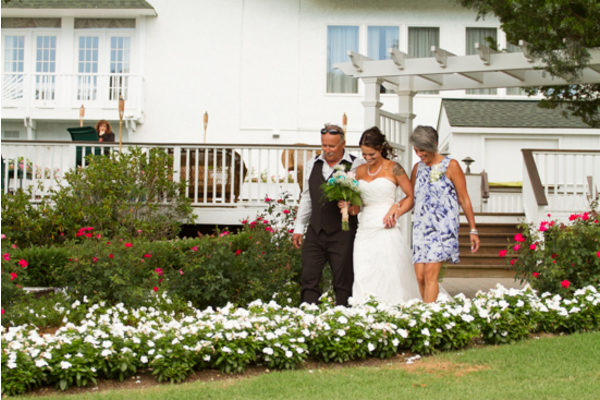 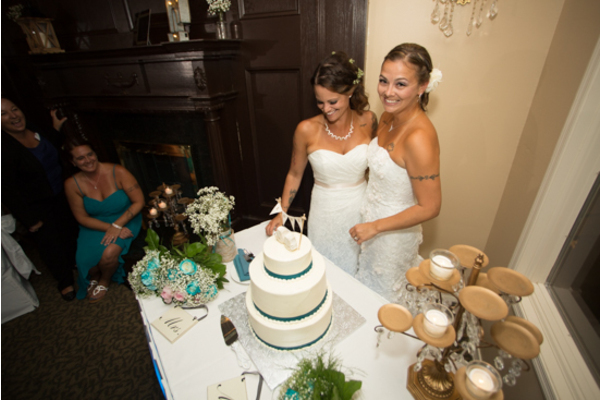 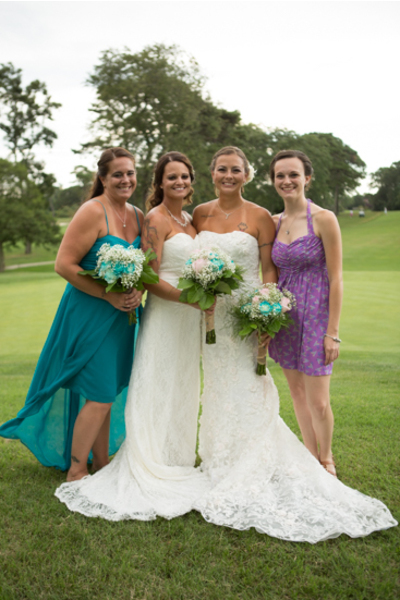 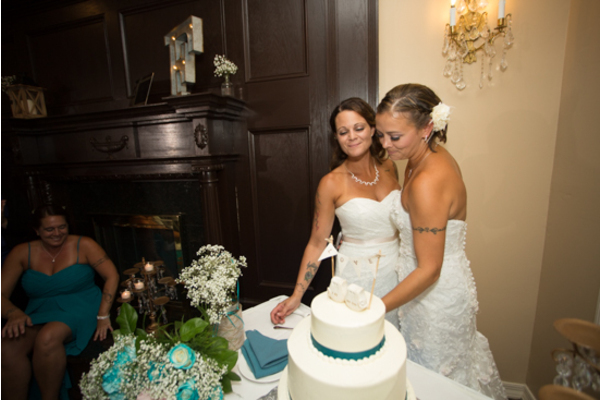 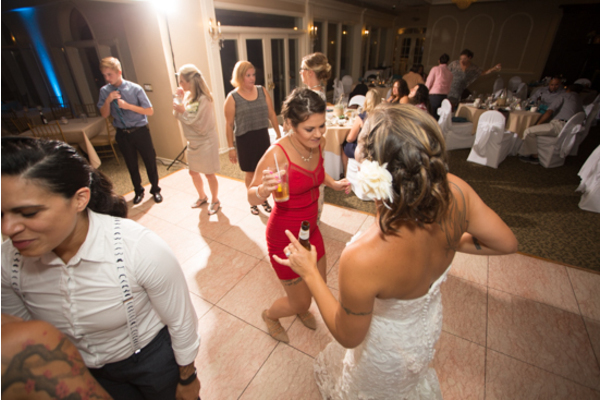 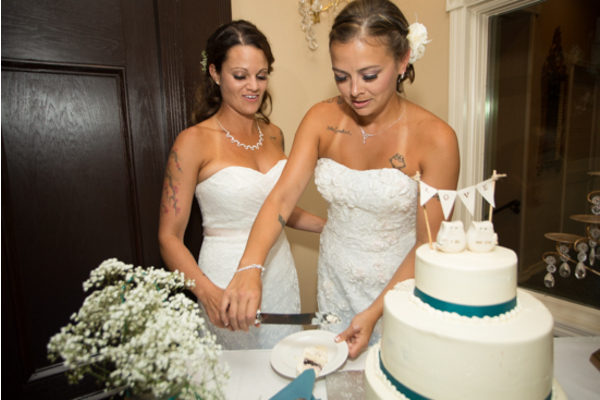 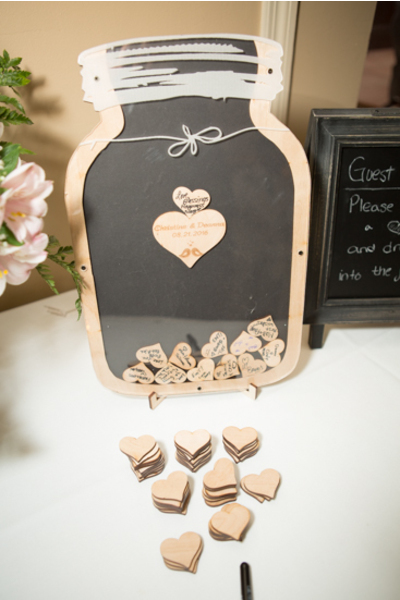 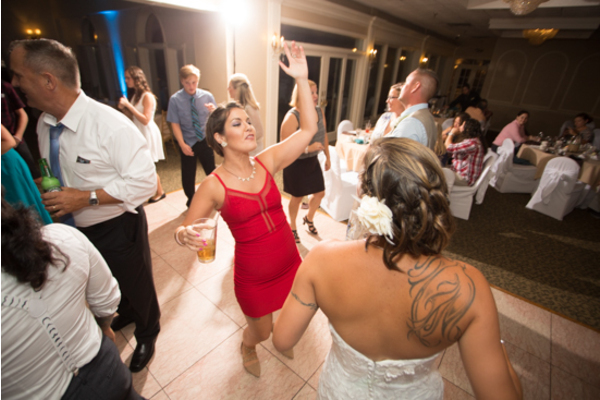 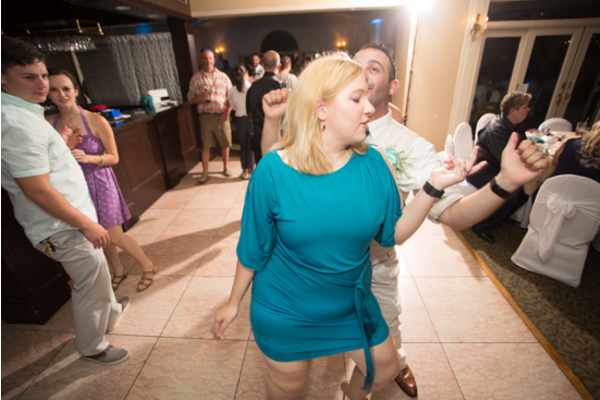 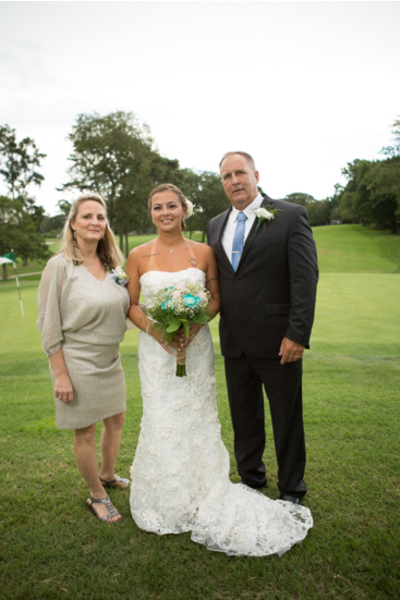 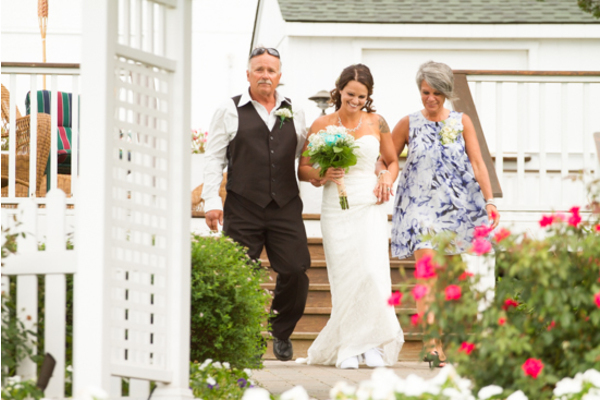 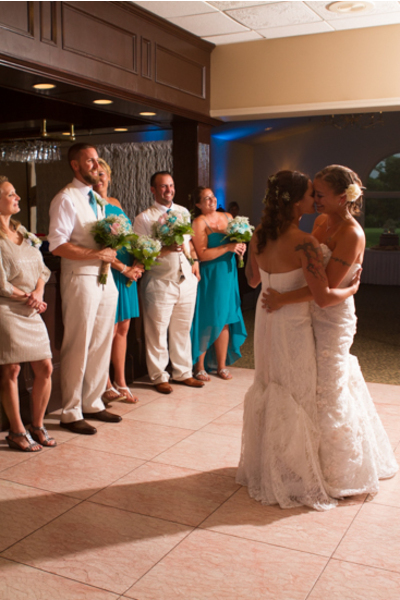 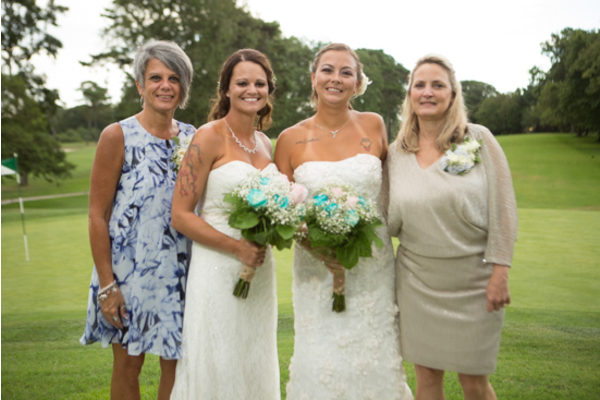 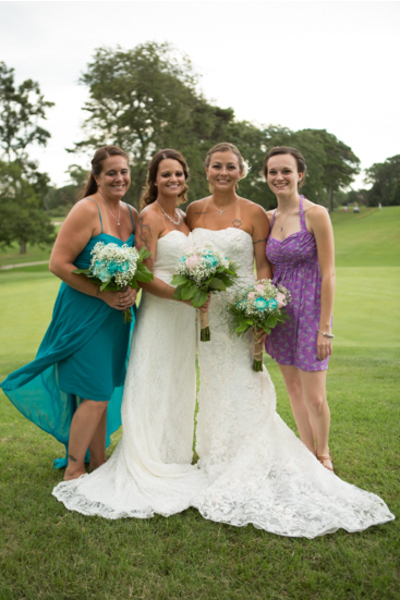 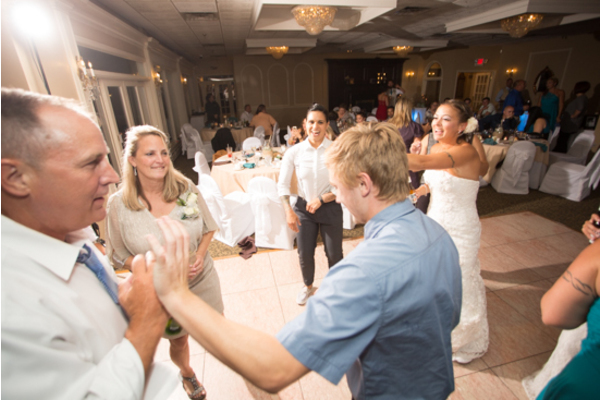 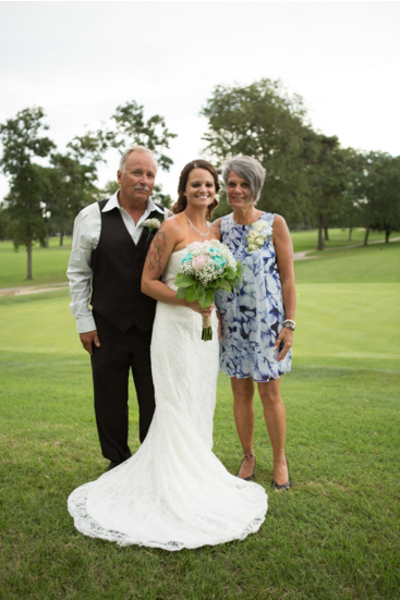 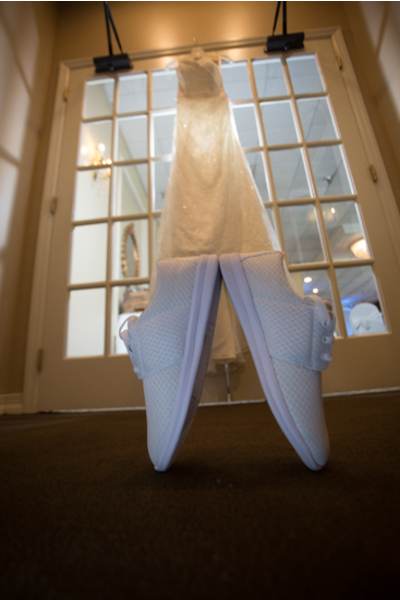 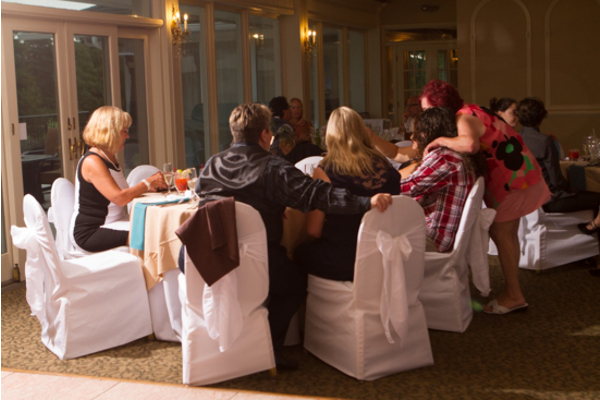 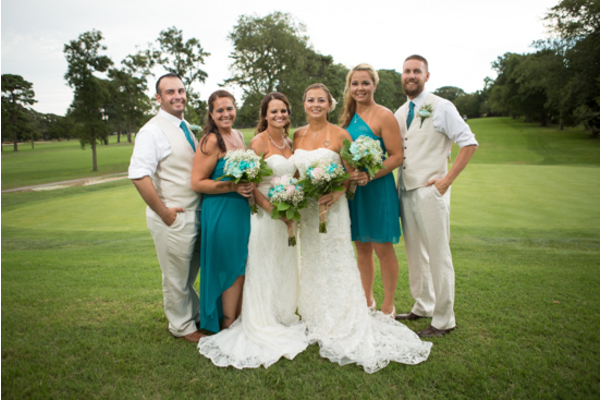 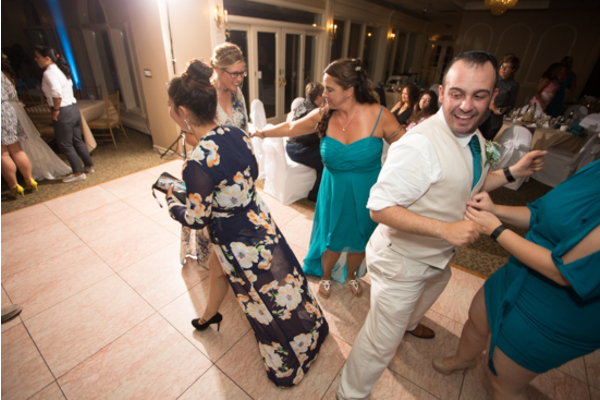 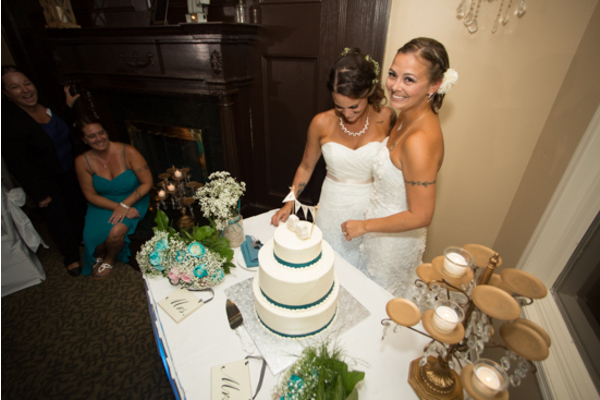 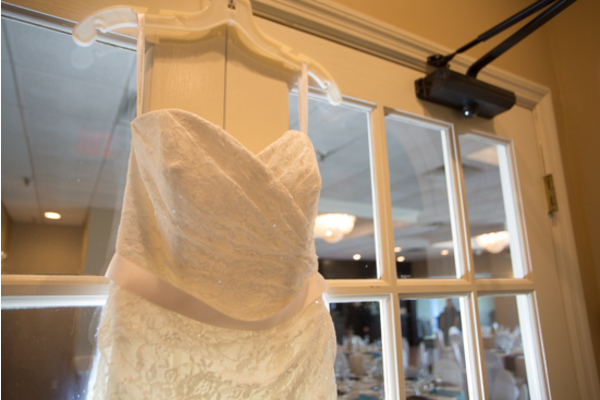 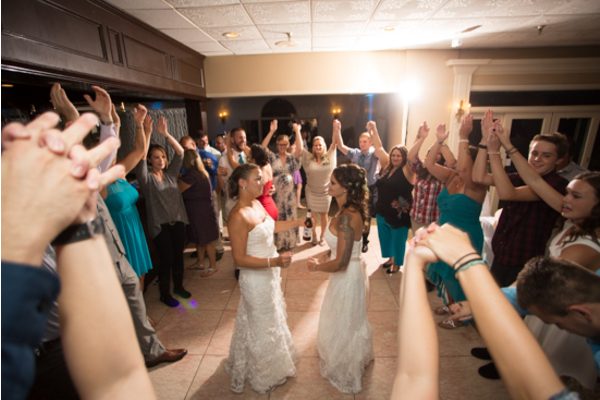 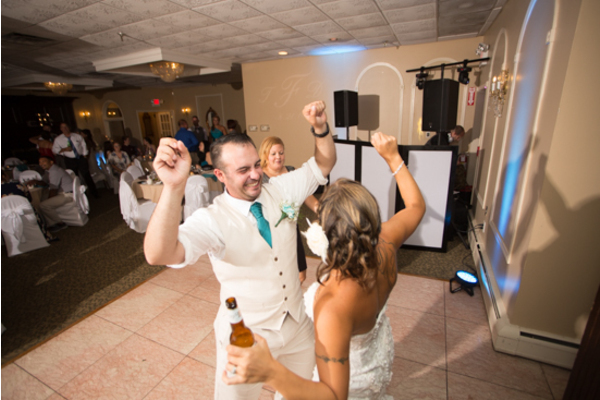 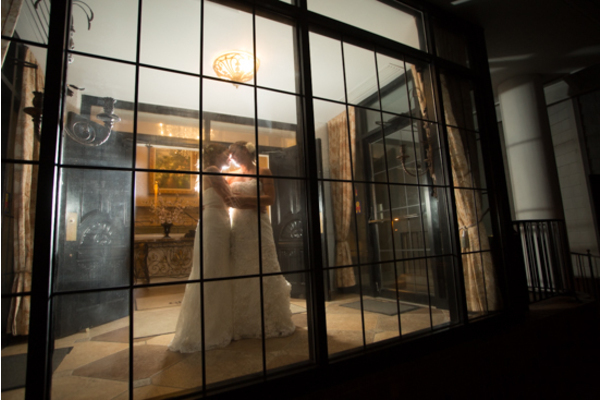 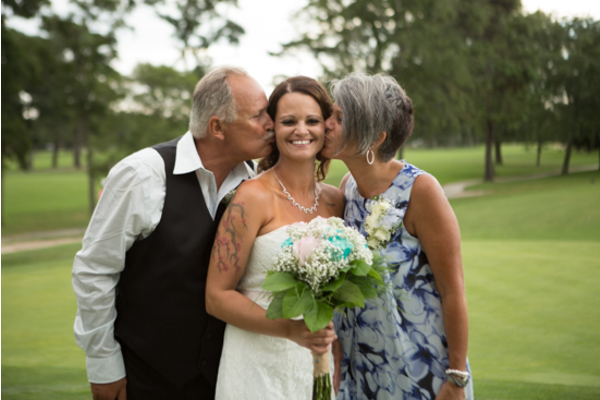 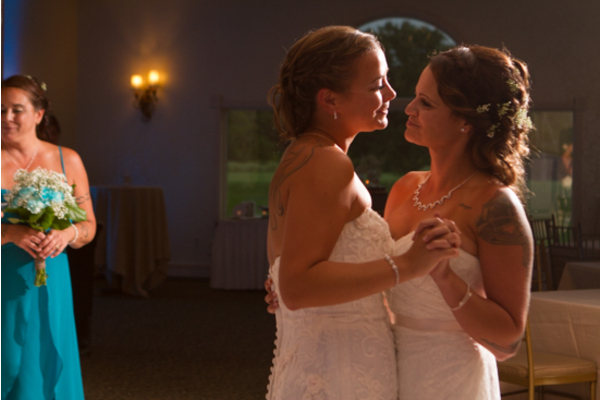 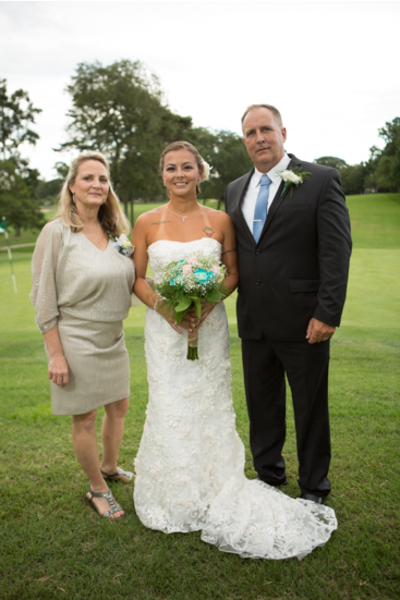 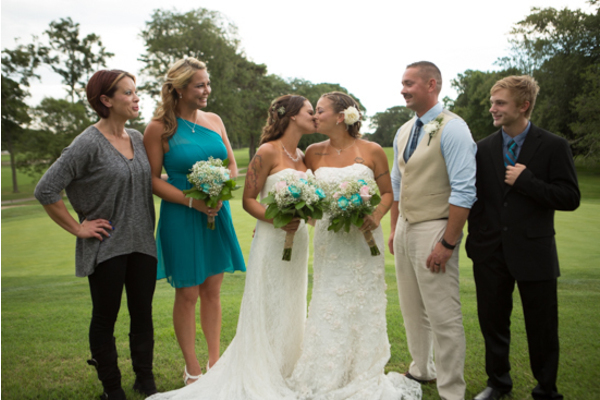 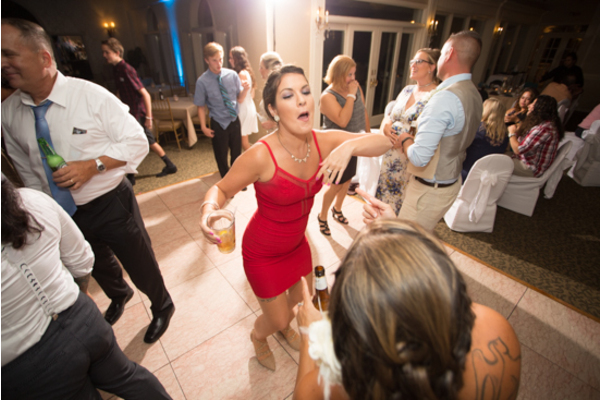 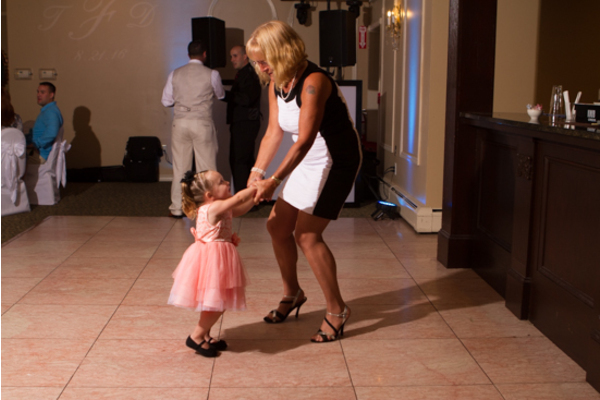 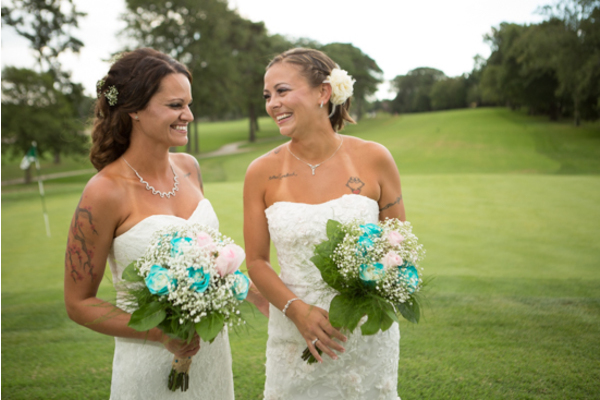 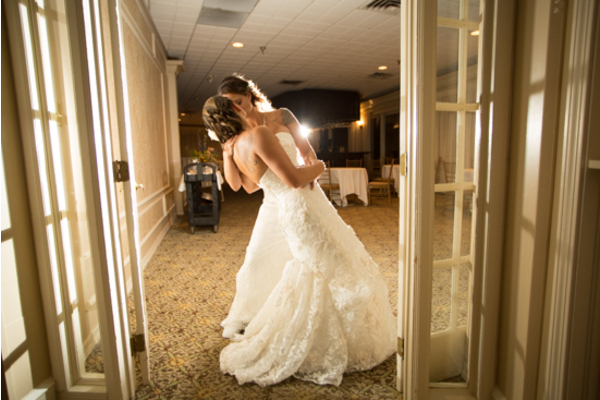 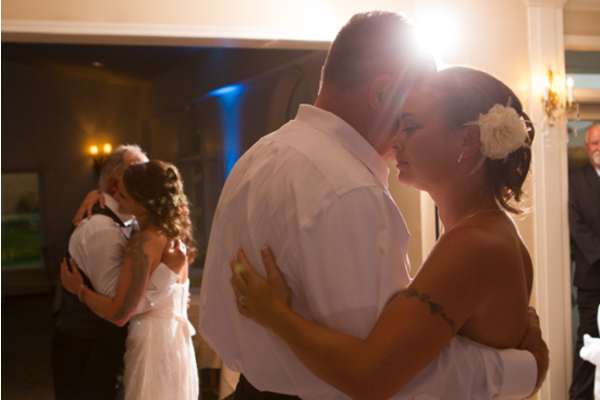 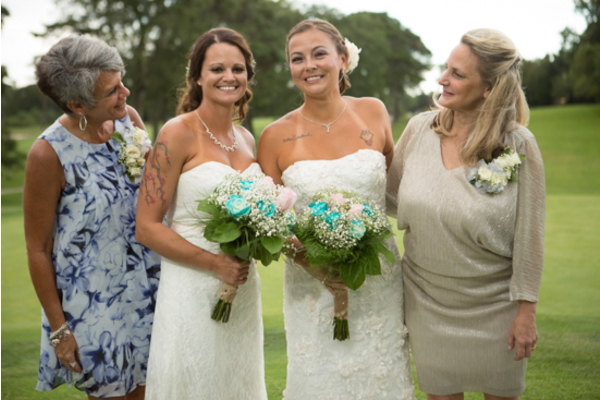 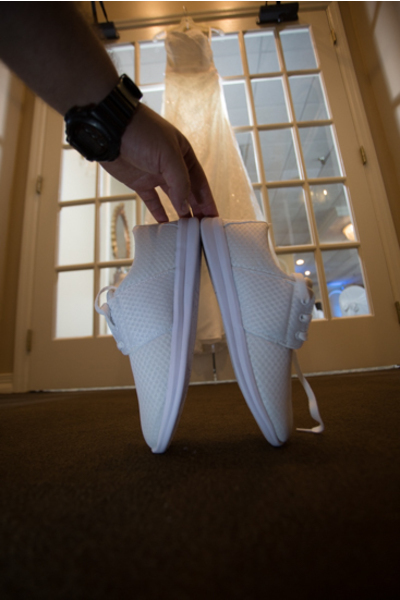 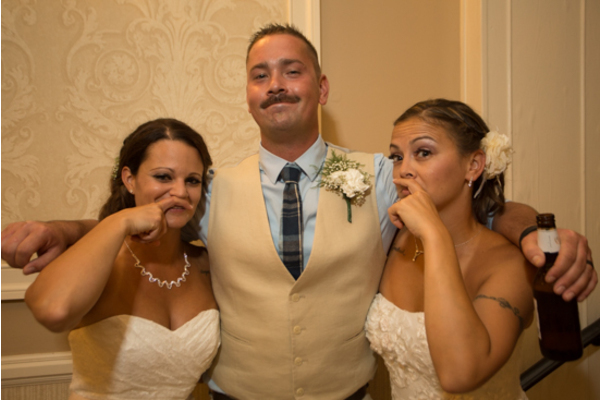 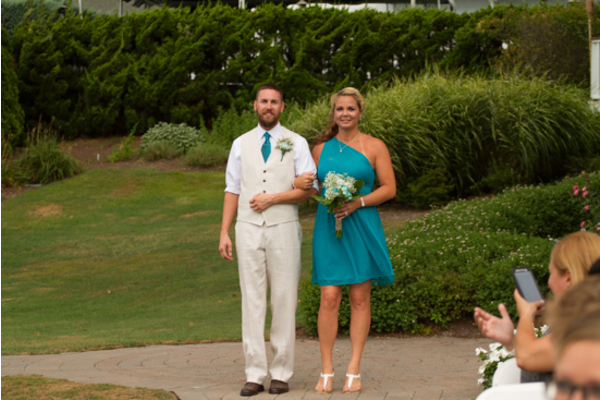 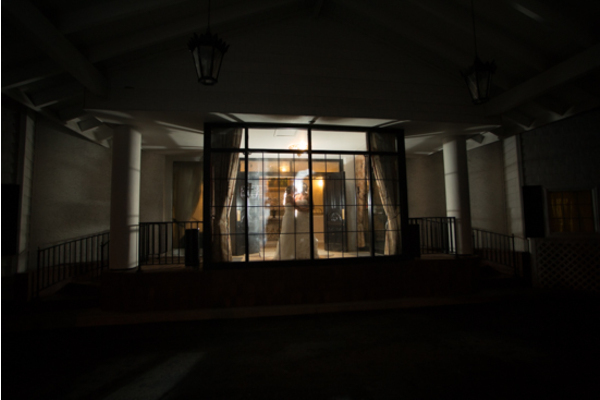 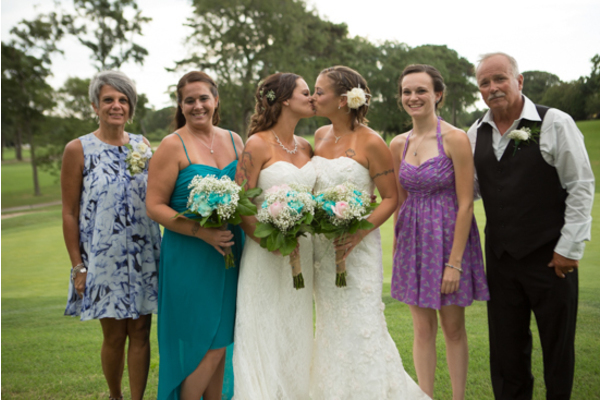 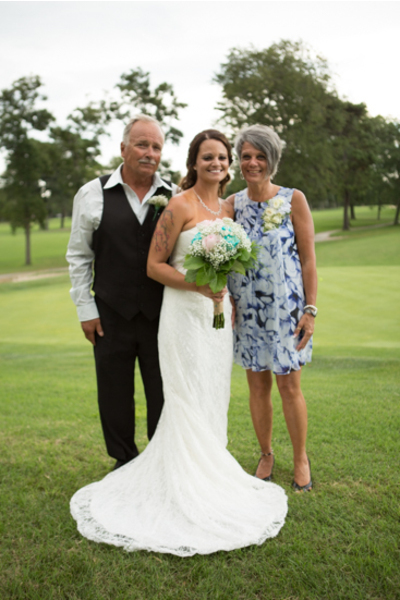 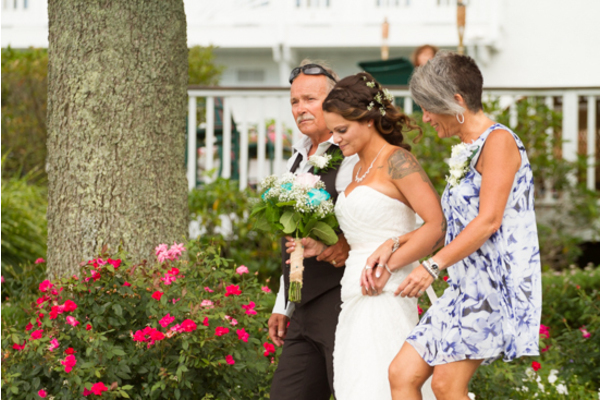 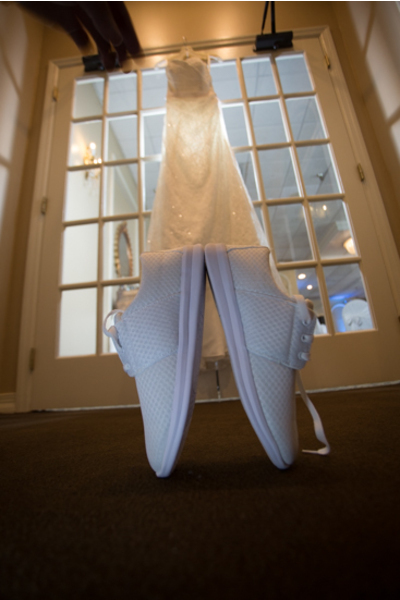 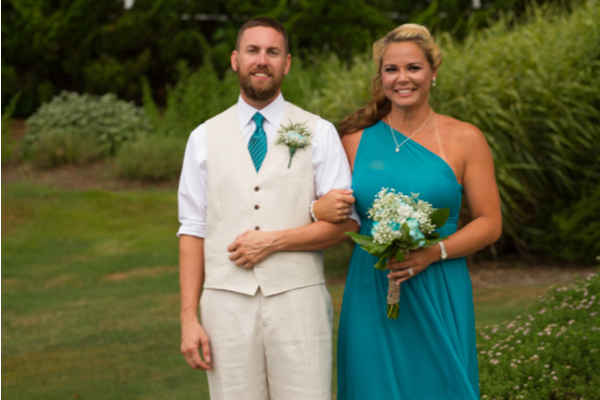 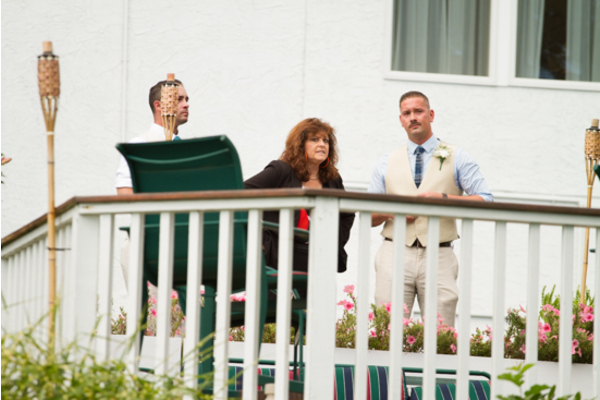 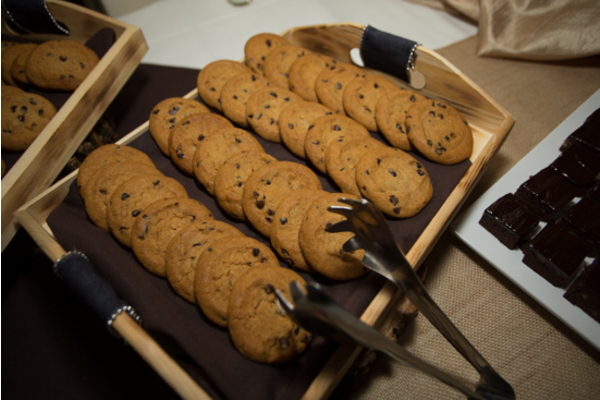 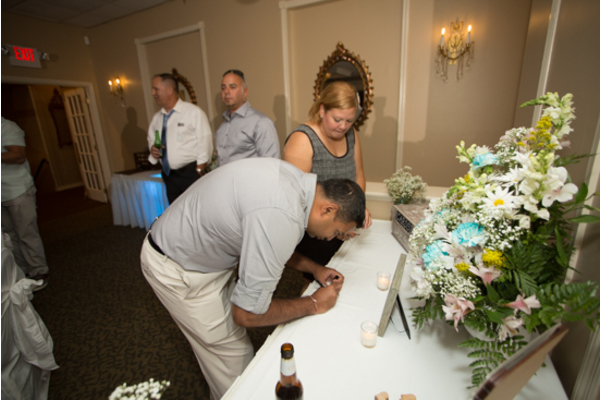 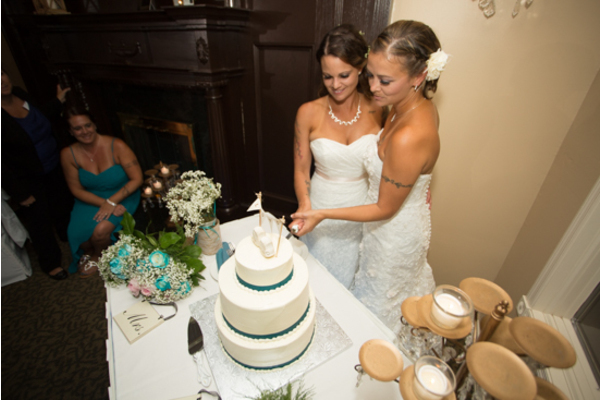 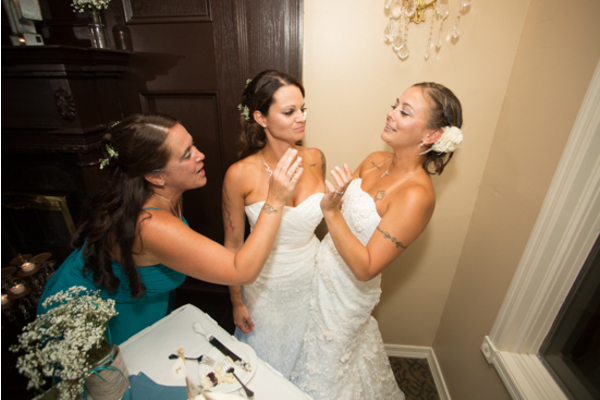 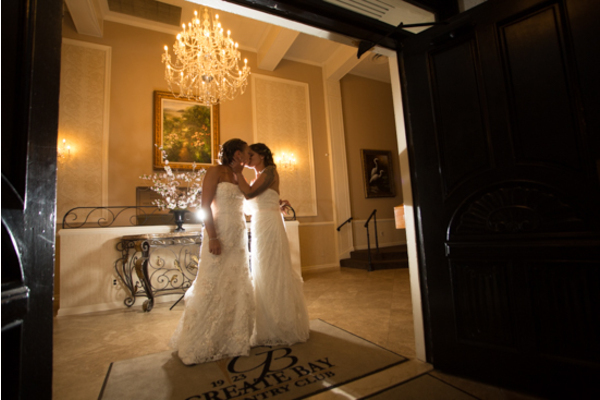 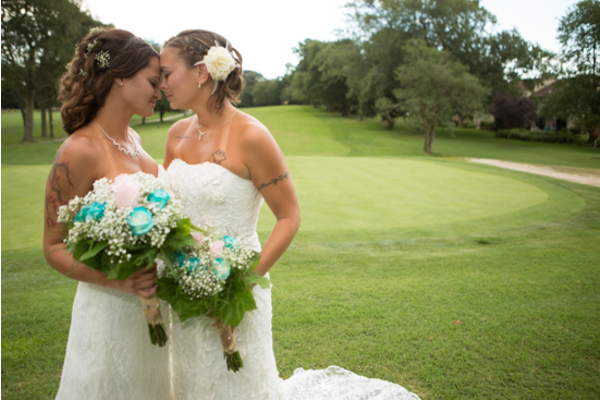 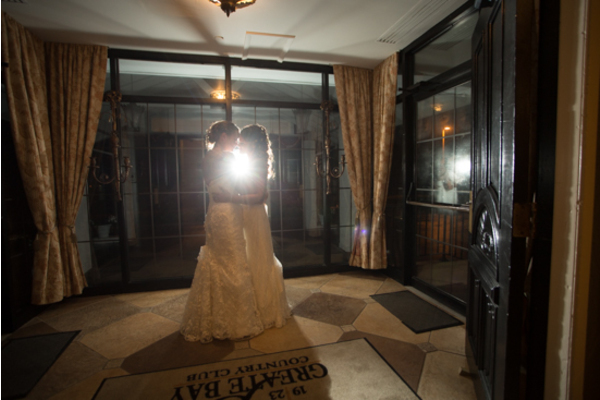 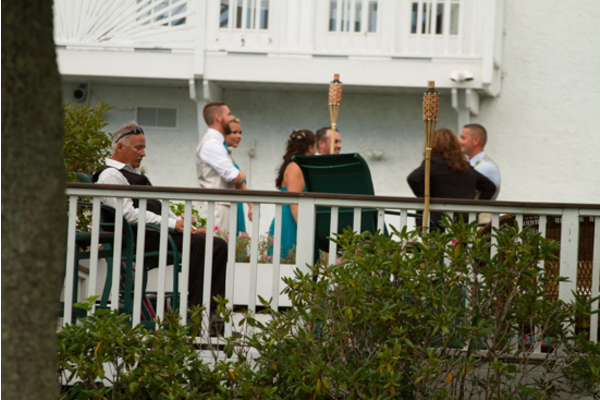 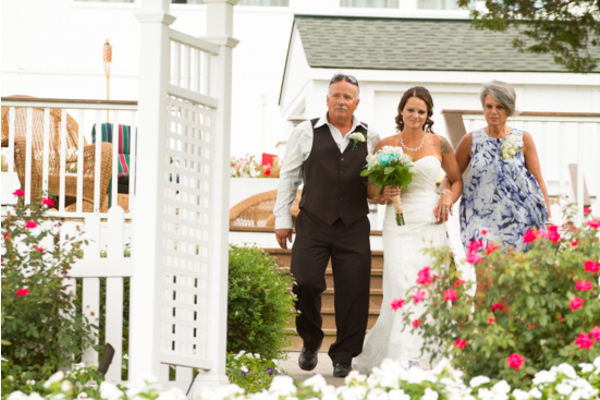 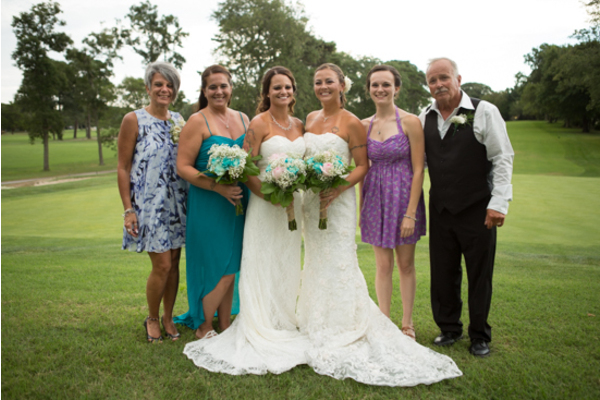 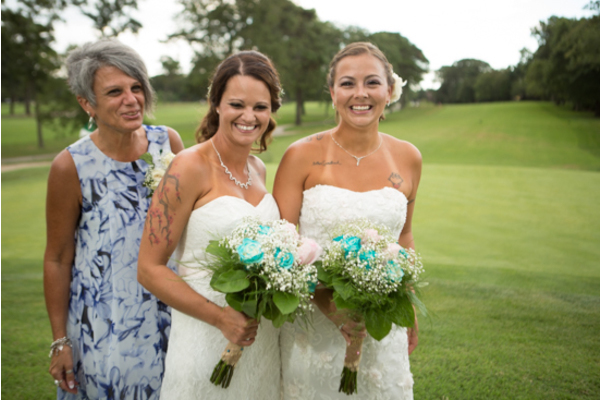 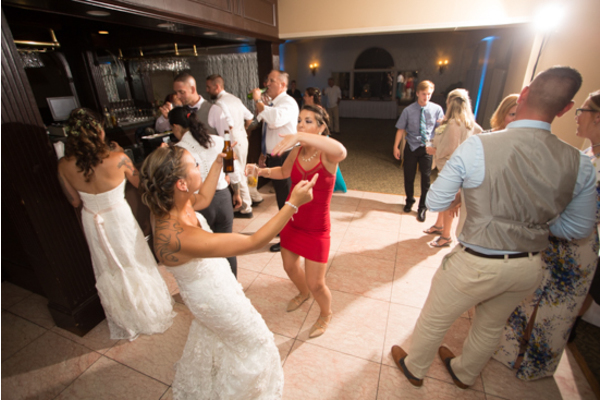 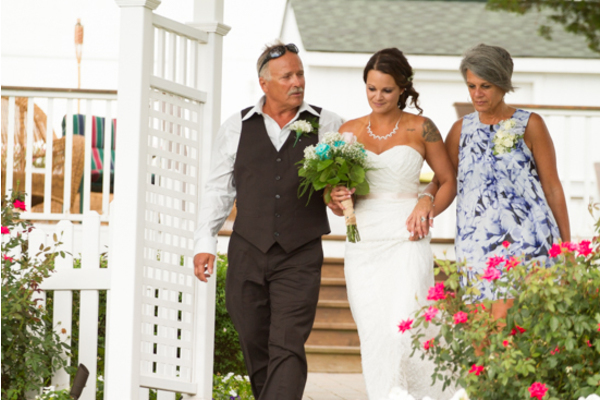 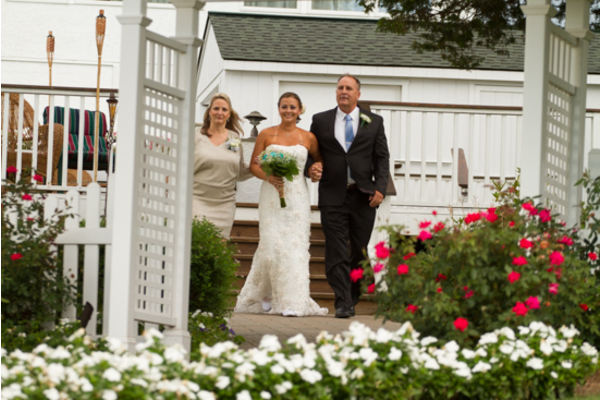 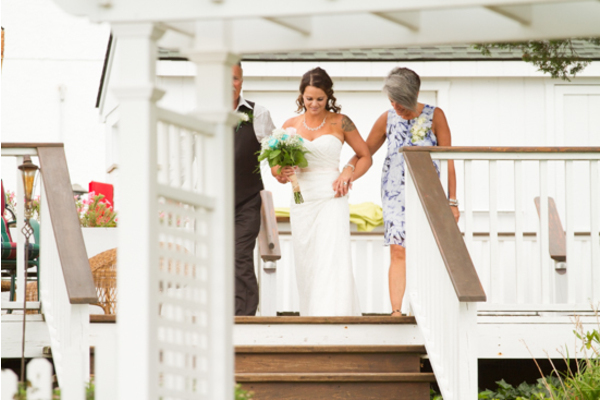 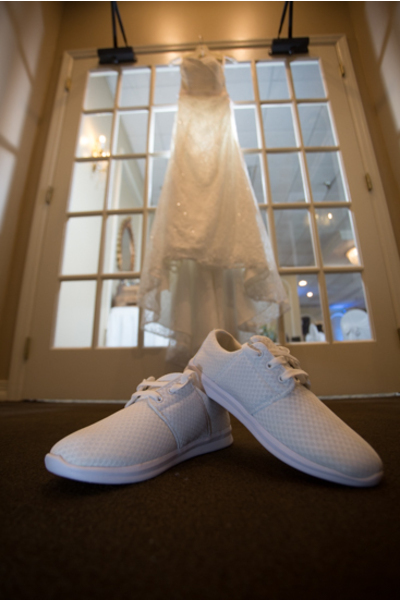 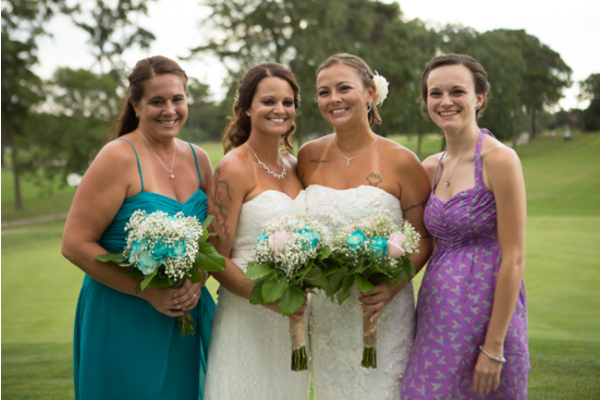 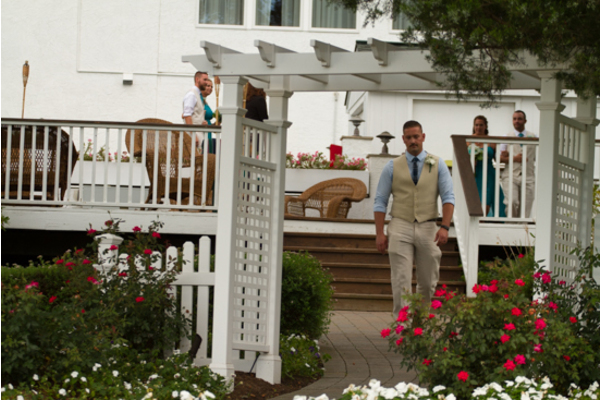 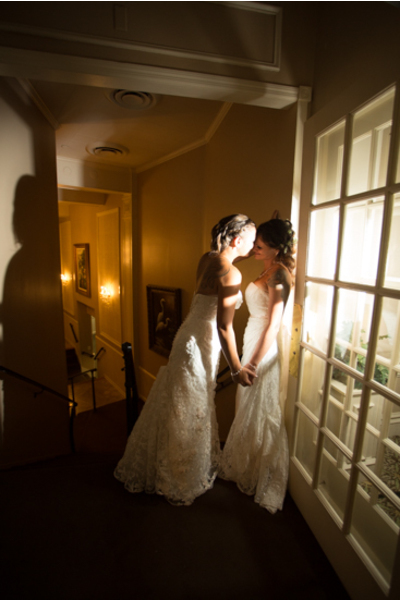 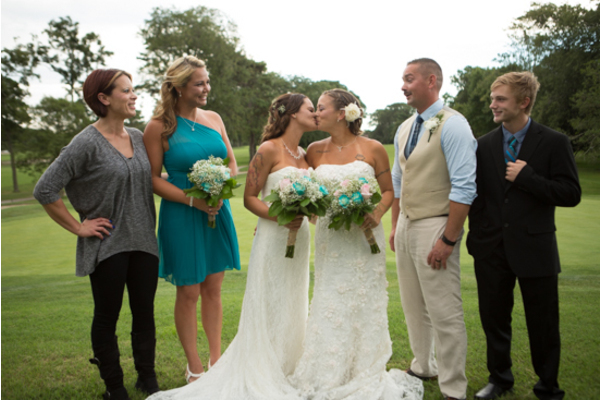 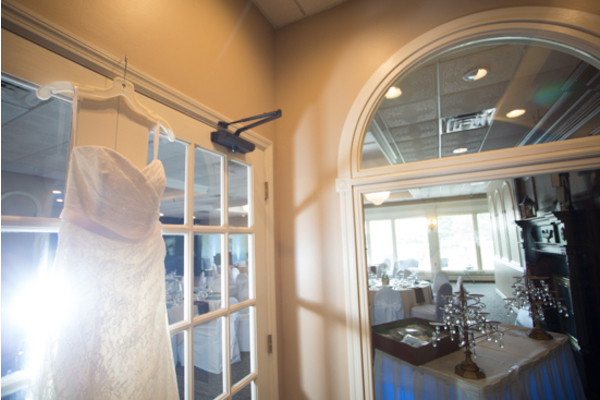 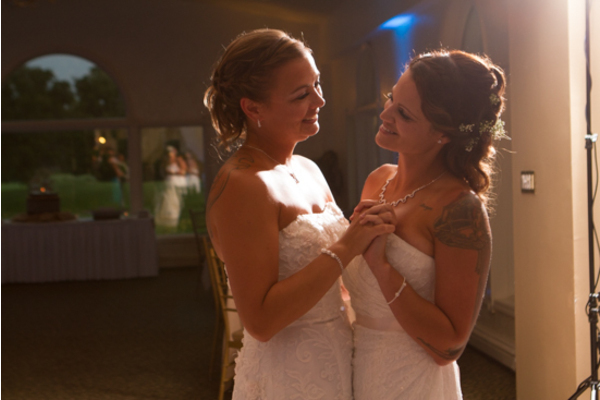 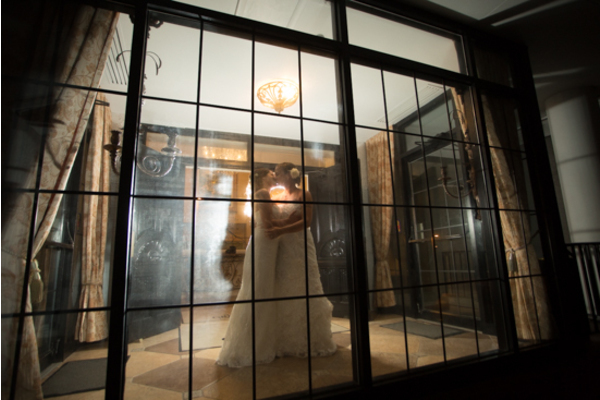 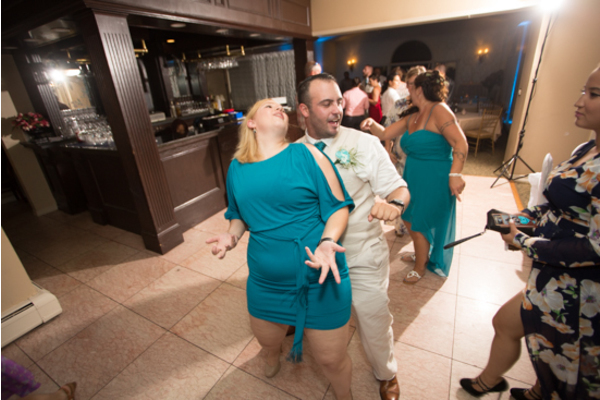 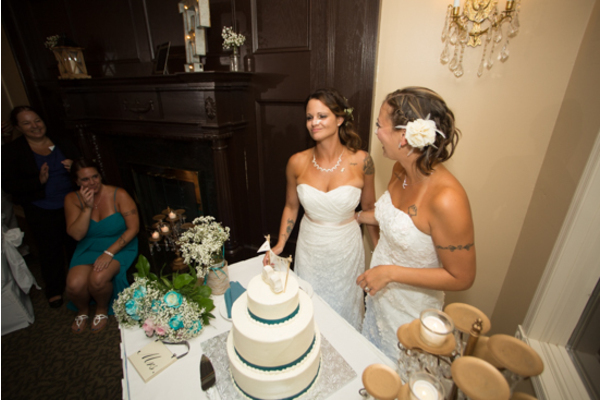 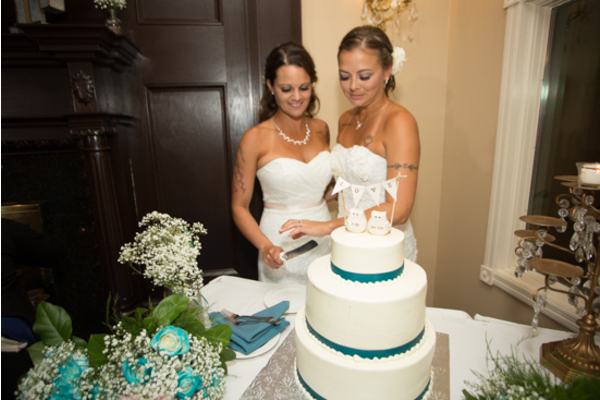 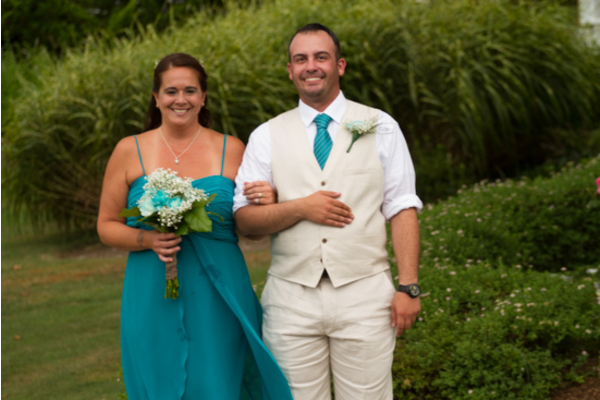 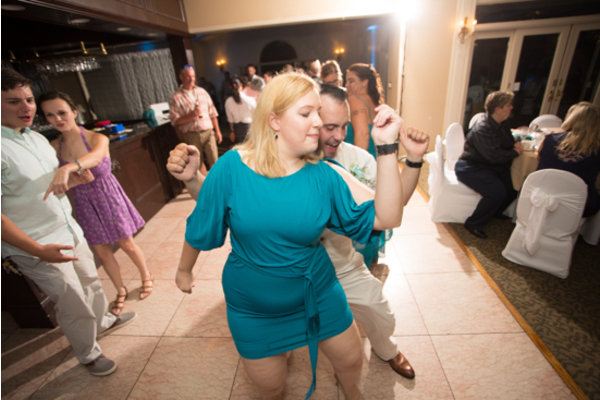 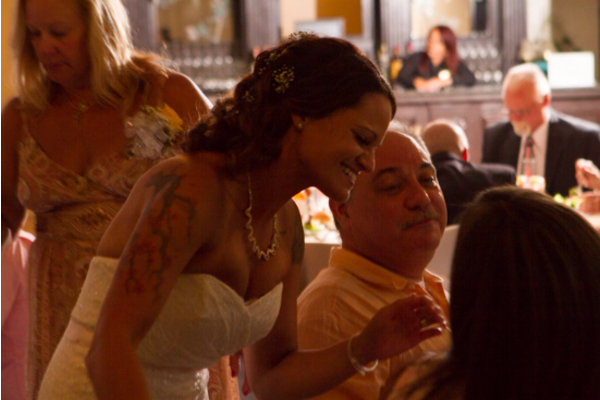 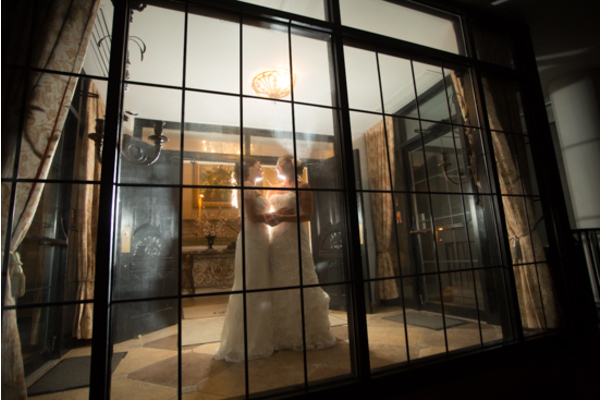 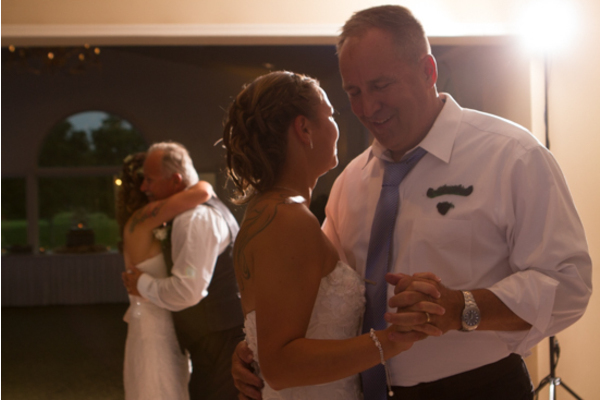 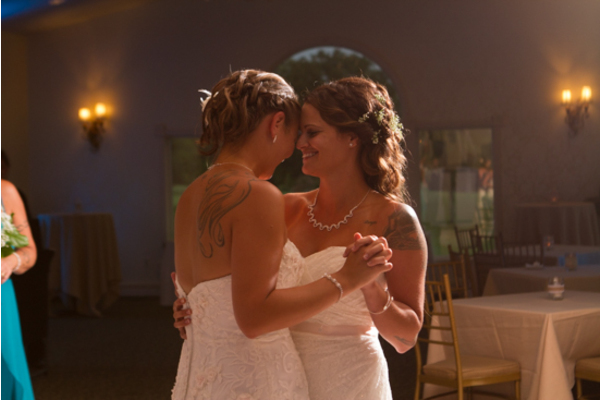 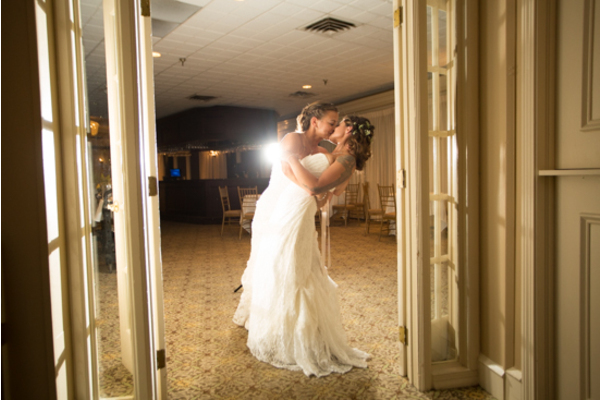 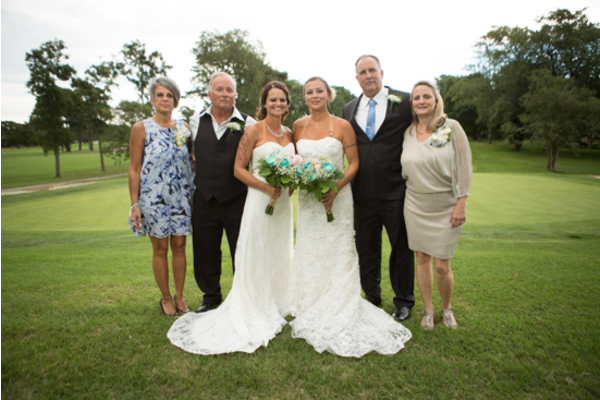 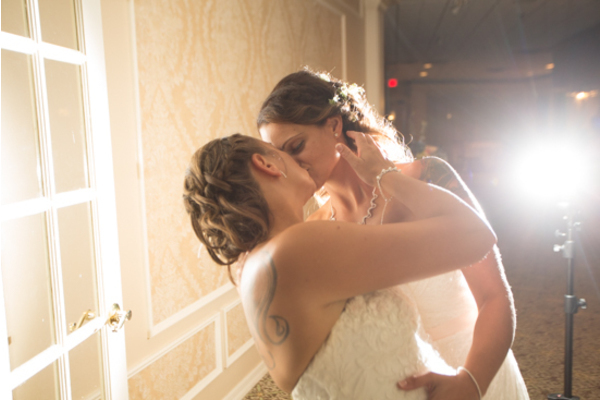 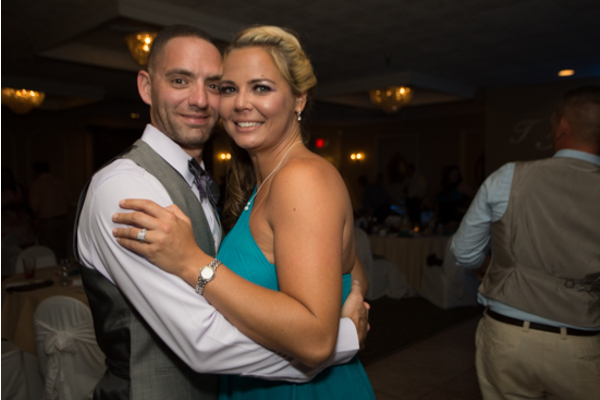 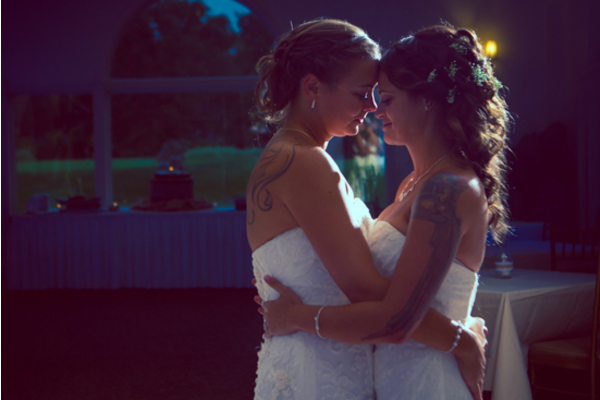 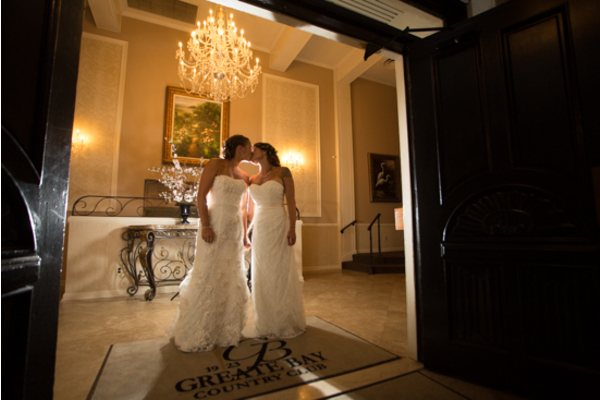 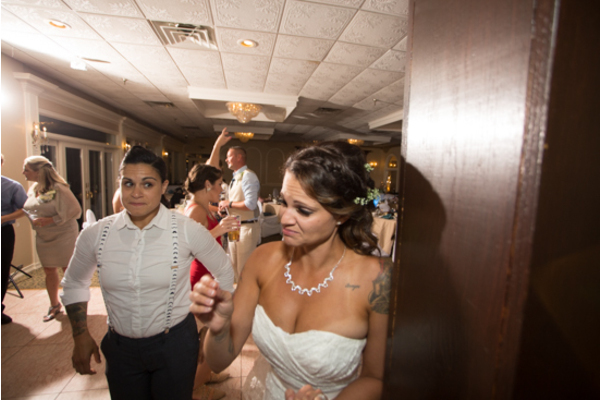 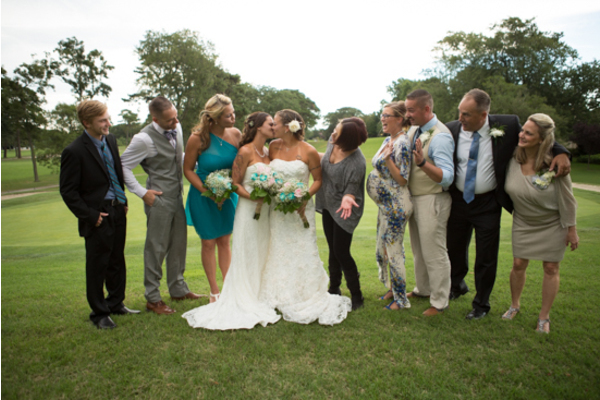 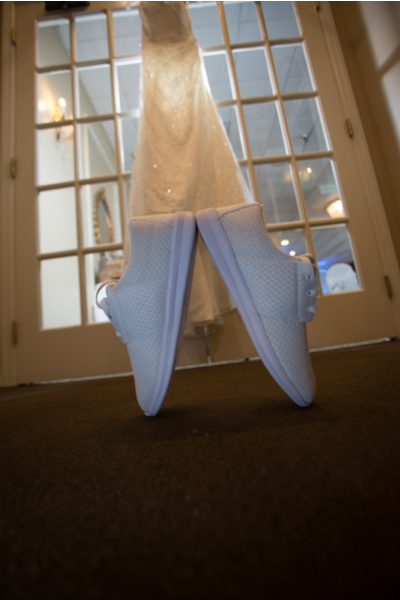 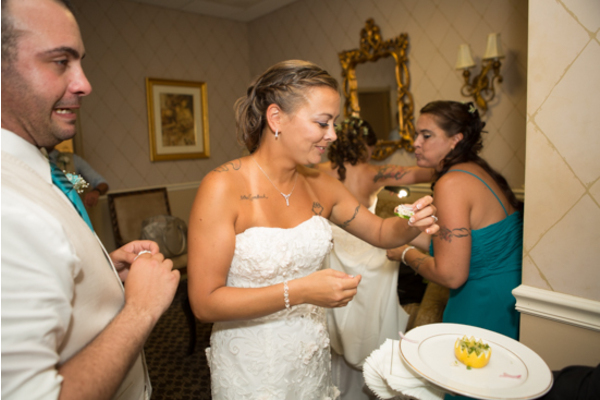 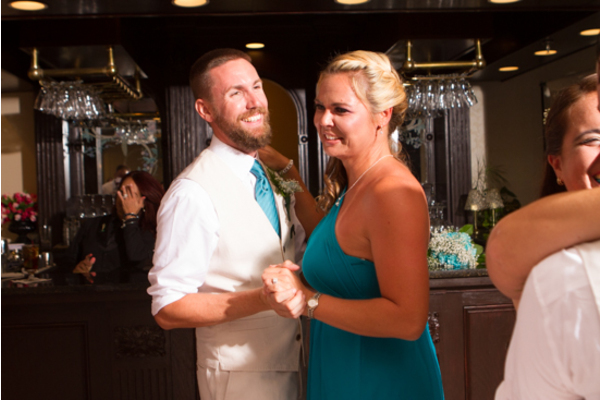 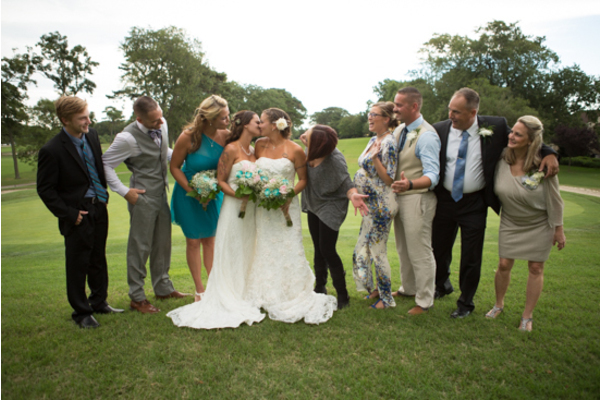 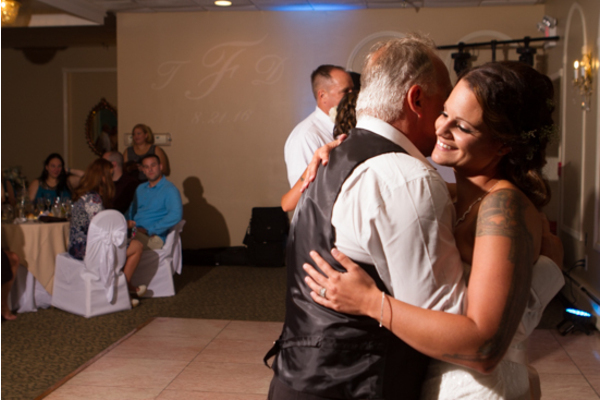 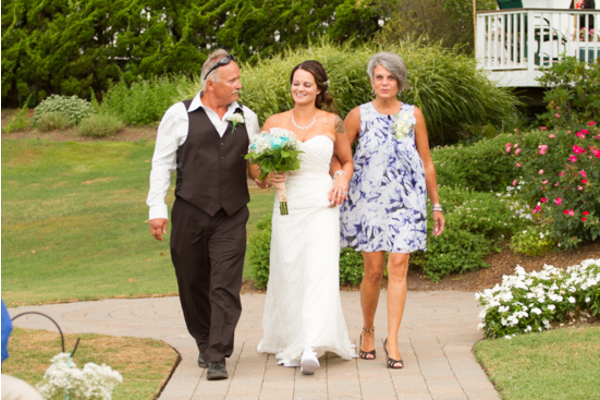 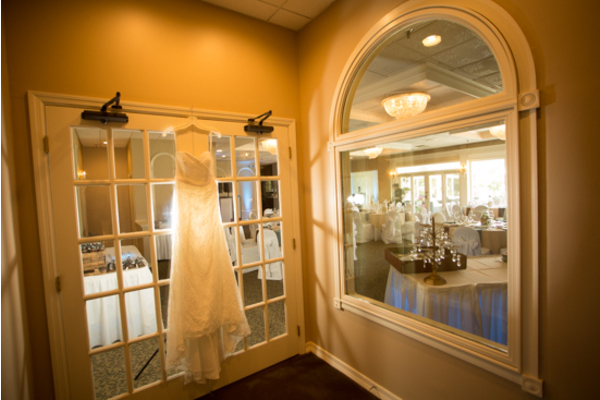 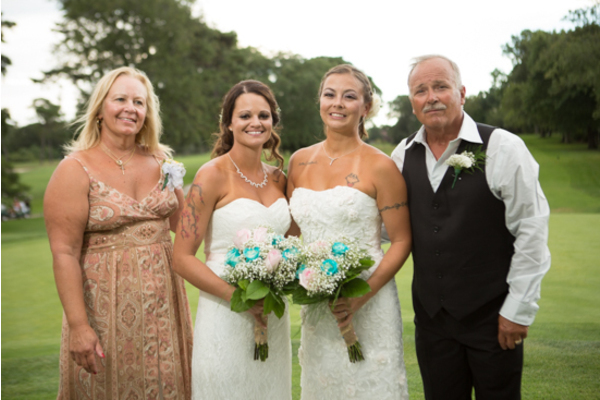 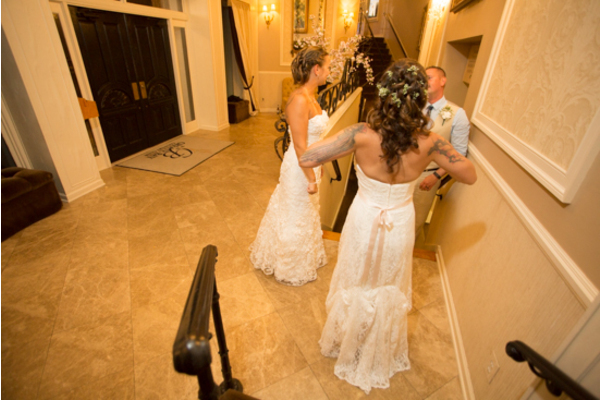 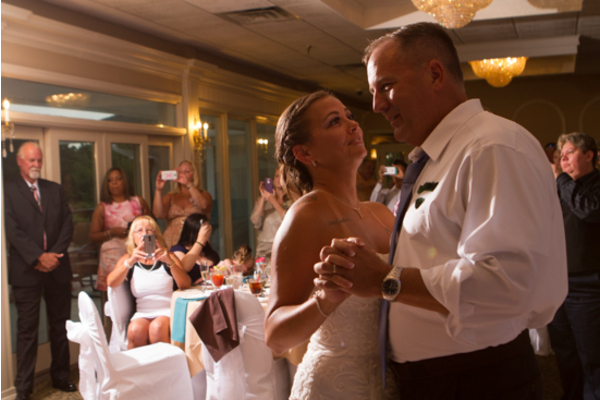 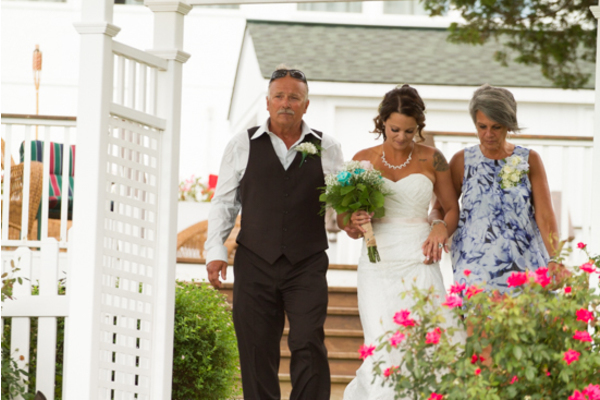 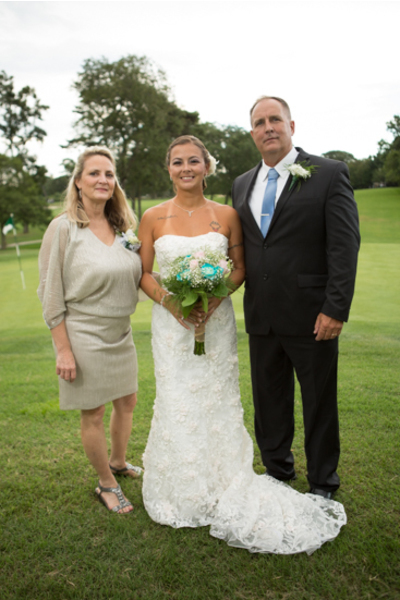 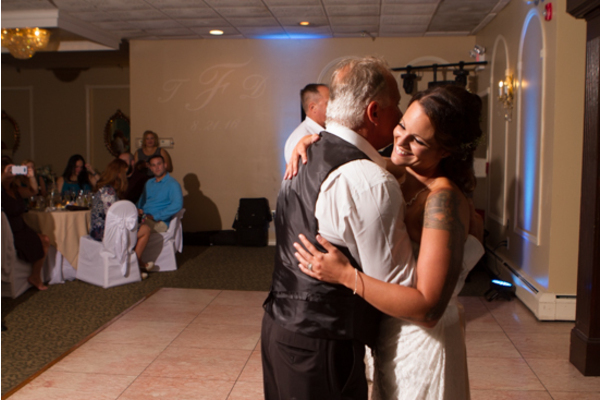 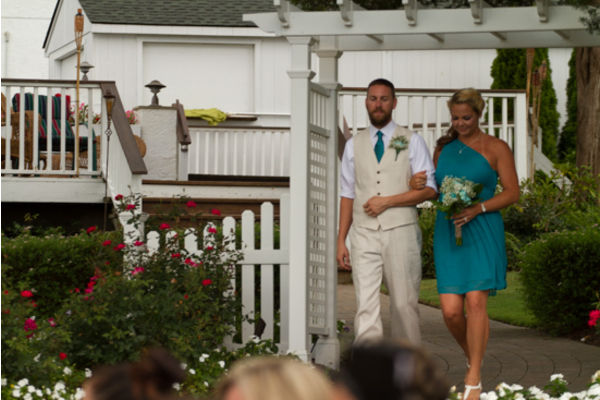 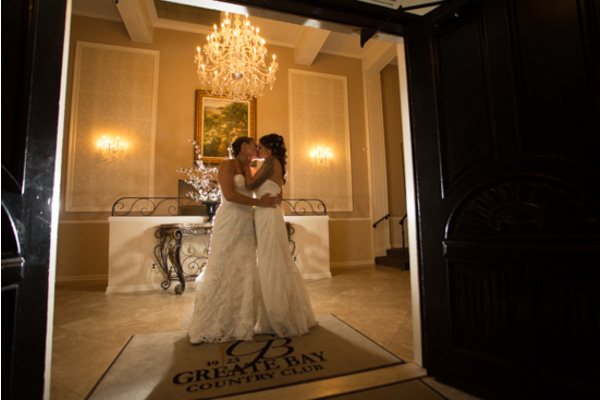 Love shined through at the Greate Bay Country Club in Somer’s Point, NJ that brought Deanna and Tina to remember the night forever. 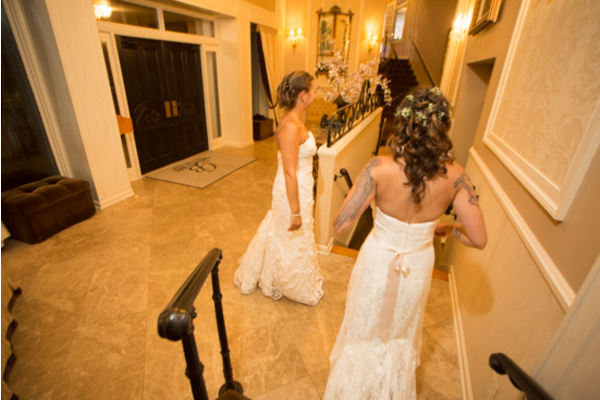 Deanna and Tina started off by putting on beautiful white laced dresses that your eyes couldn’t wander anywhere else to. 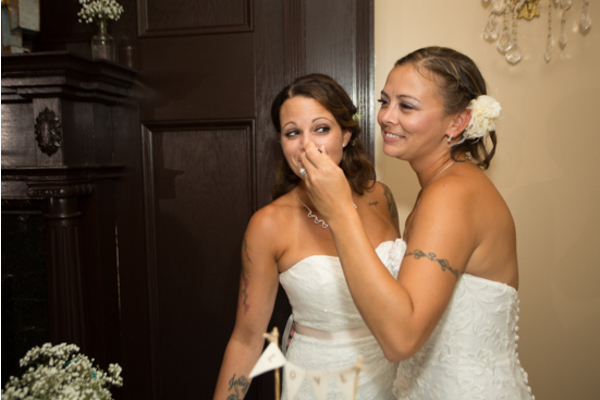 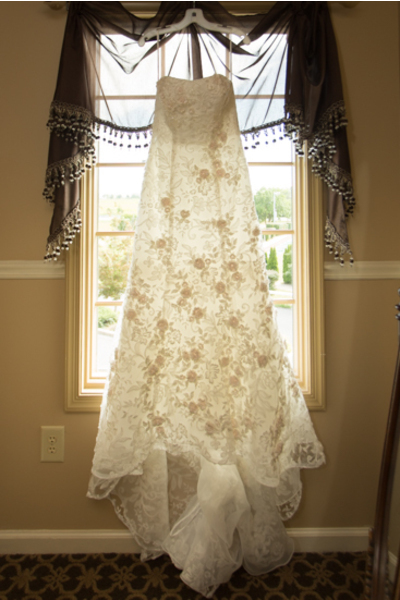 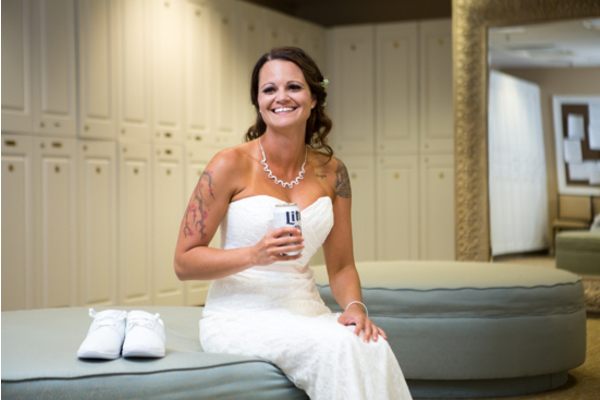 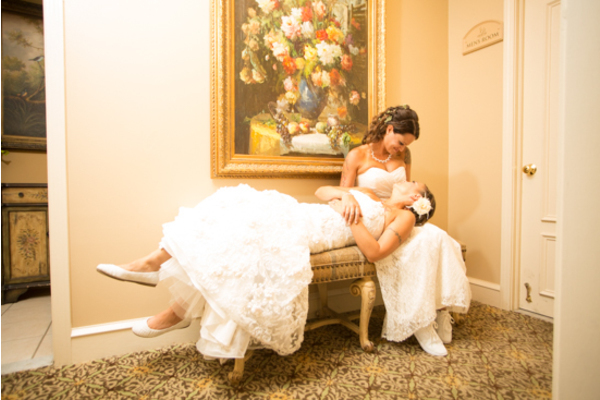 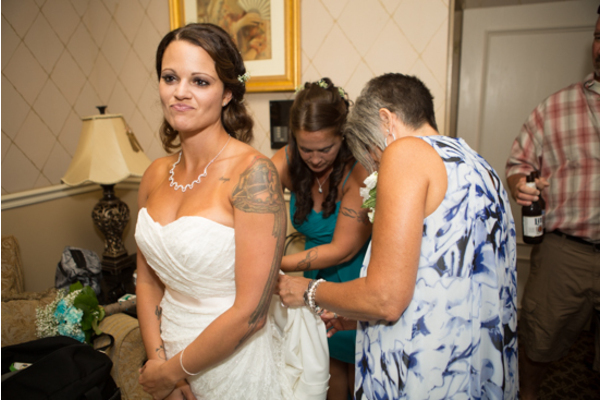 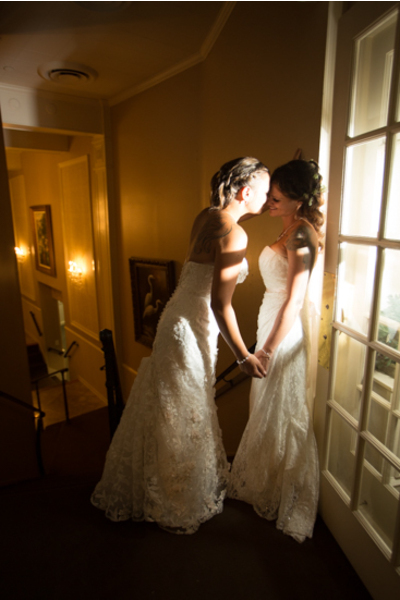 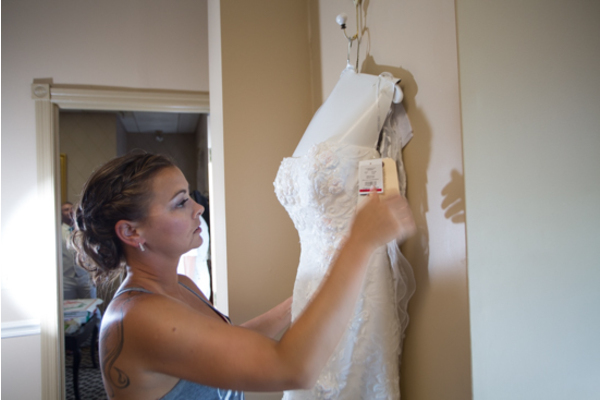 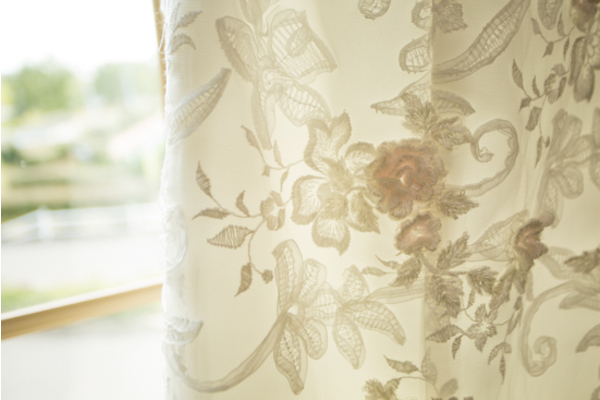 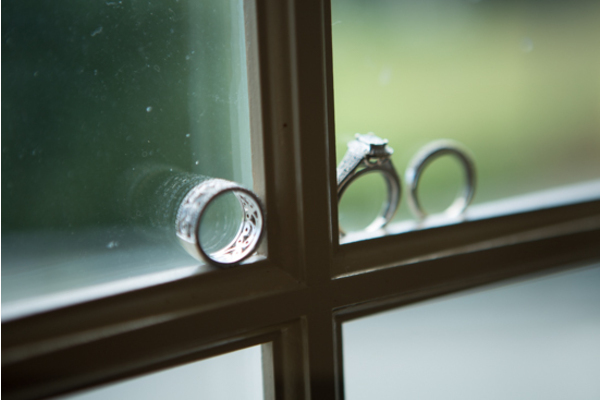 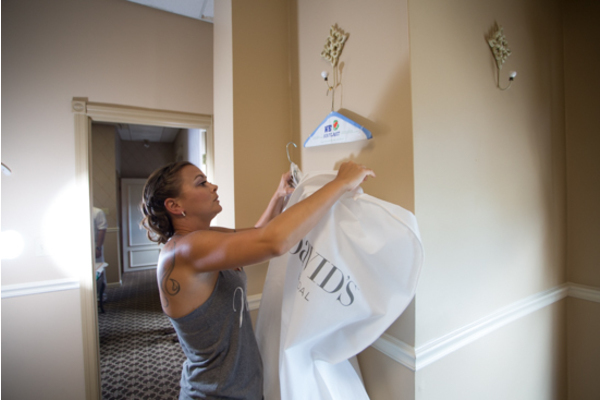 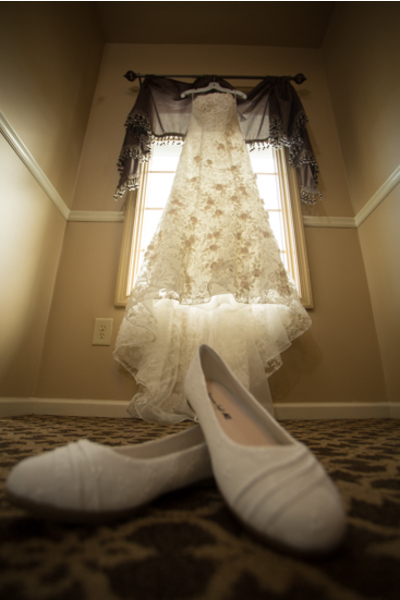 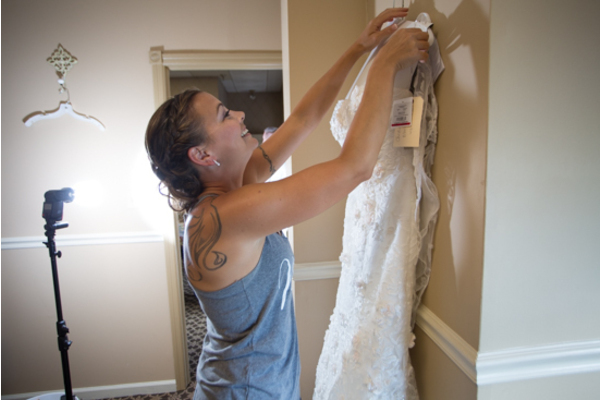 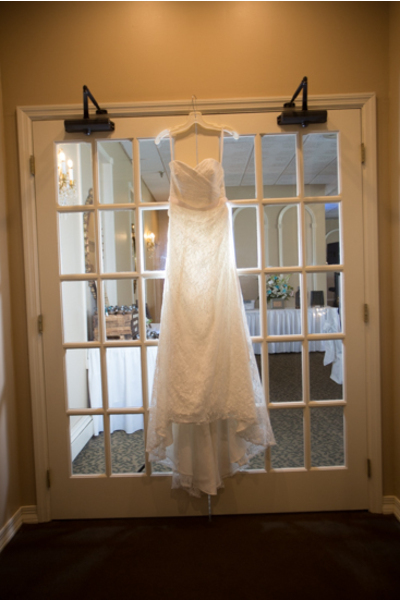 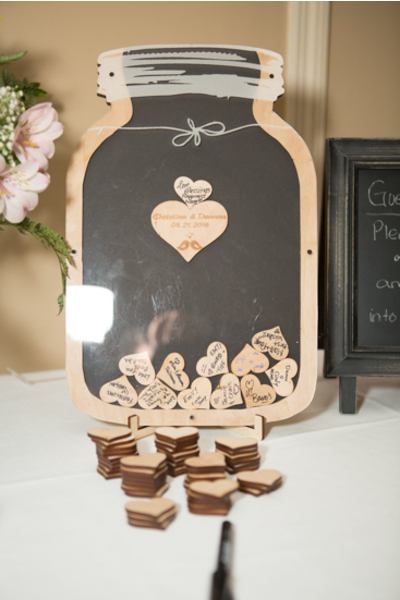 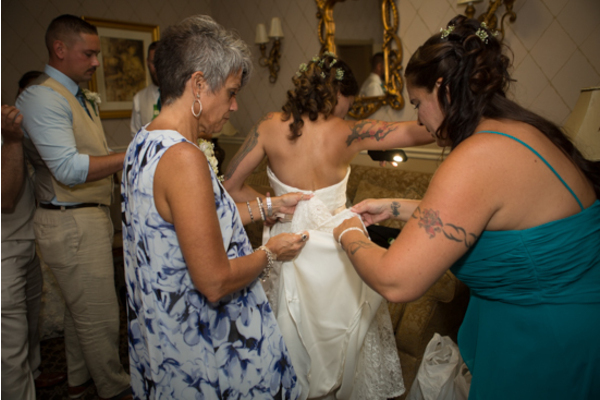 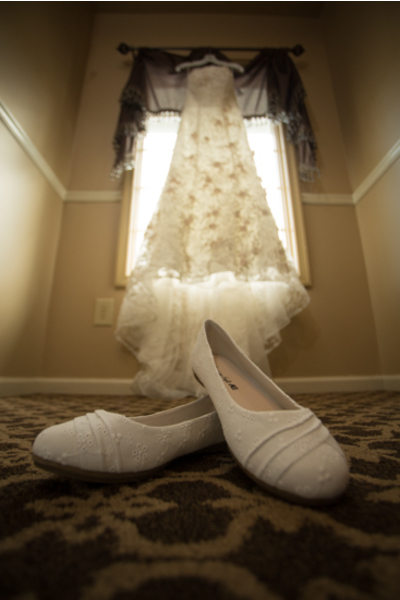 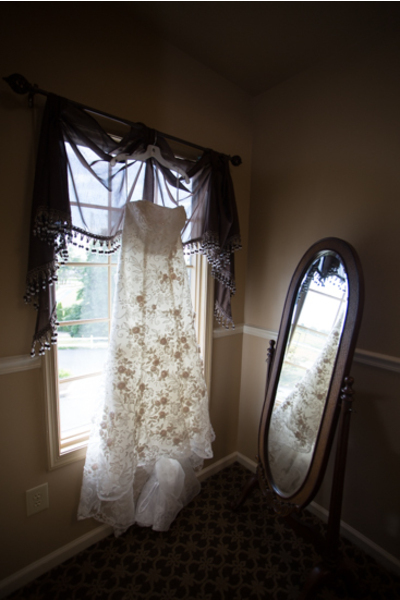 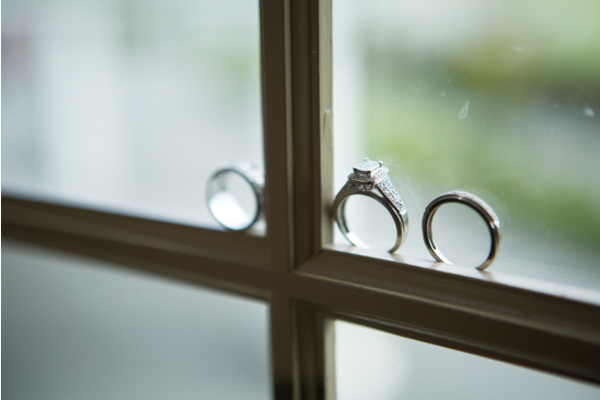 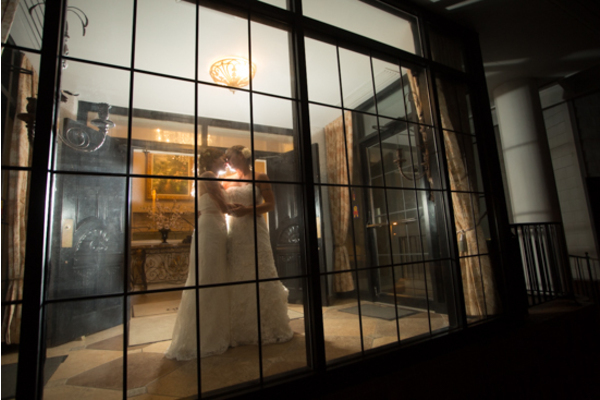 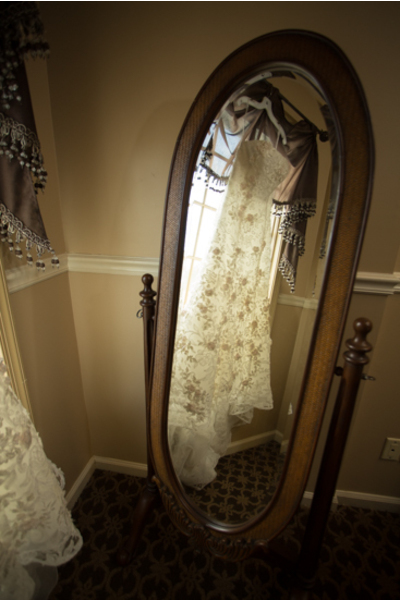 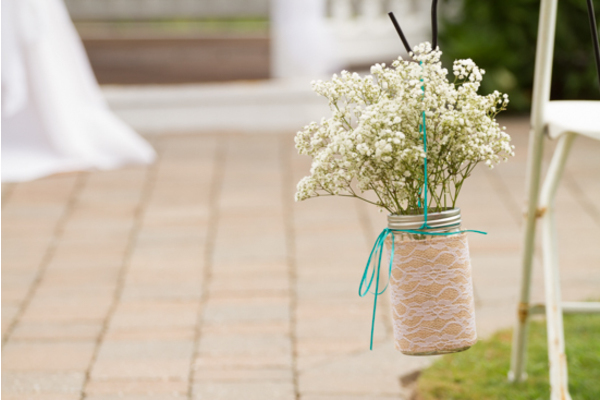 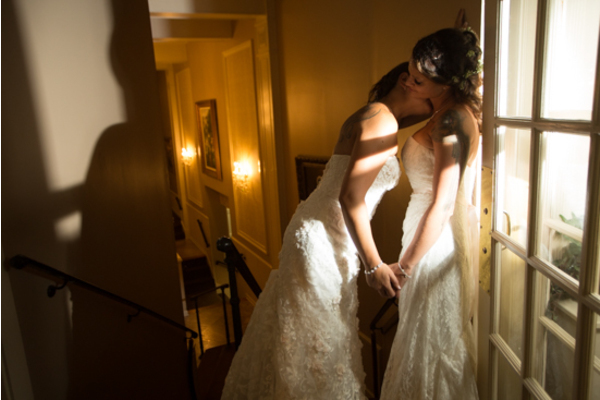 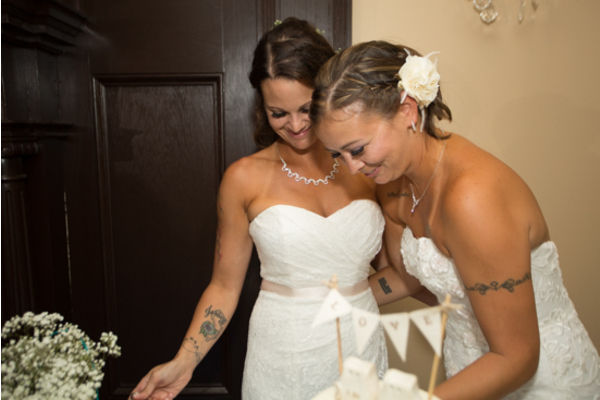 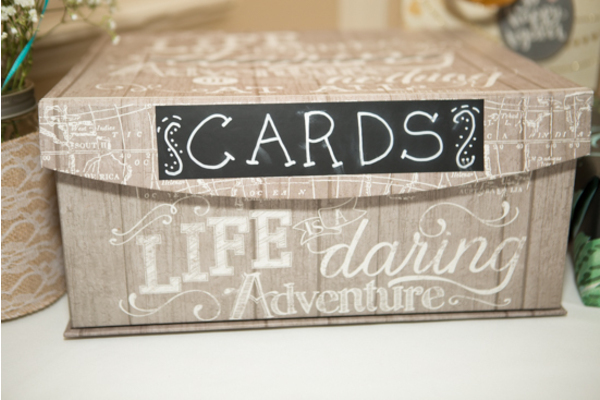 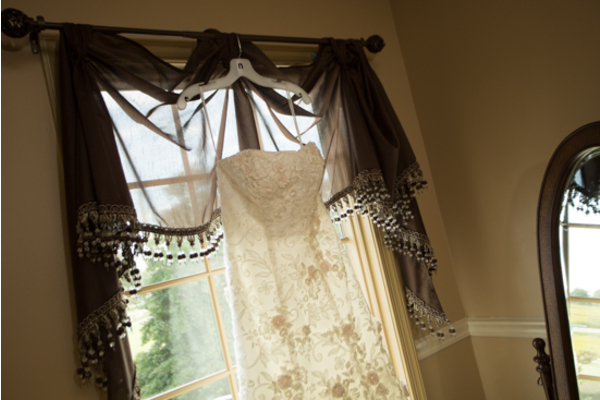 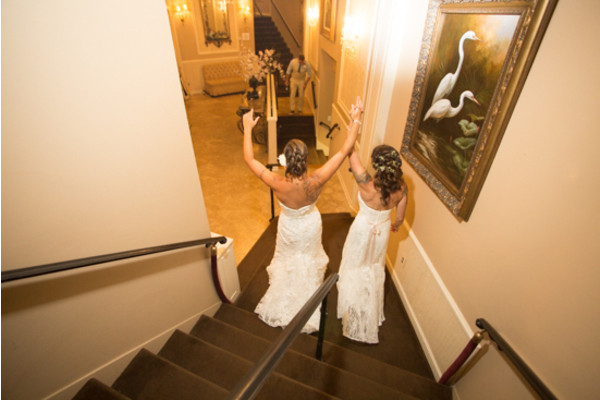 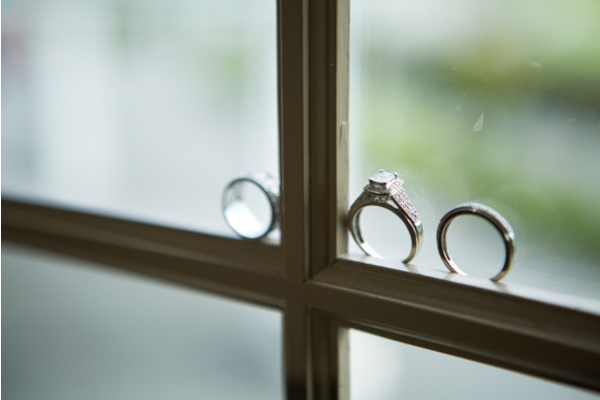 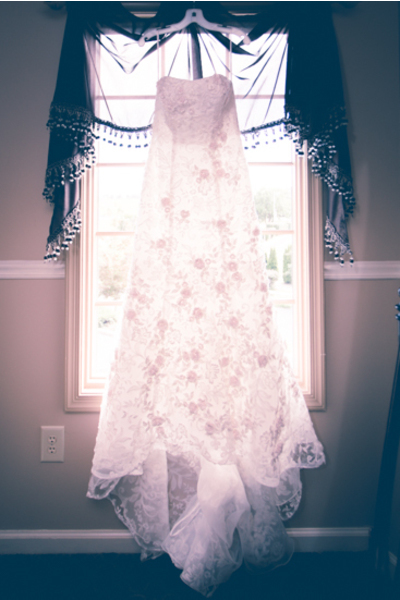 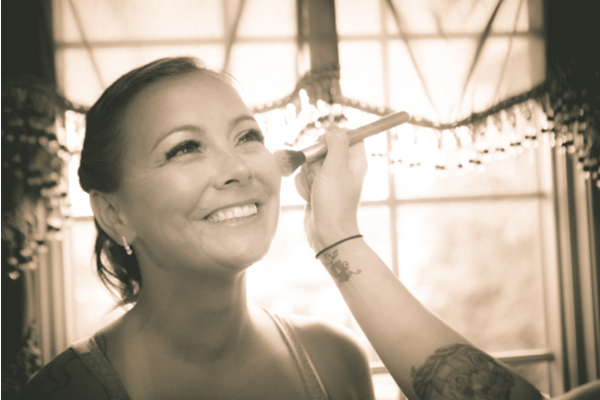 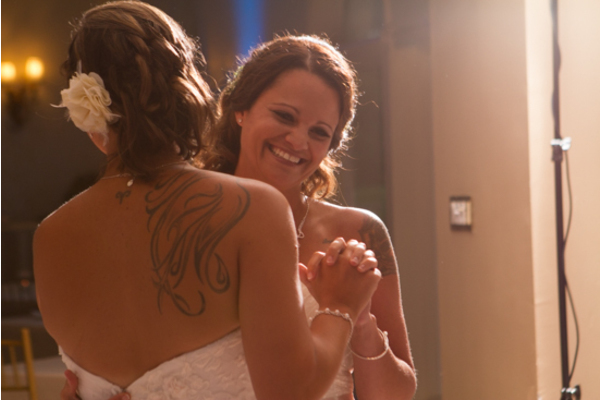 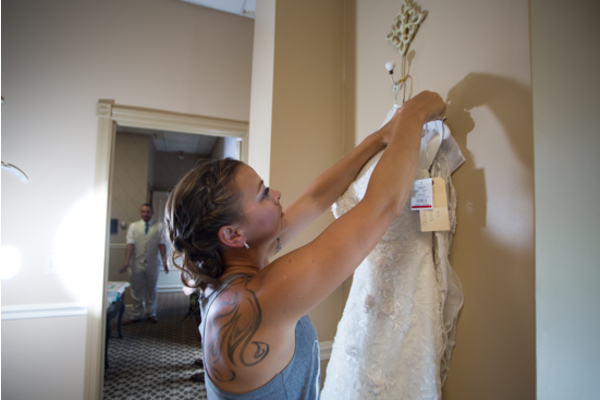 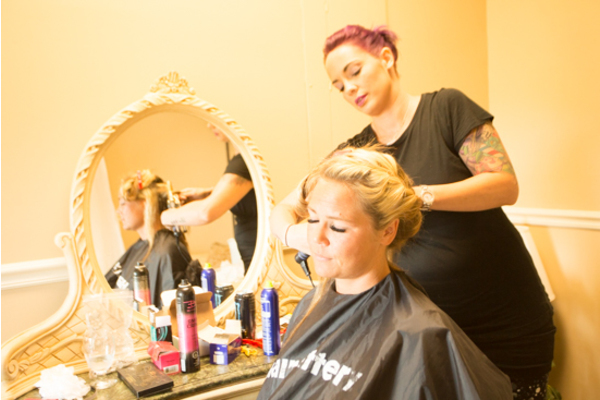 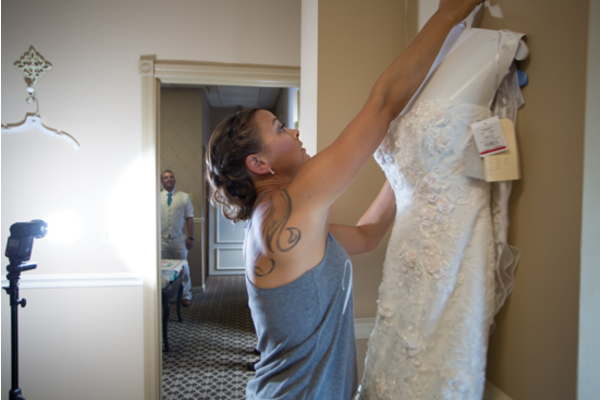 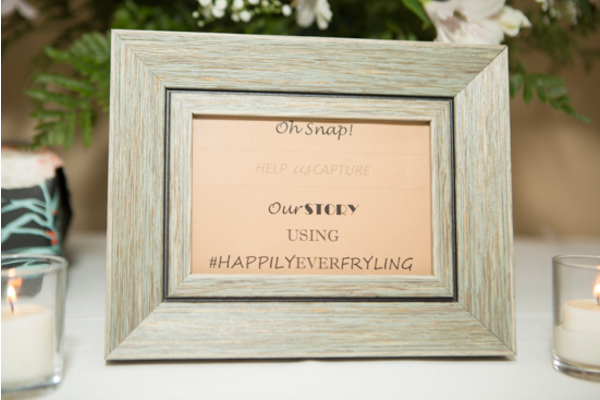 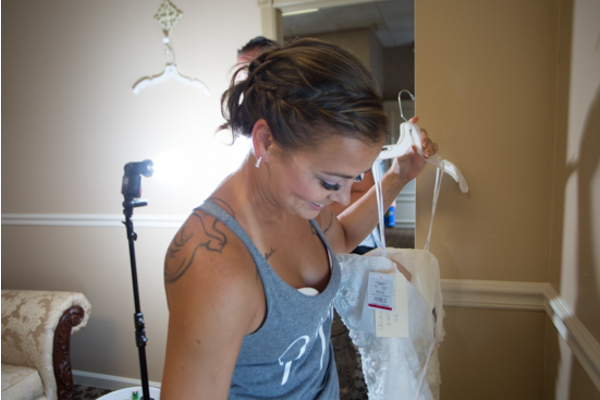 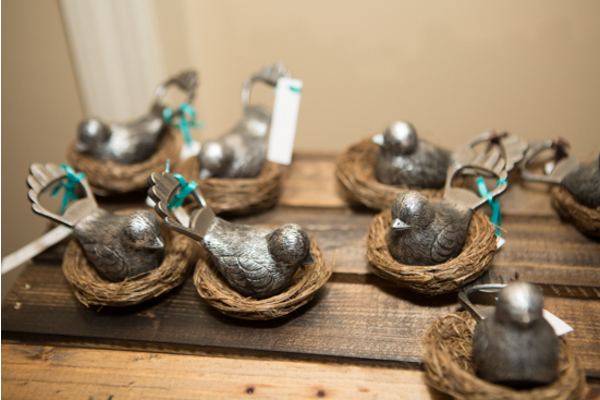 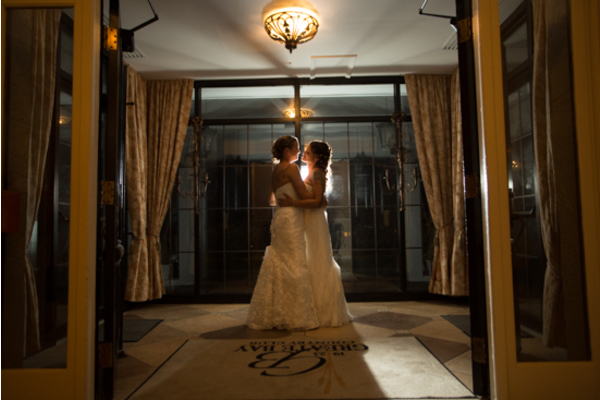 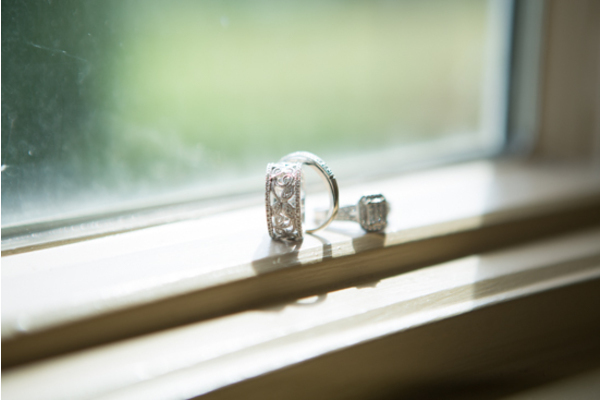 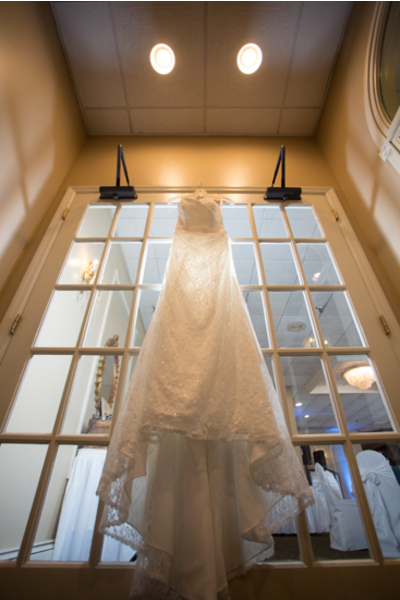 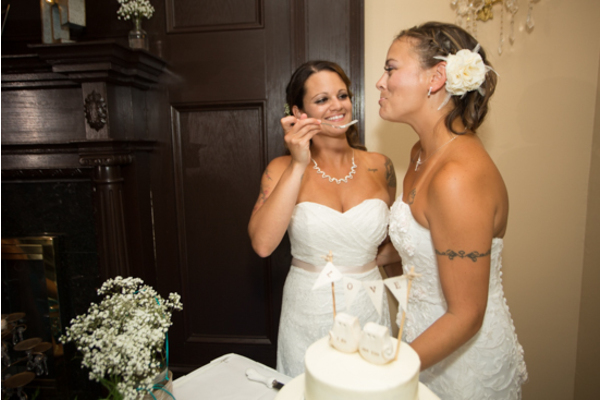 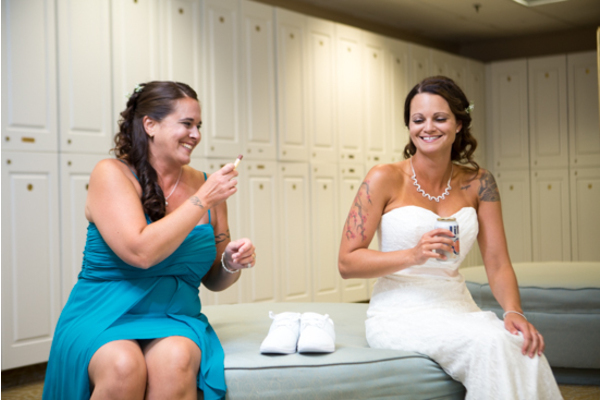 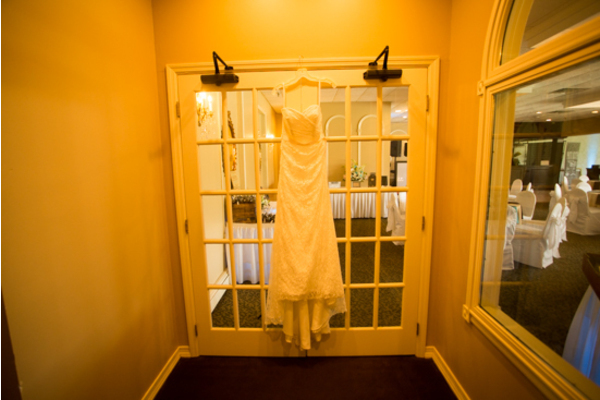 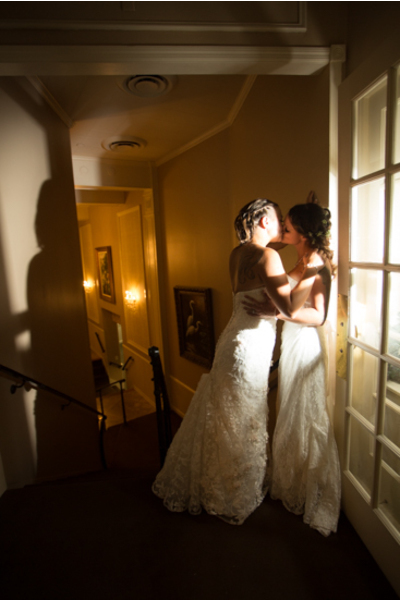 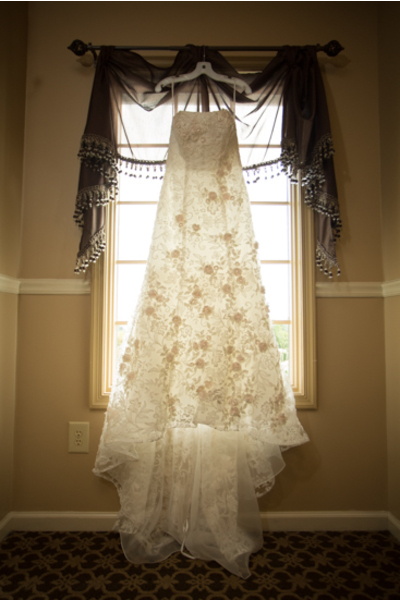 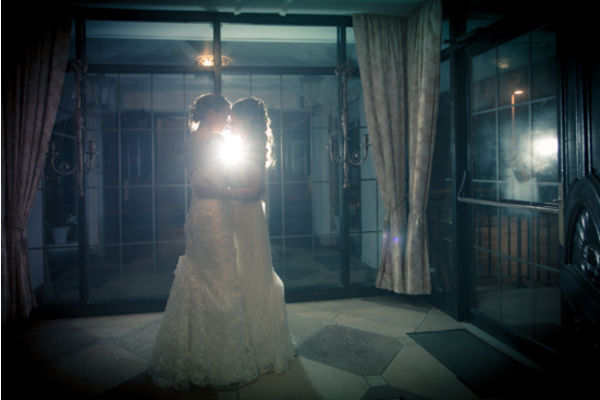 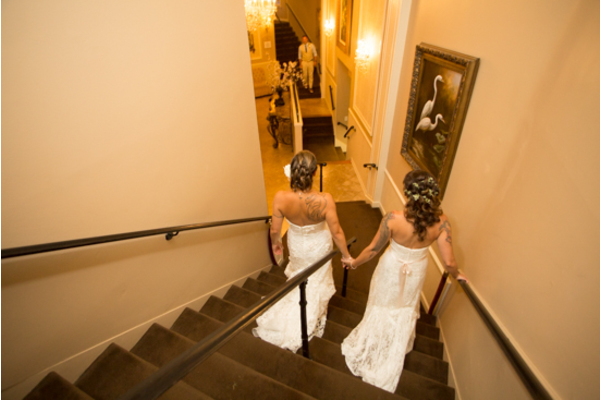 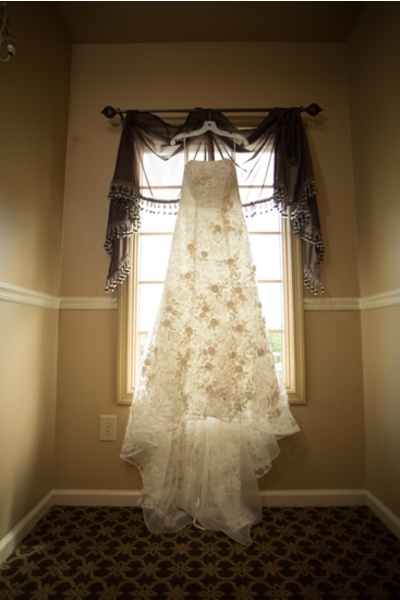 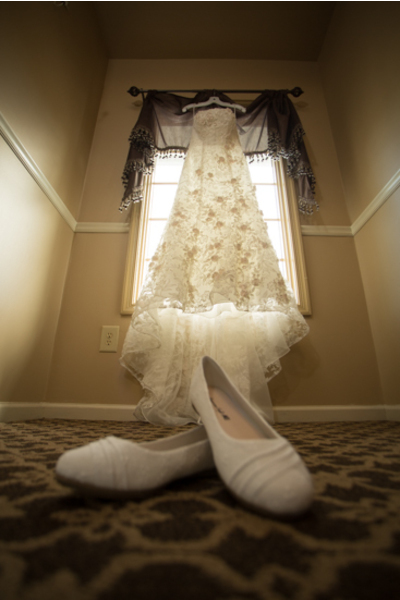 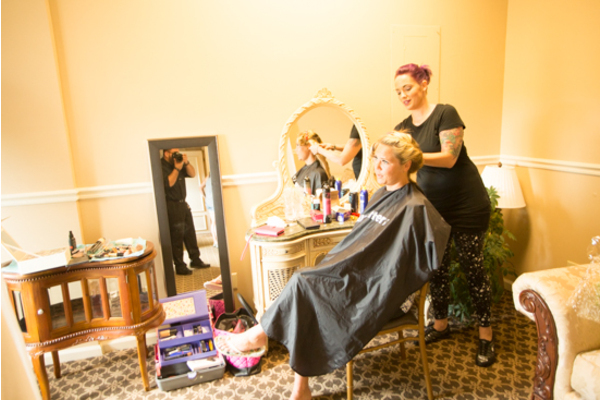 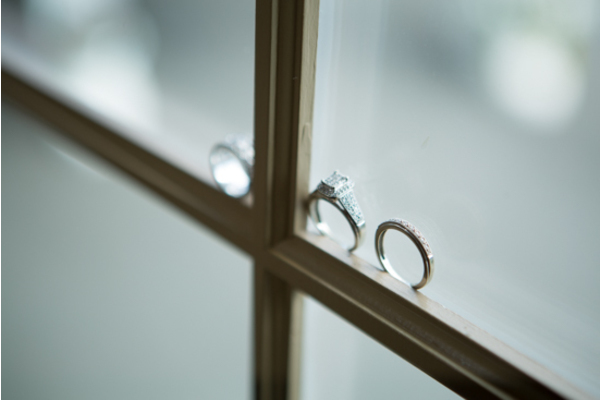 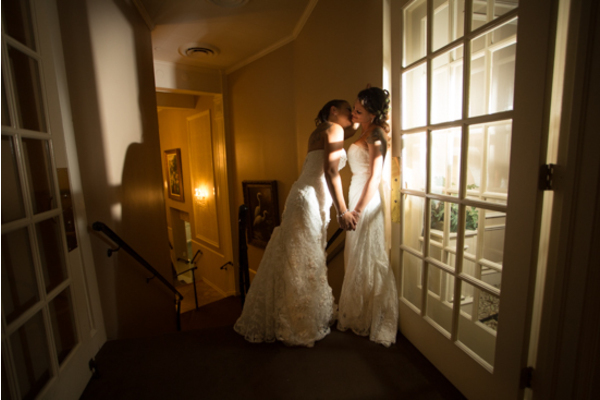 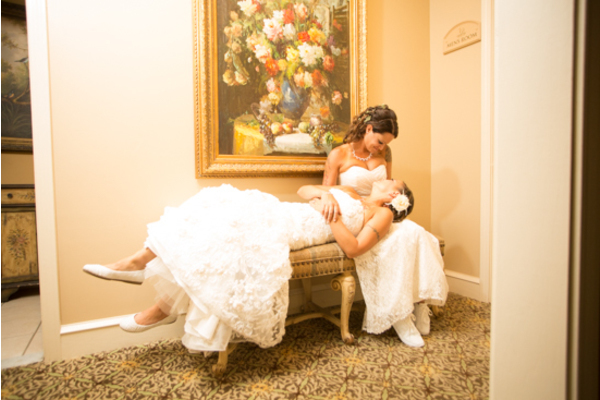 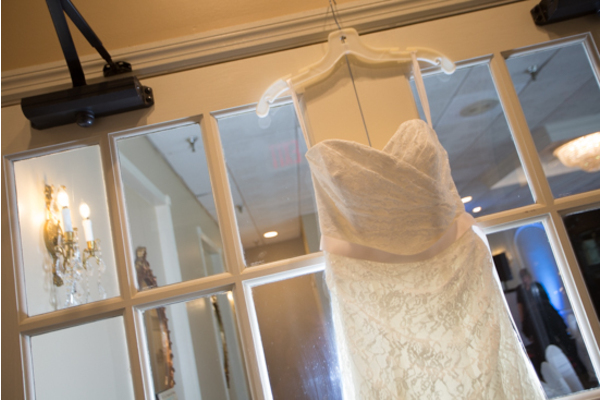 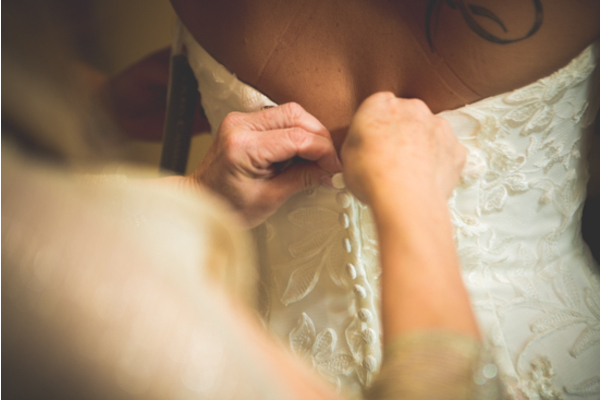 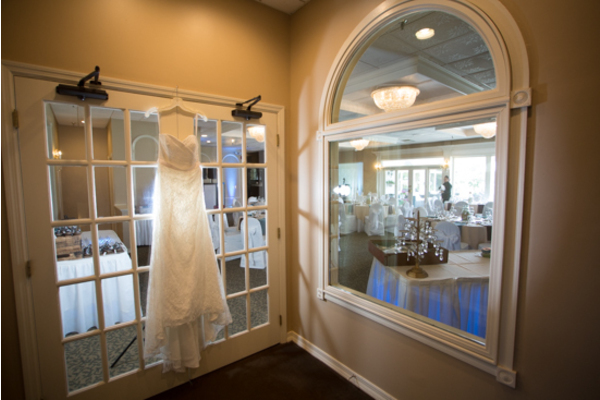 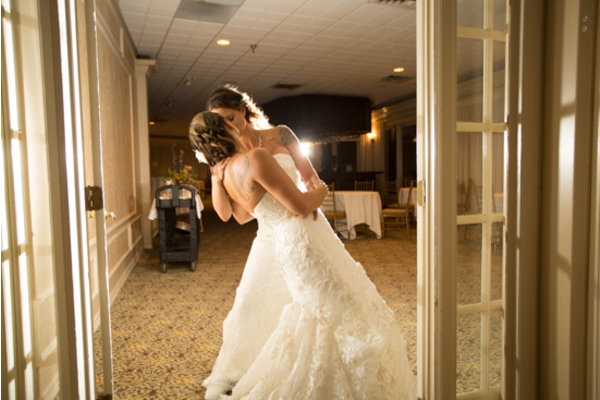 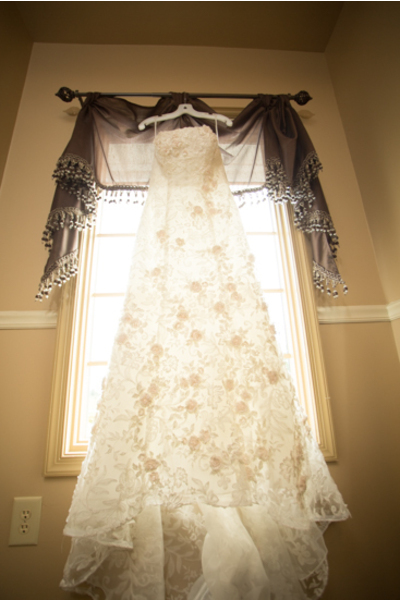 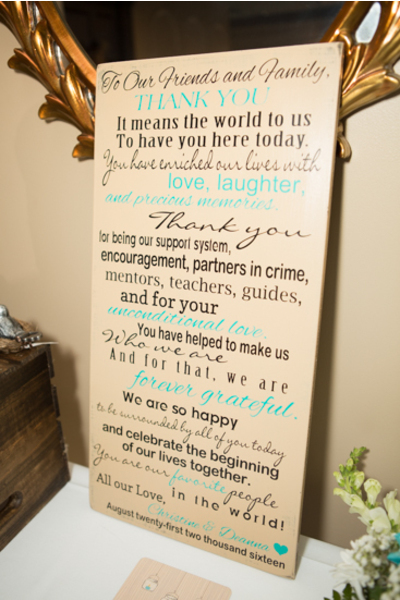 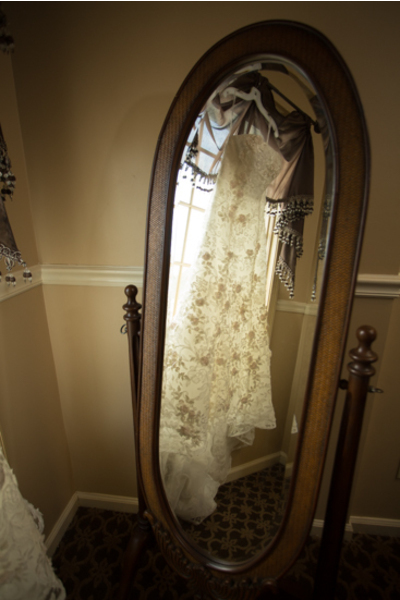 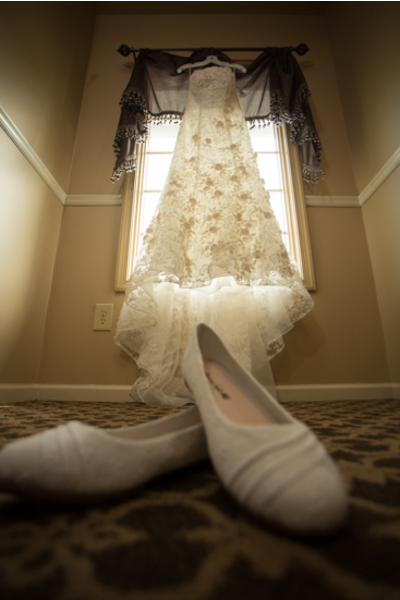 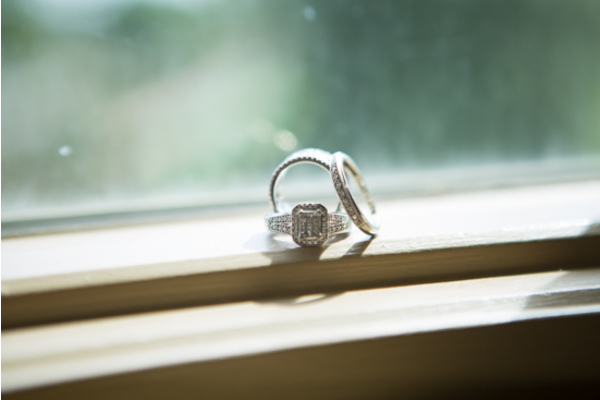 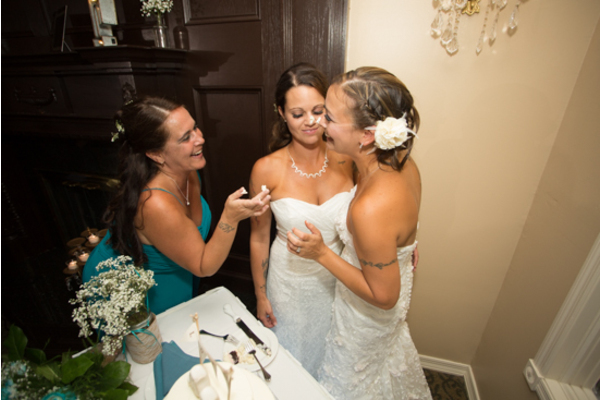 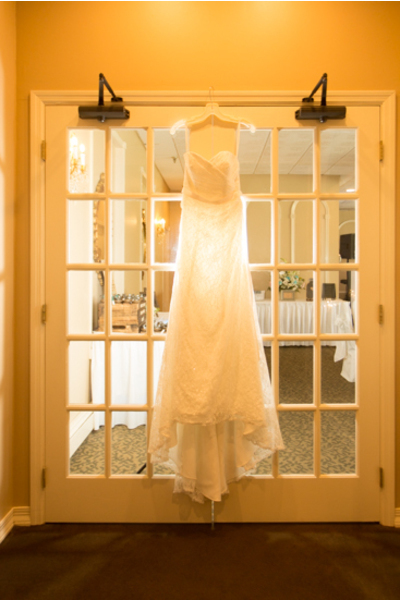 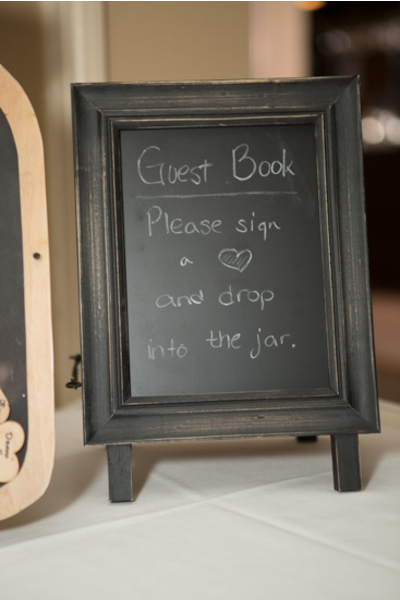 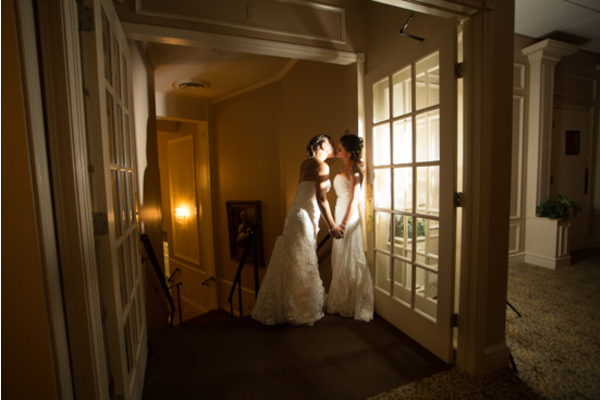 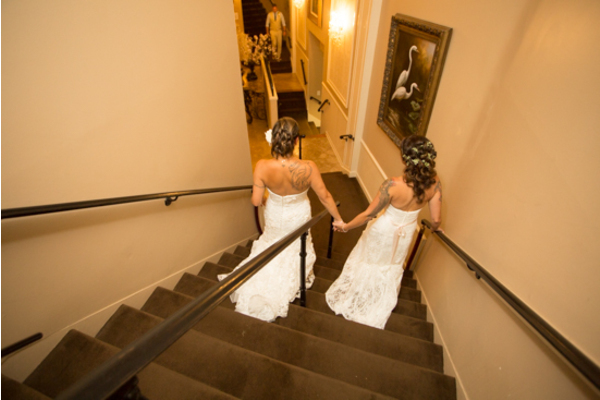 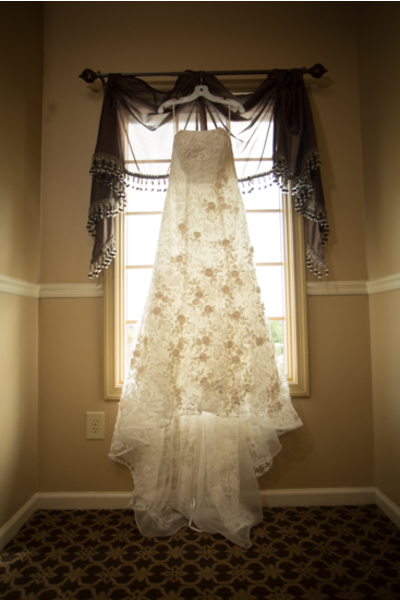 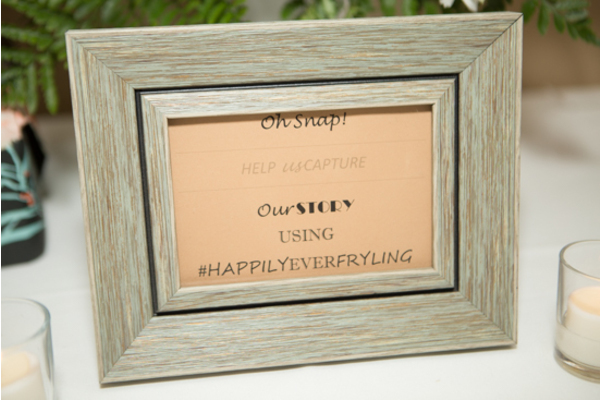 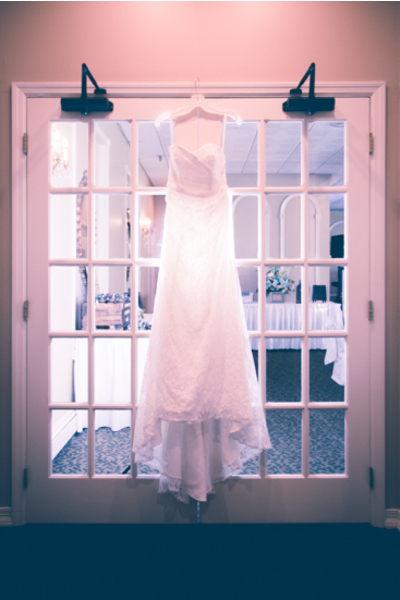 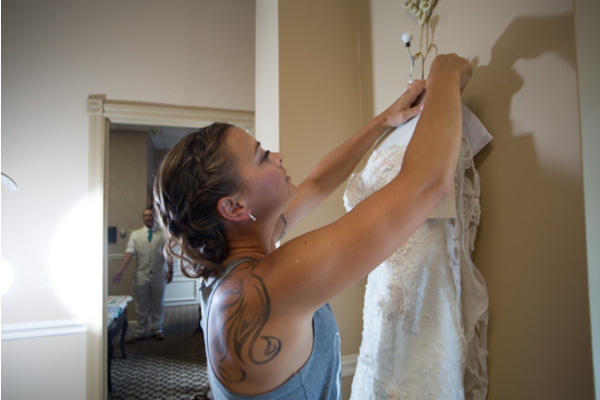 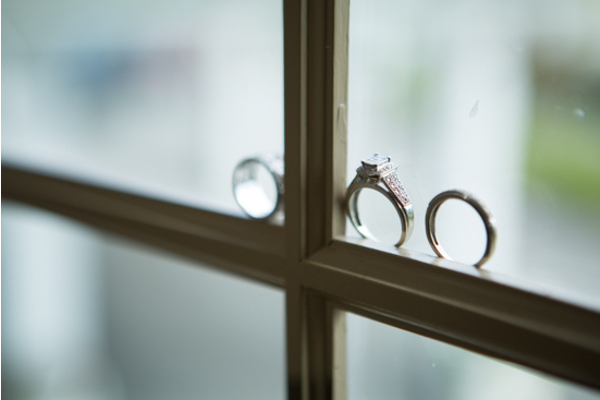 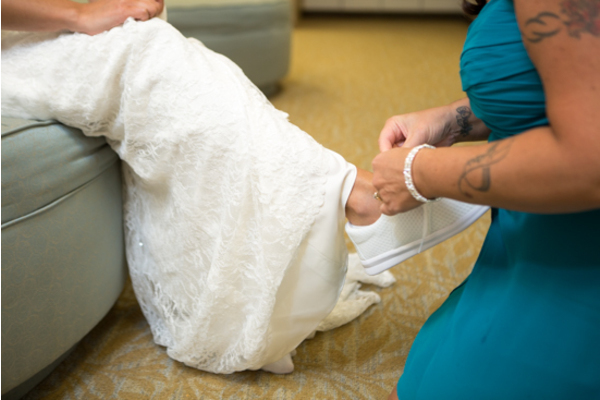 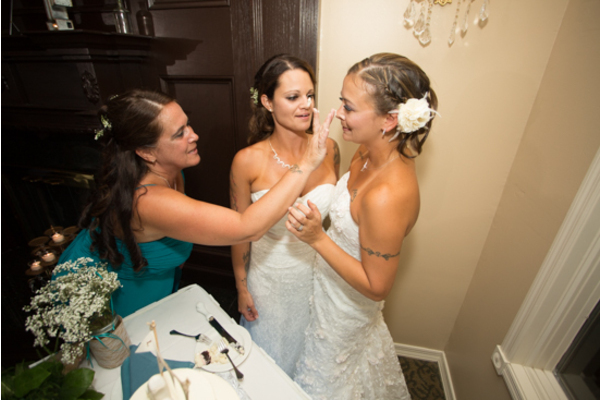 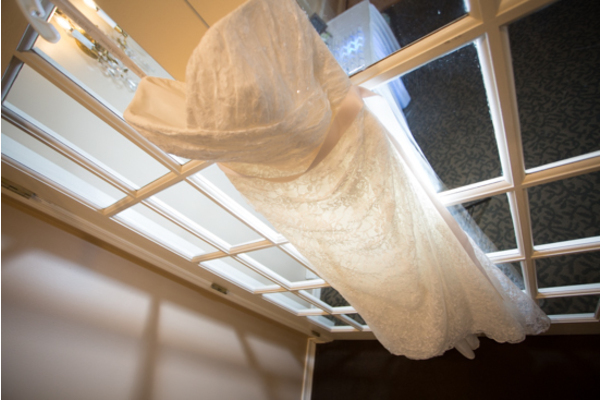 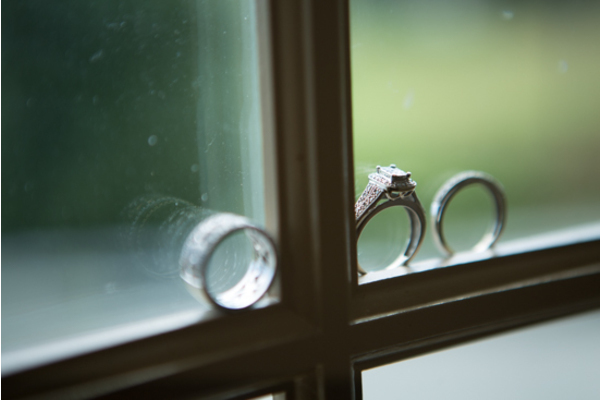 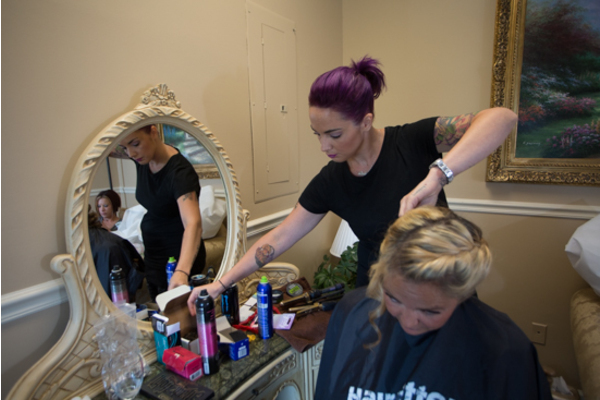 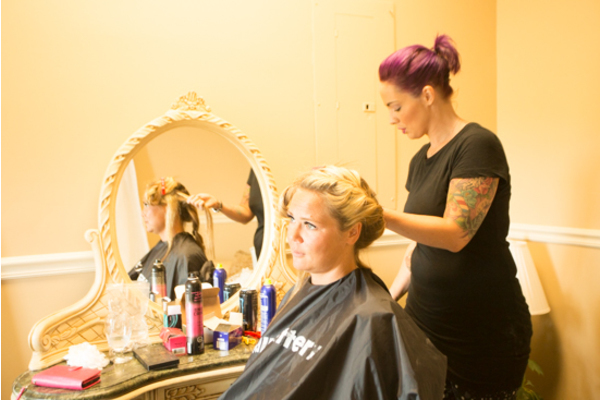 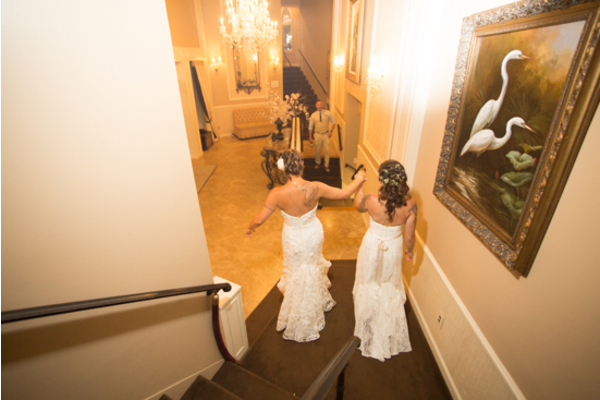 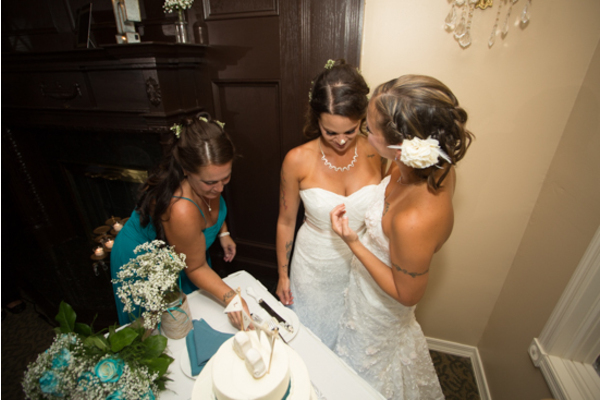 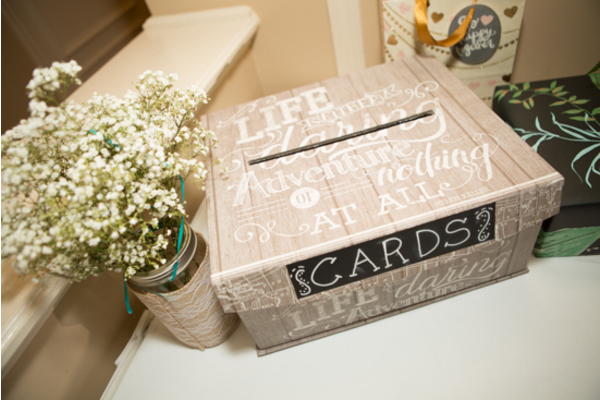 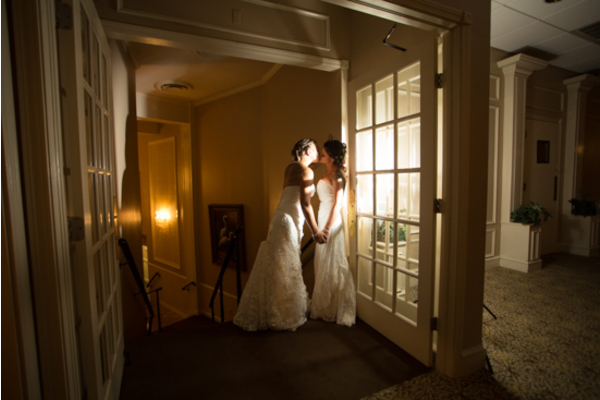 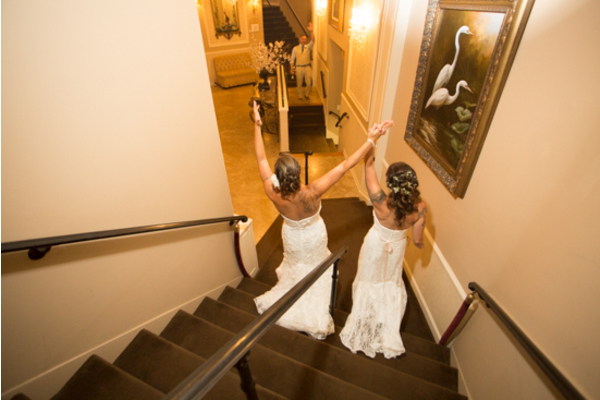 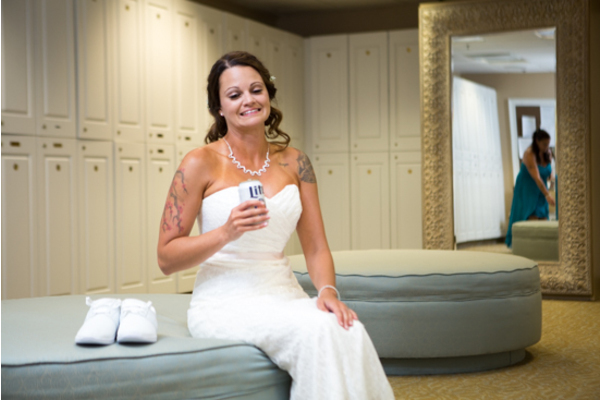 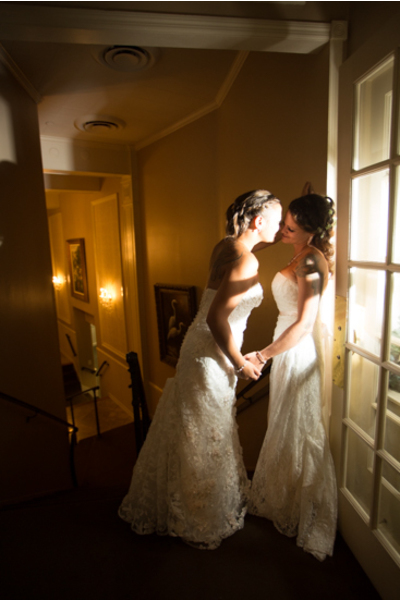 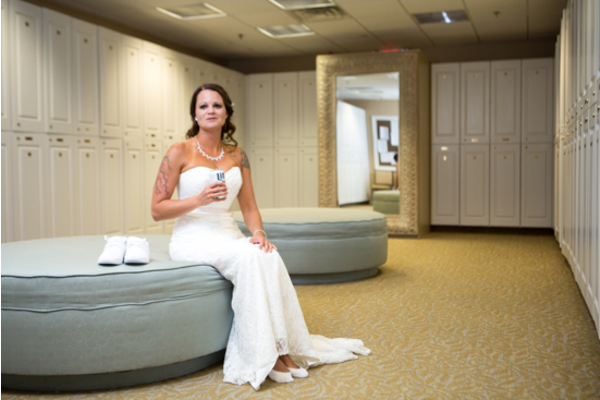 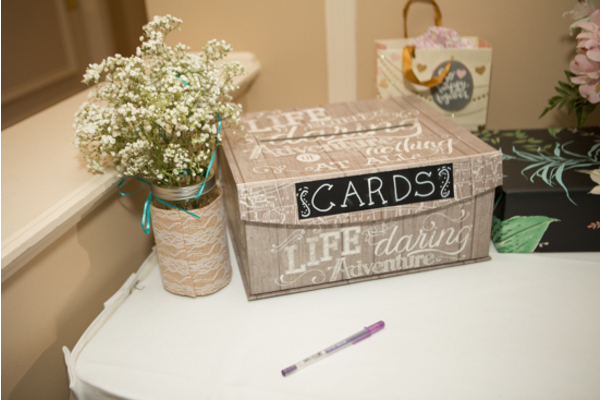 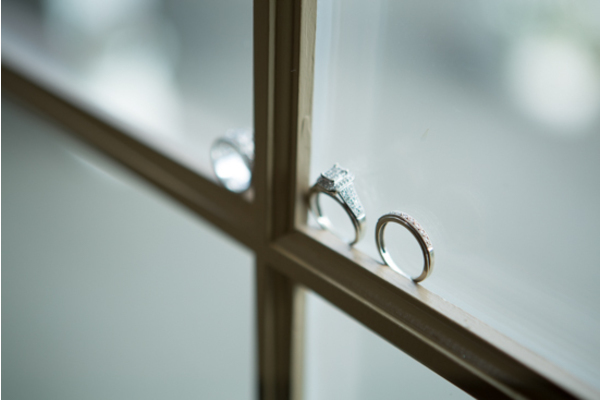 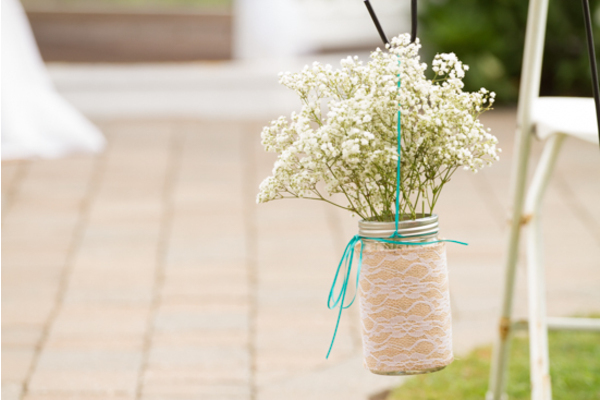 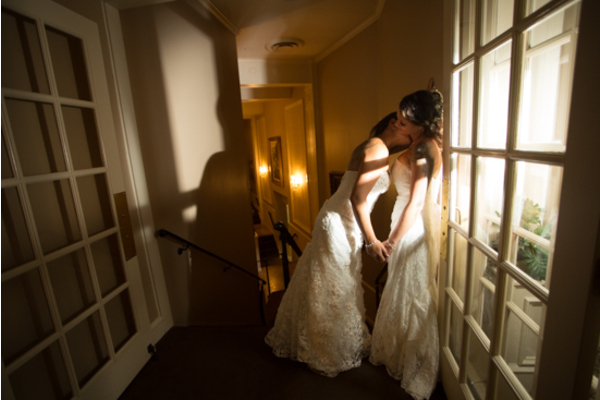 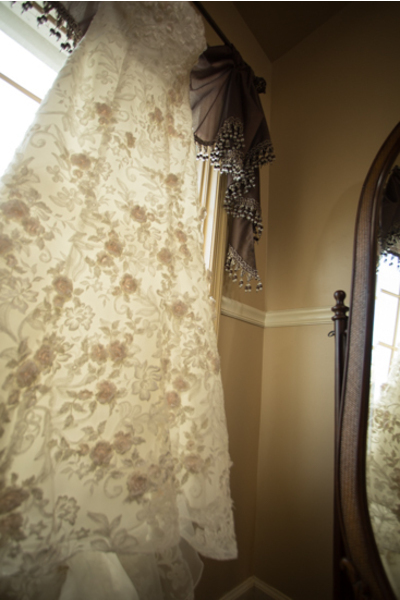 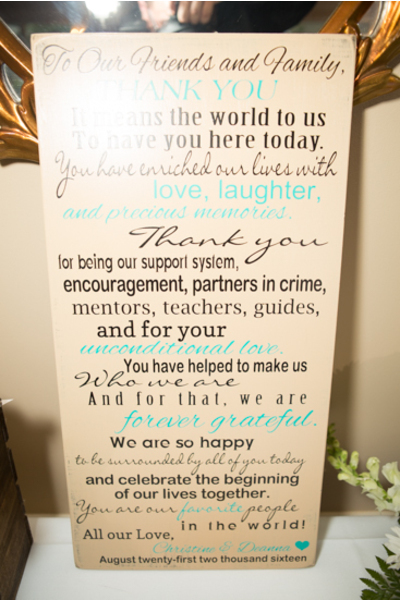 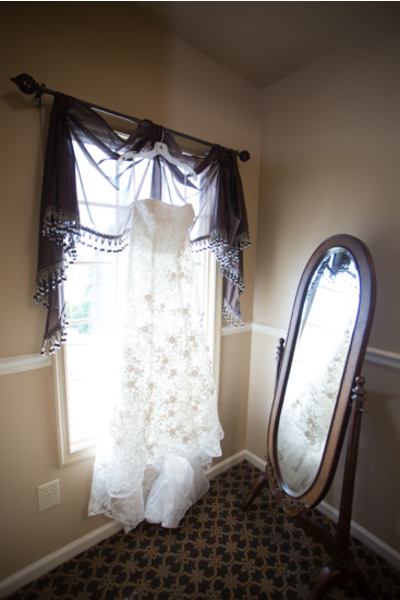 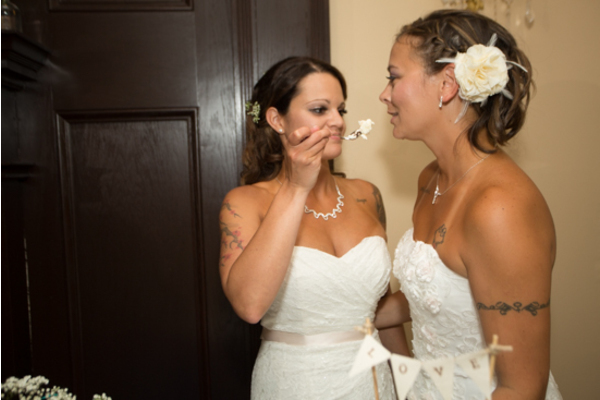 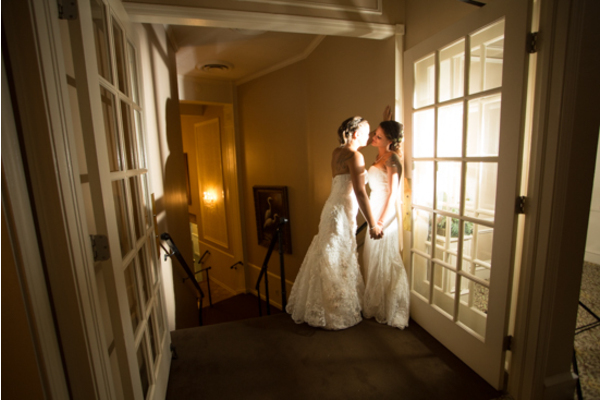 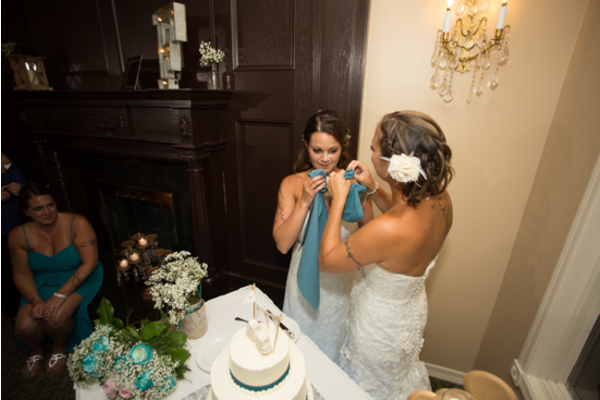 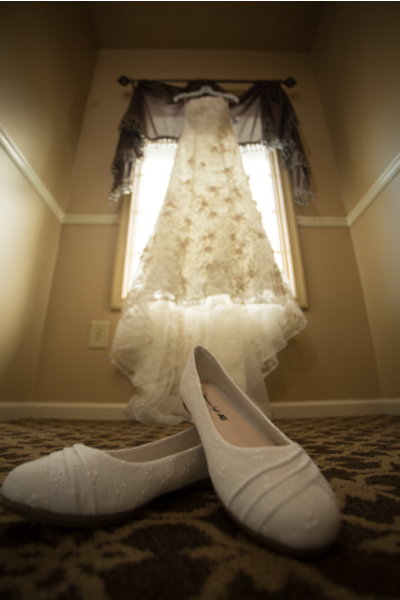 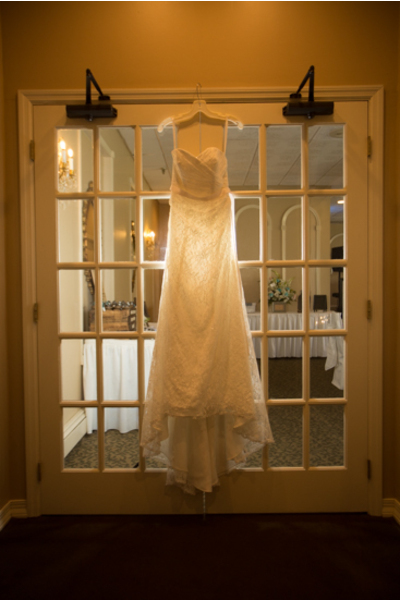 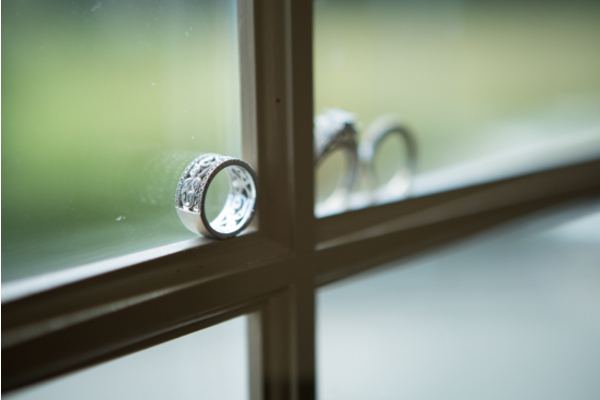 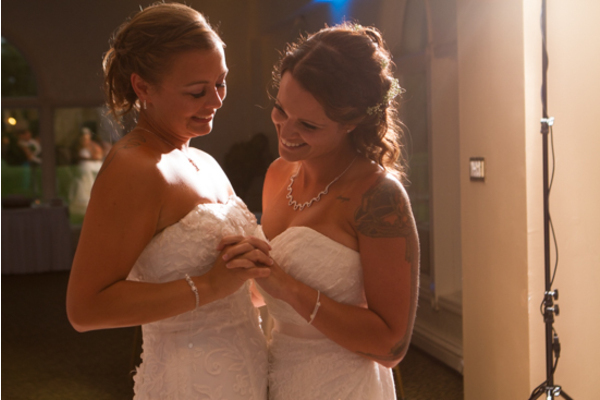 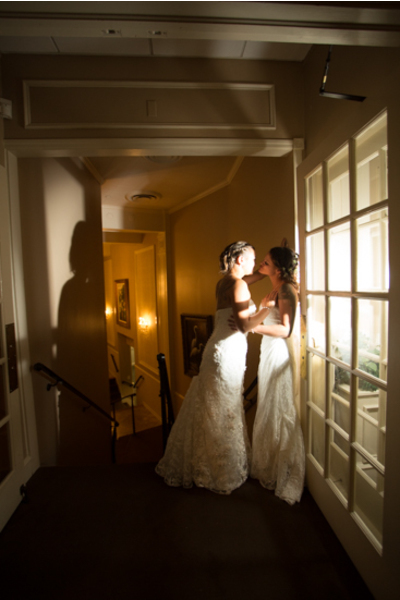 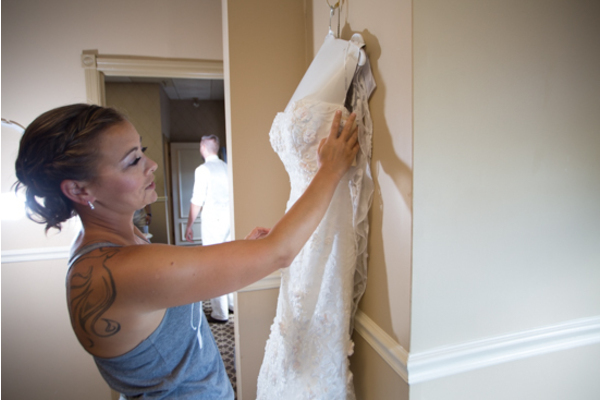 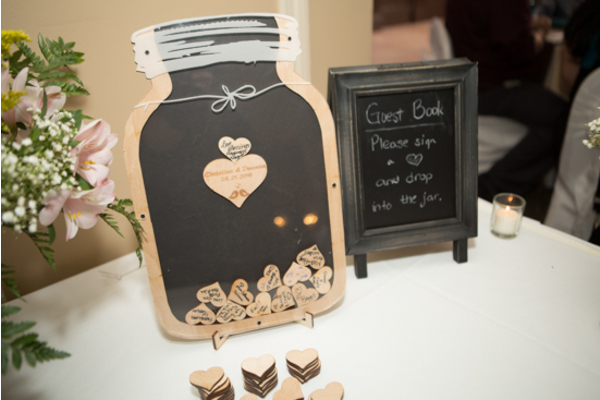 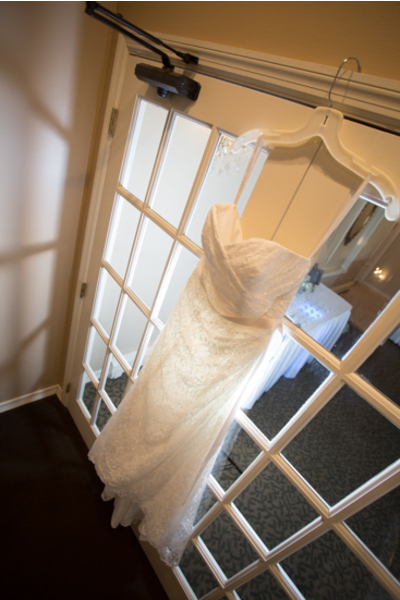 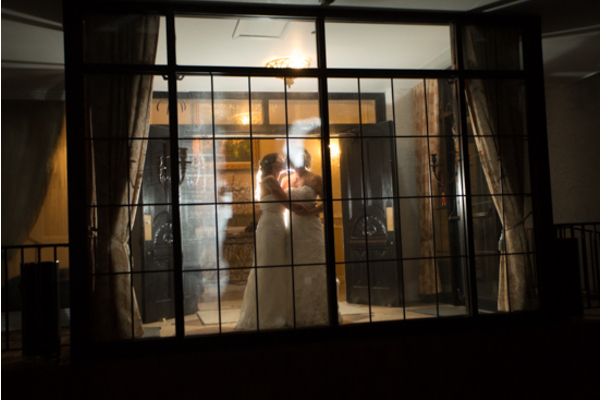 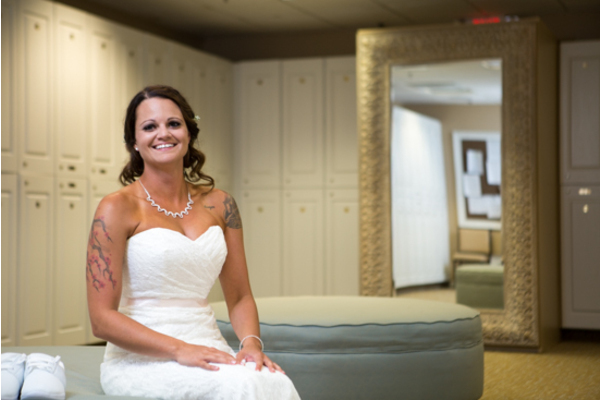 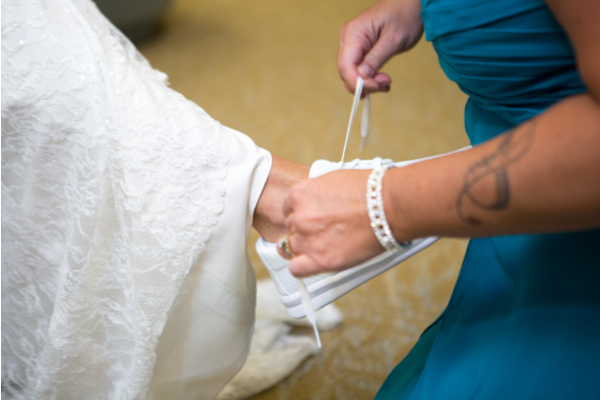 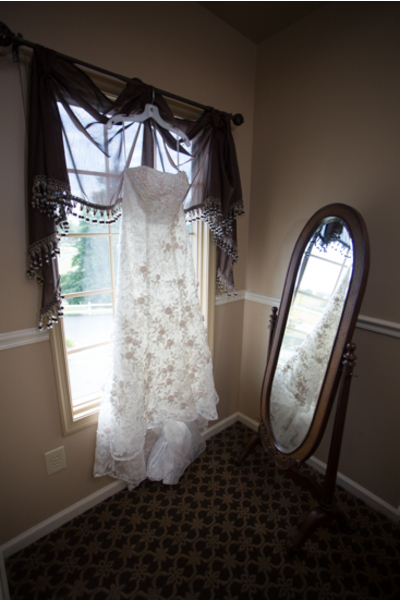 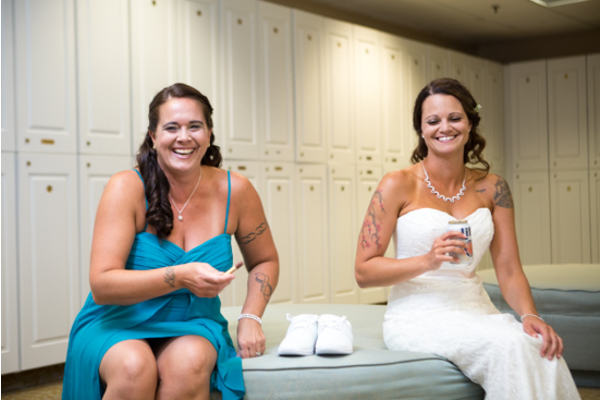 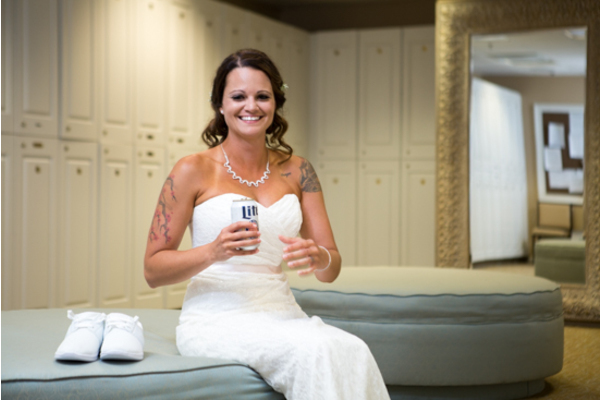 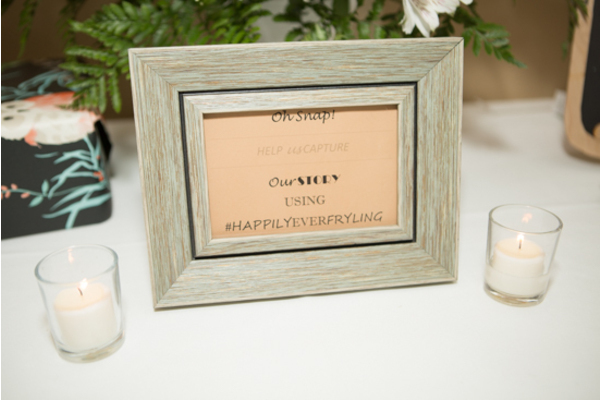 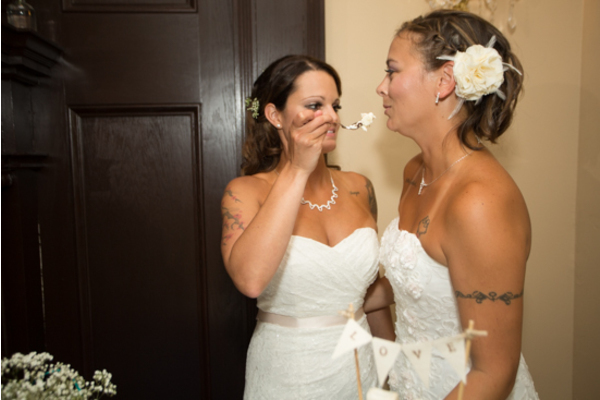 Joy filled the rooms as the two brides were putting finishing touches to anxiously await for the, “I do”. 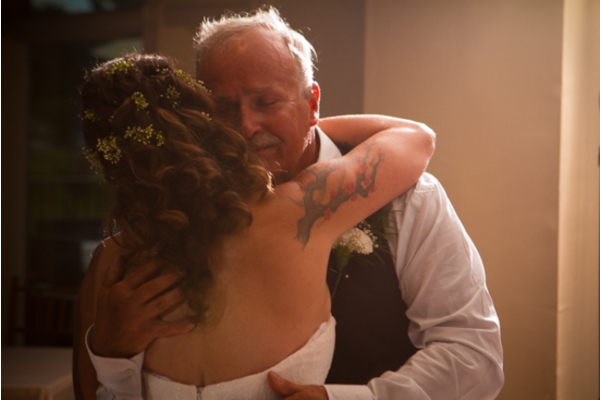 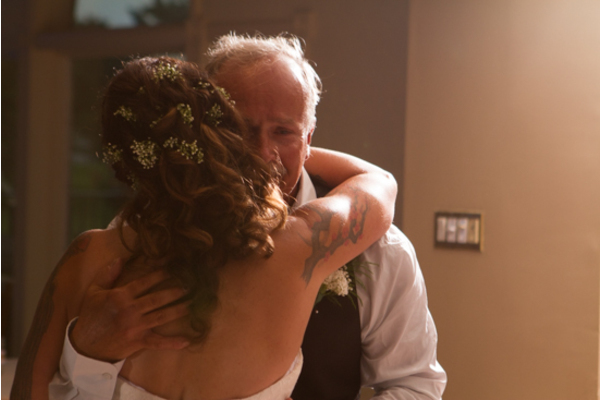 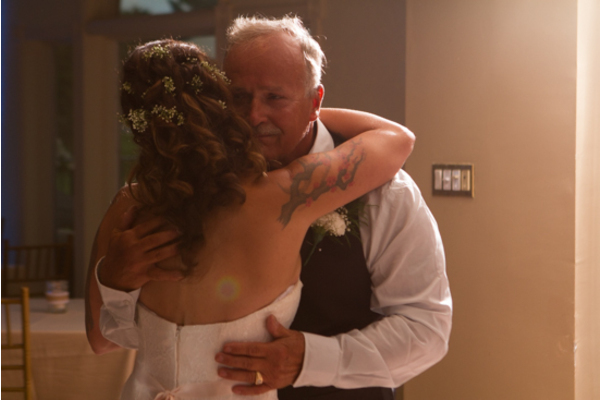 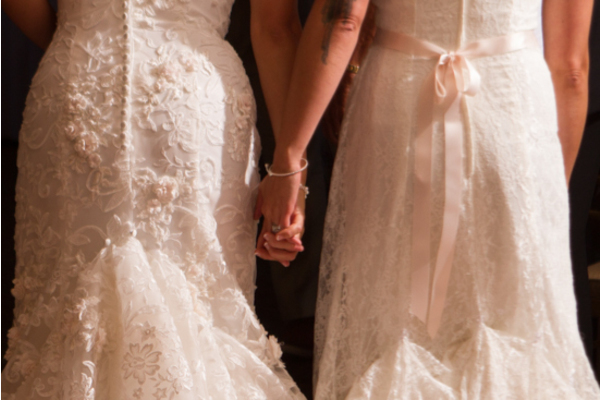 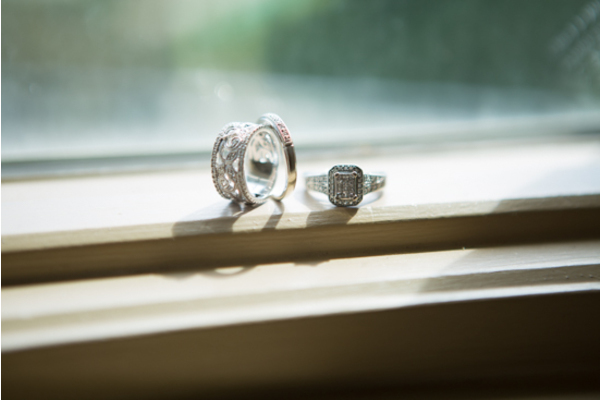 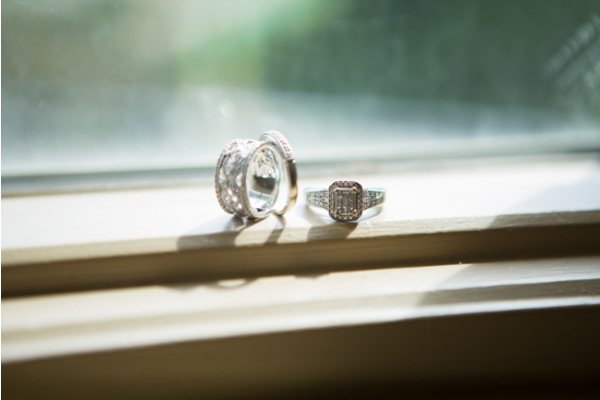 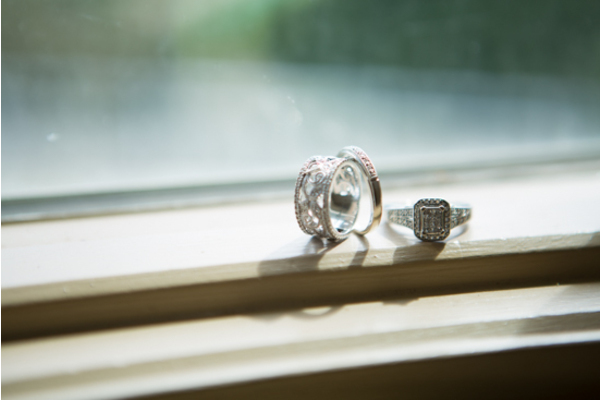 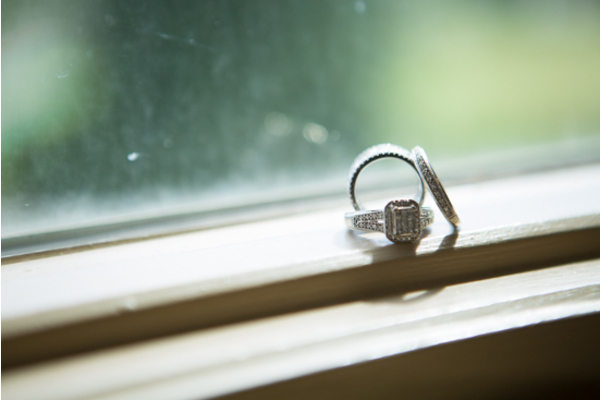 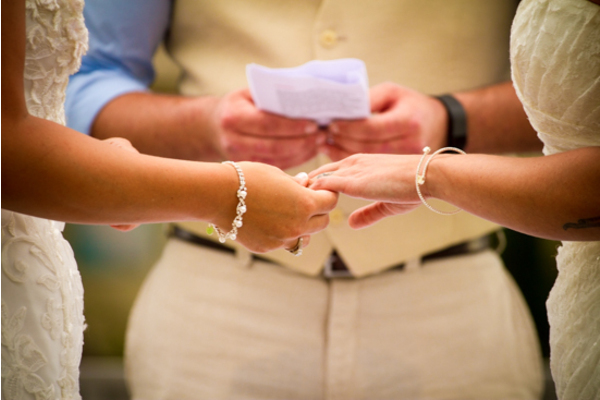 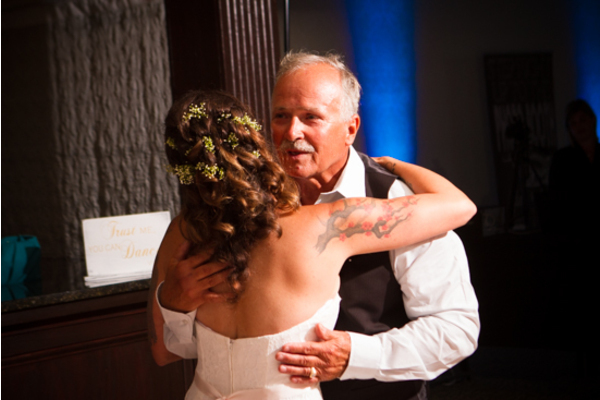 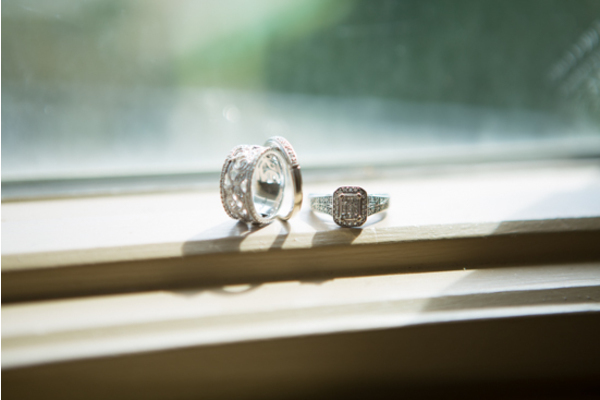 They shared a brief moment when their hands locked together, but would shortly be reunited at the ceremony. 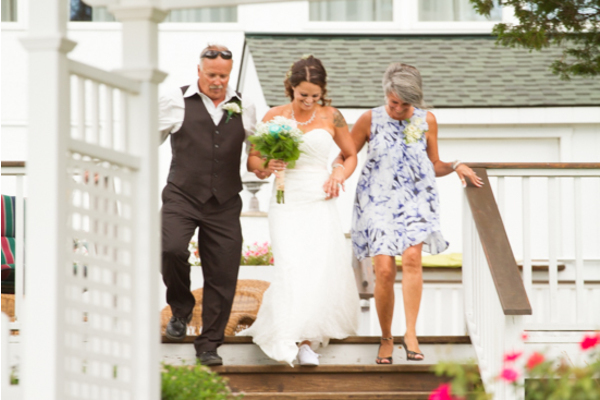 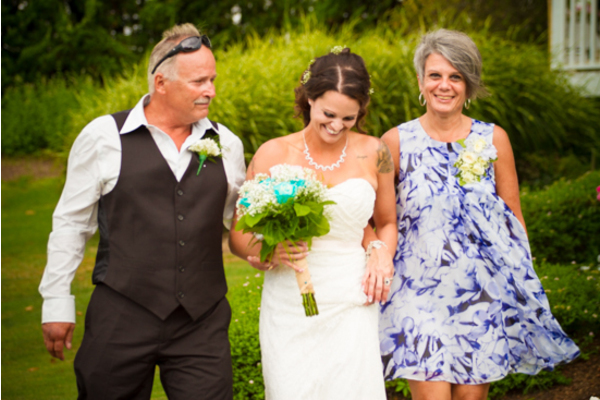 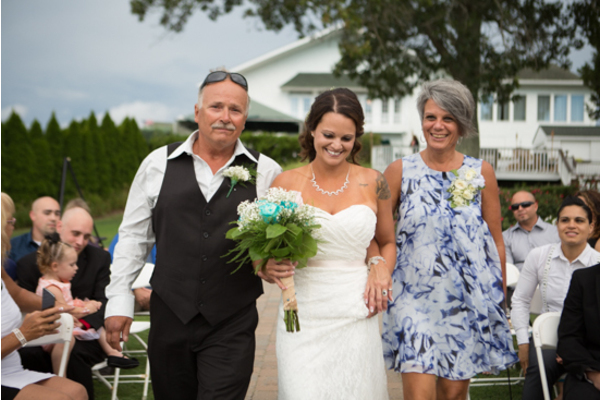 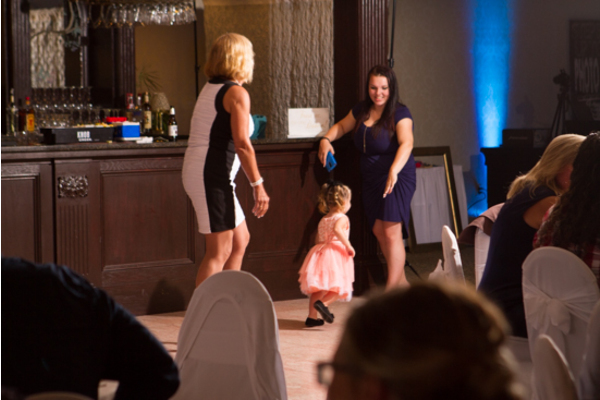 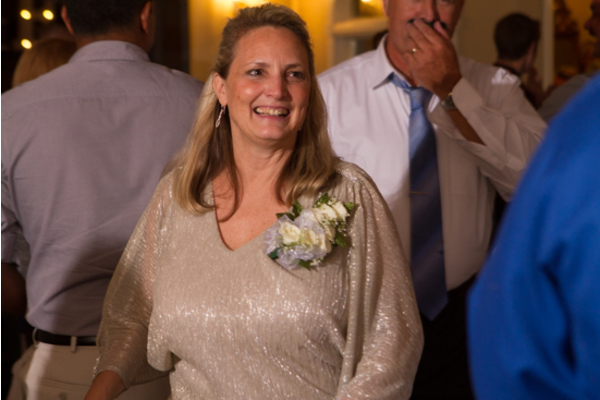 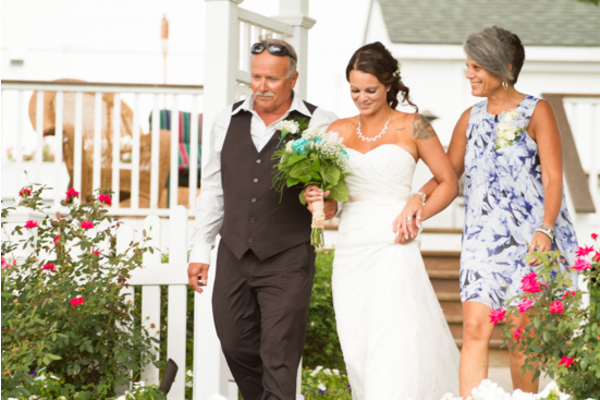 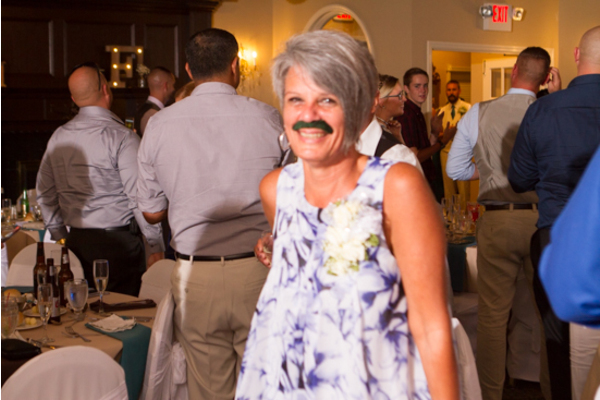 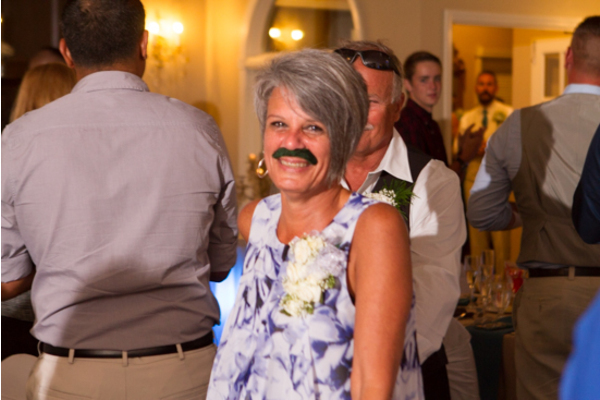 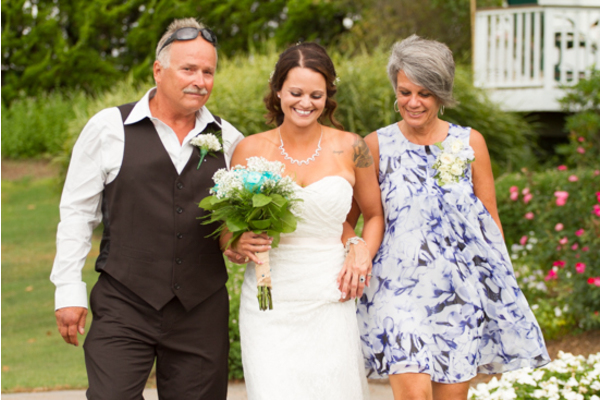 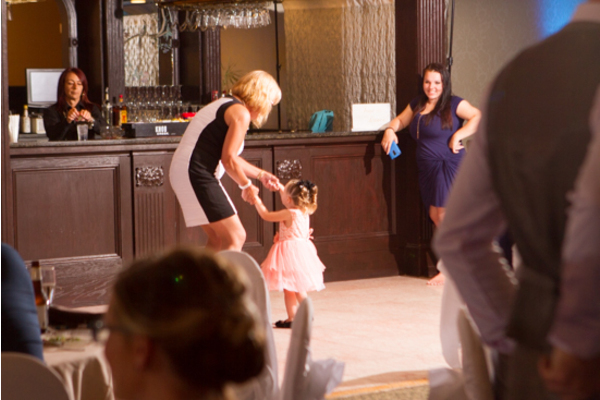 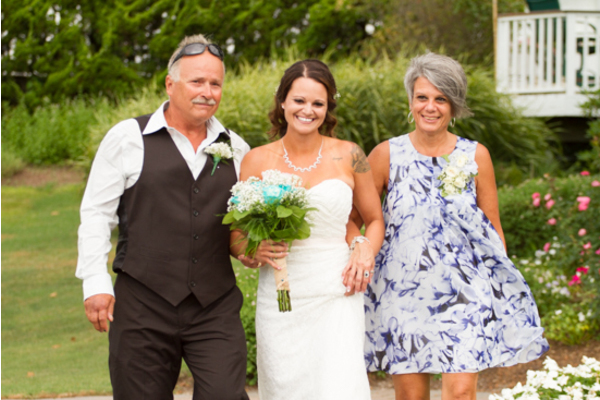 Accompanied by her parents, Deanna made her way down the aisle, happily awaiting for Tina to arrive. 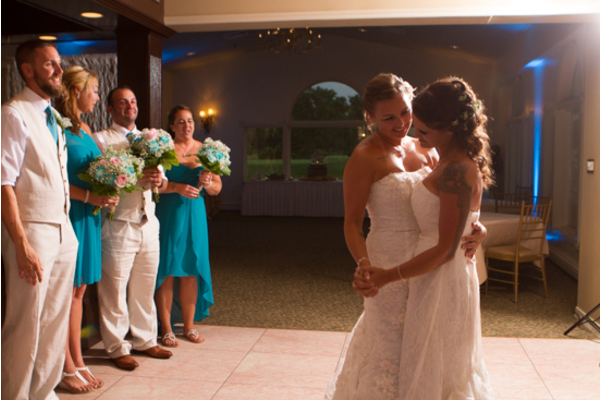 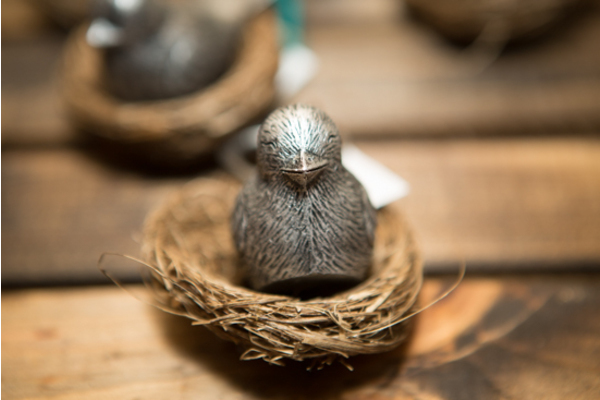 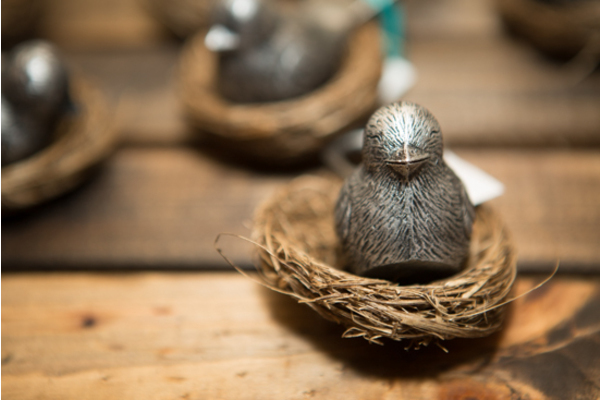 In an instant, Tina made her way, and both gazed at one another that brought beautiful smiles. 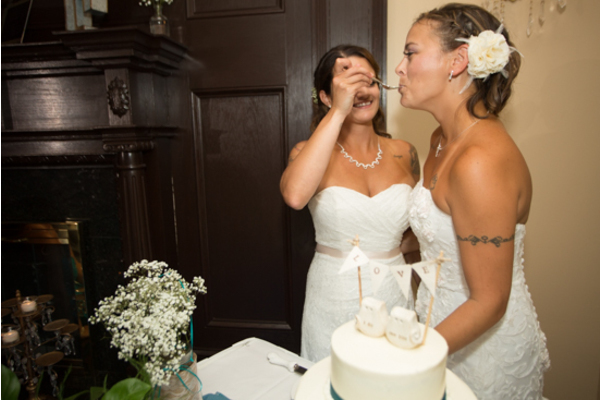 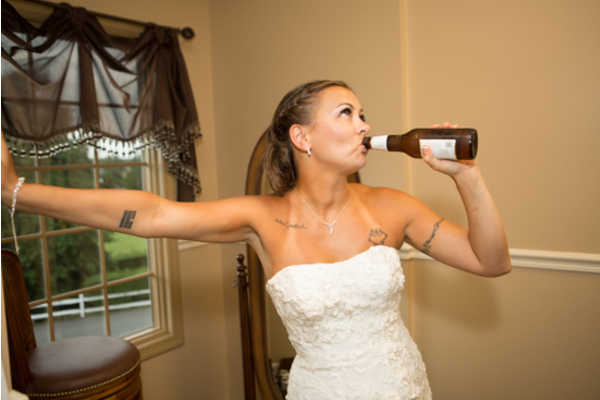 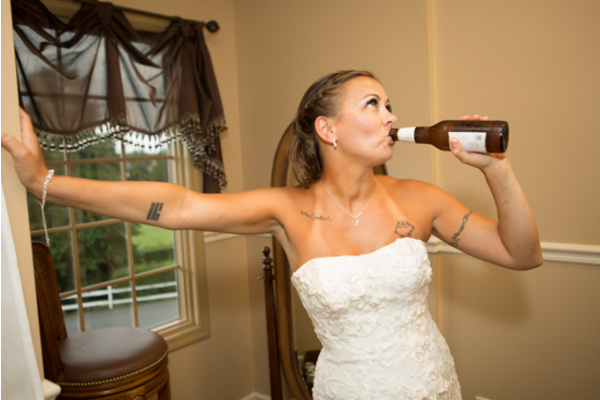 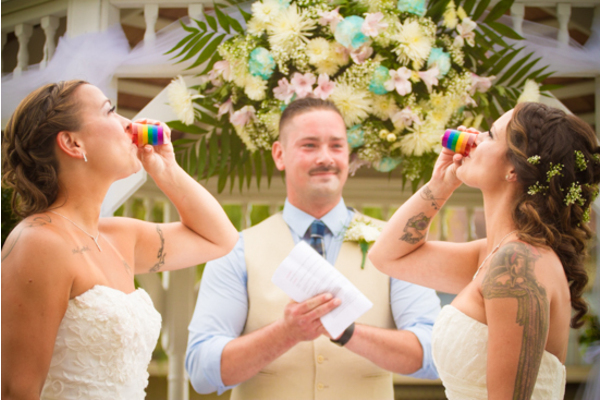 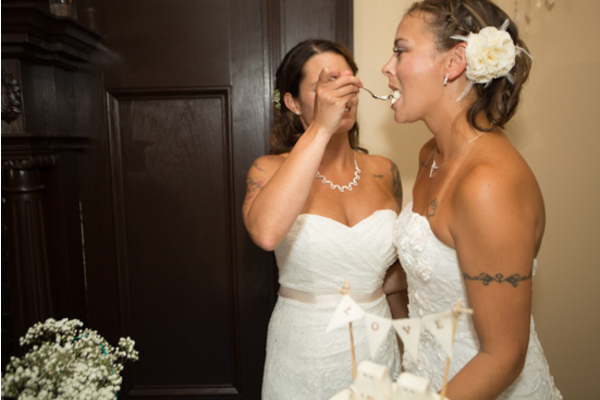 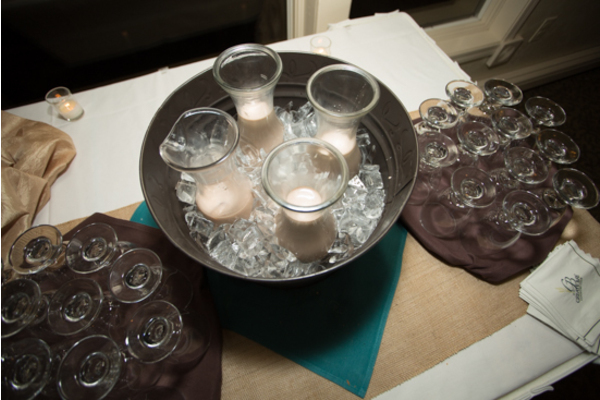 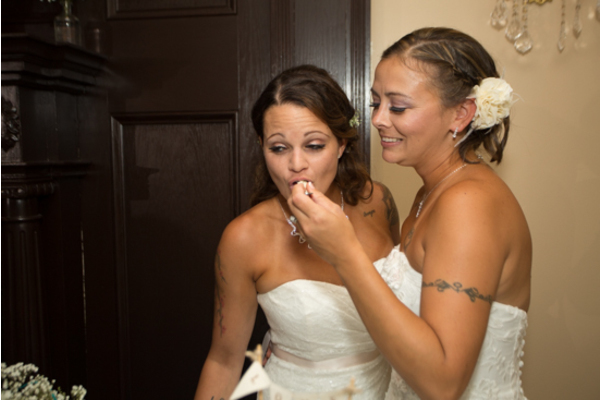 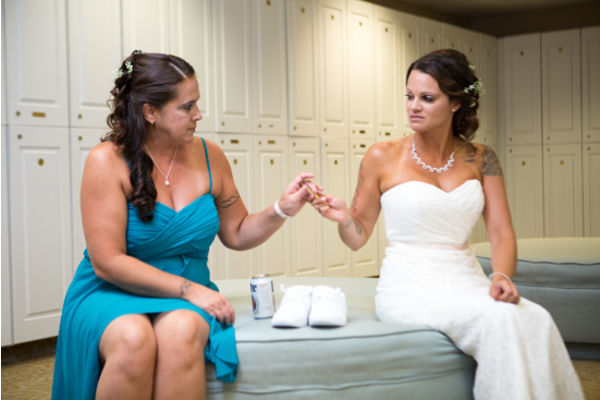 The brides put a ring on each other and drank before they were pronounced wives. 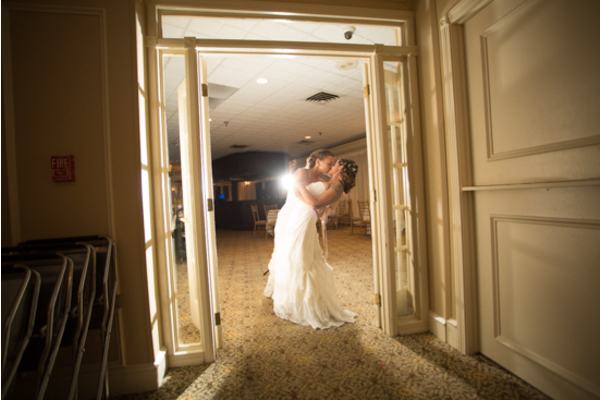 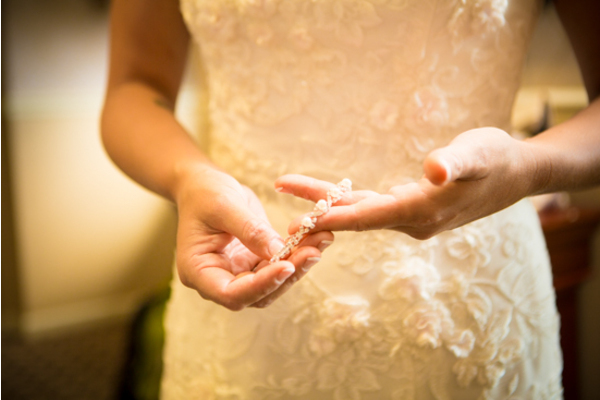 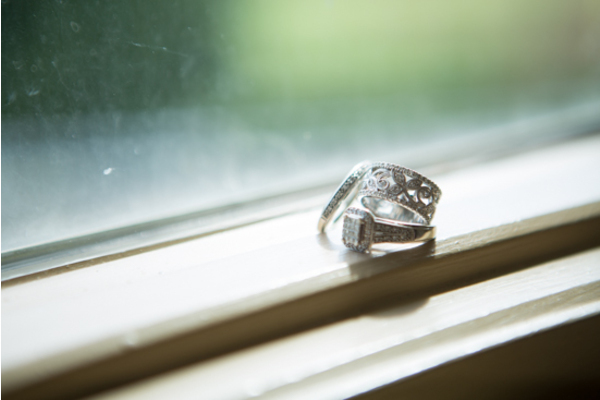 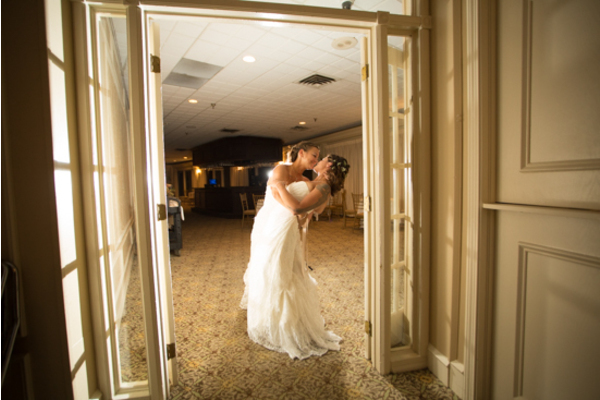 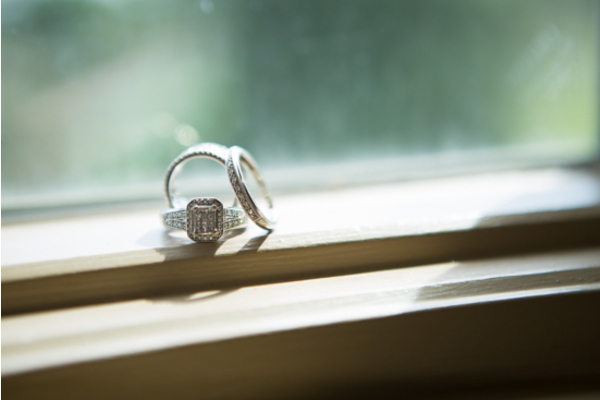 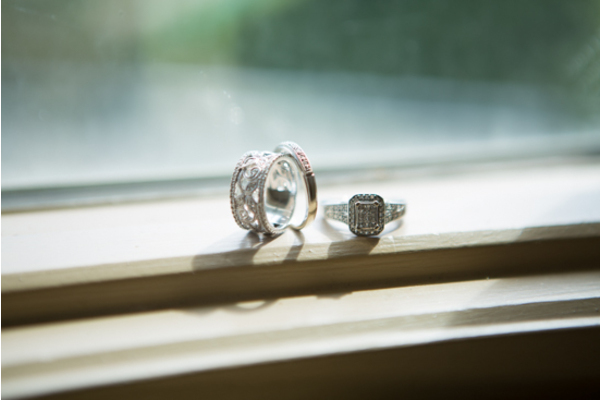 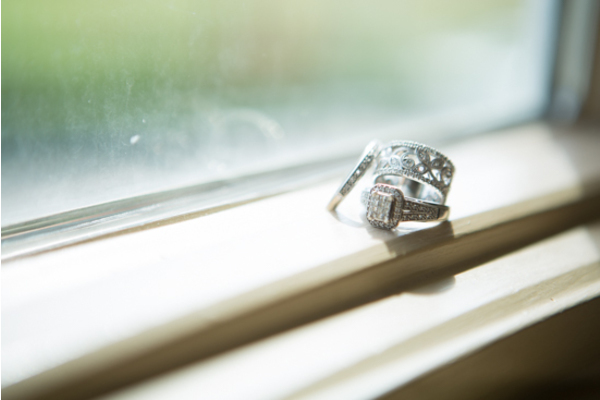 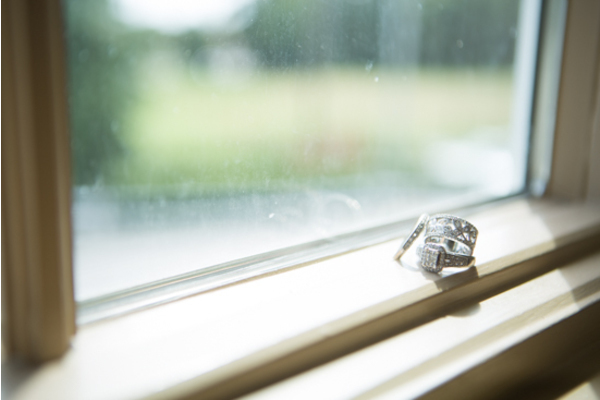 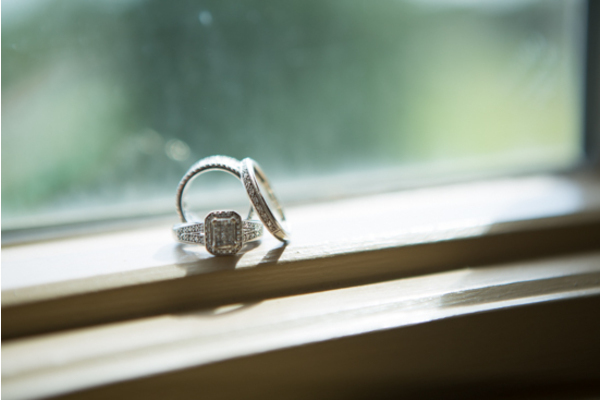 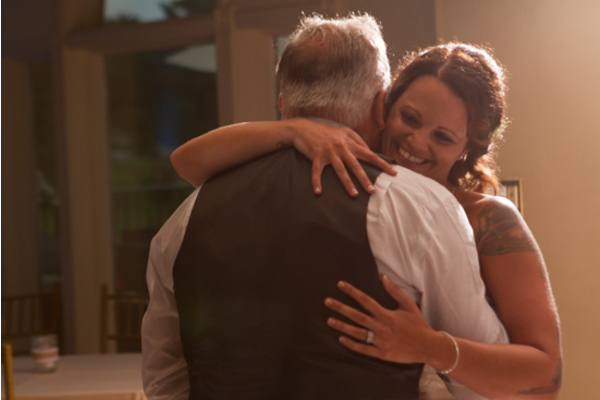 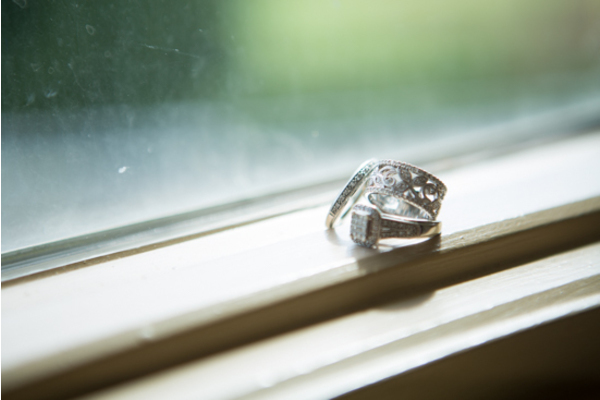 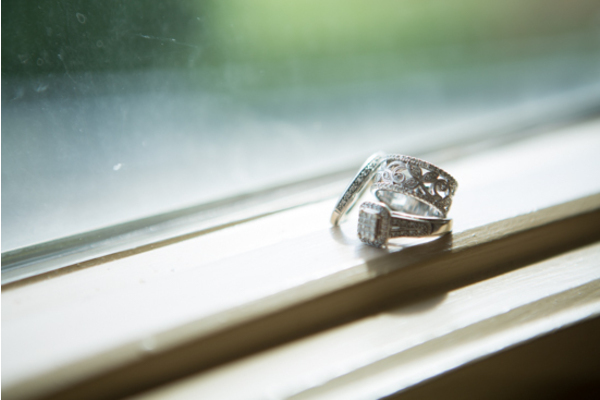 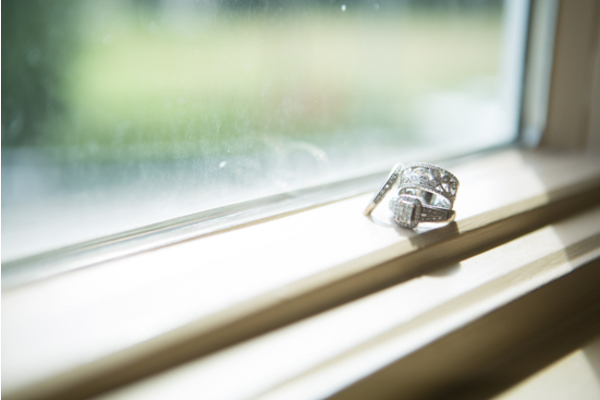 As their hands locked with their eyes on each other, our NJ Wedding Photographer captured the flawless kiss that shined even brighter on their day. 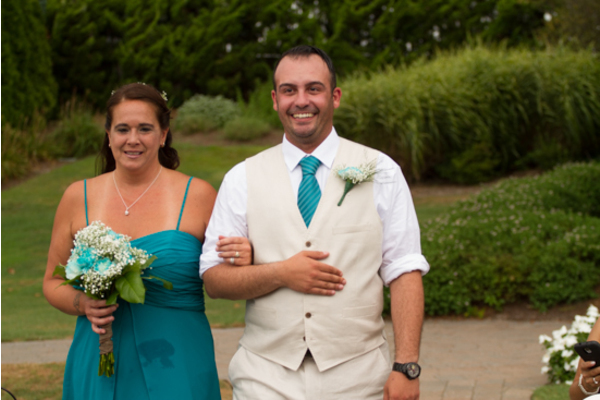 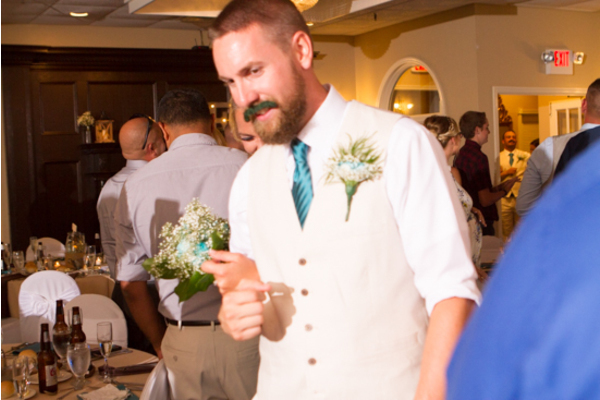 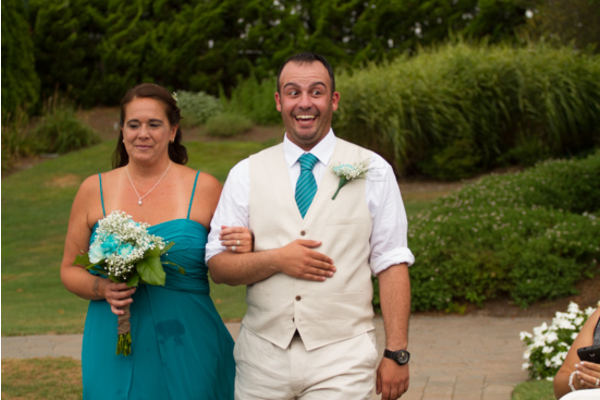 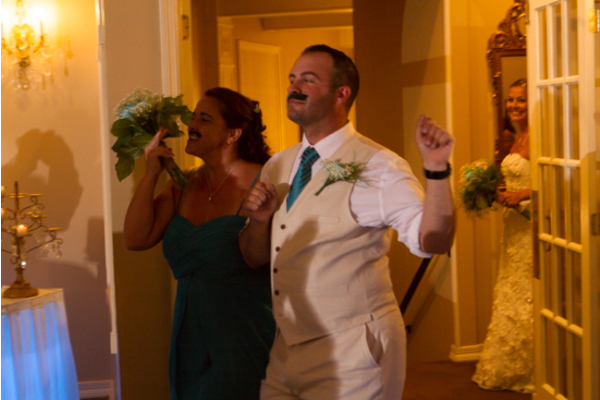 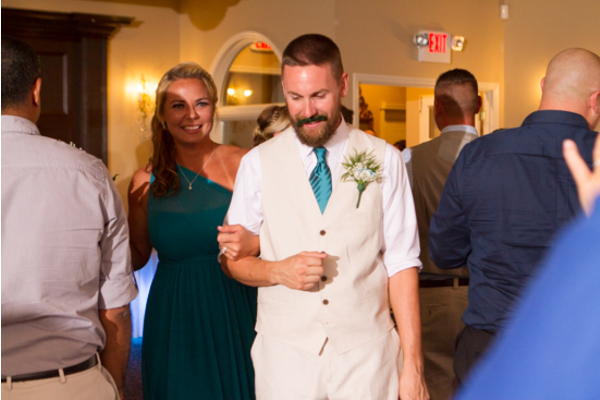 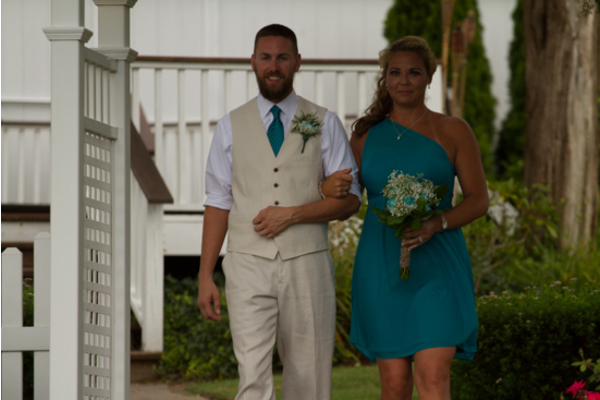 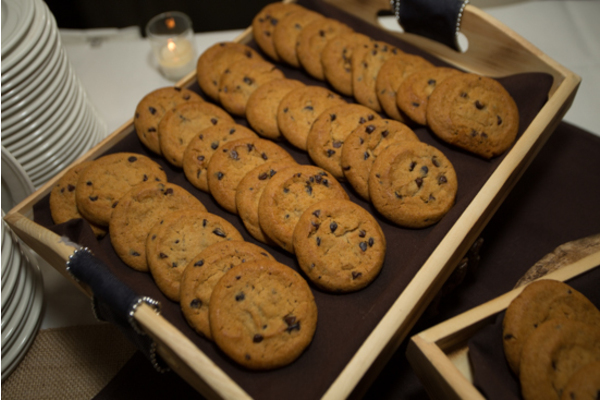 The newlyweds then walked in hand-in-hand as they got to their reception. 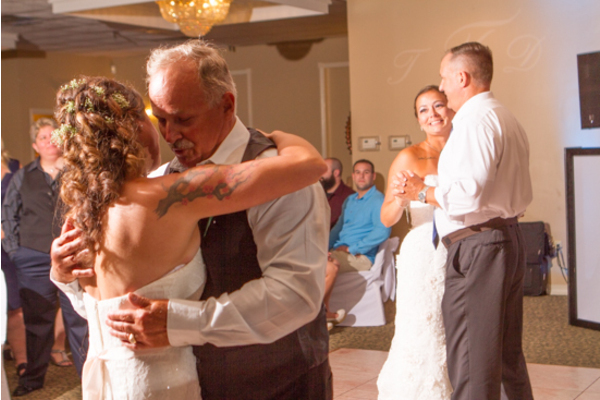 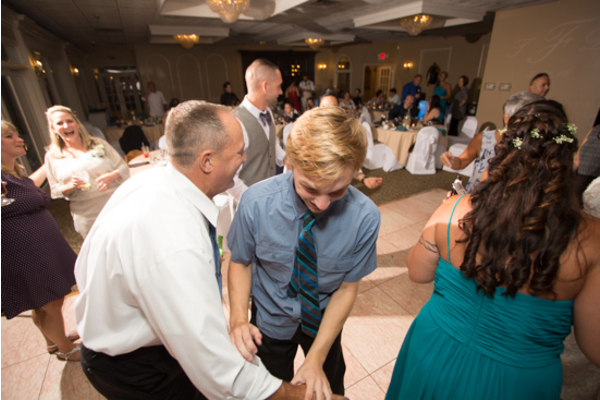 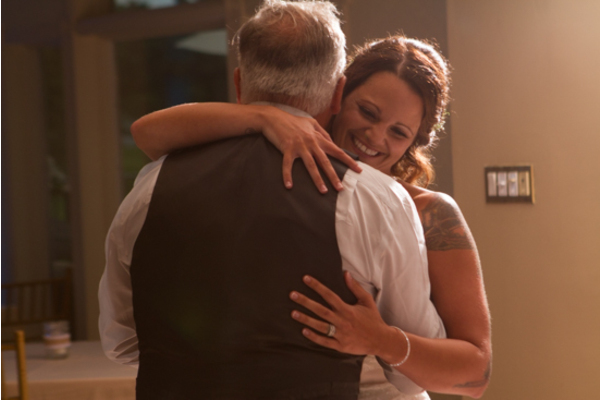 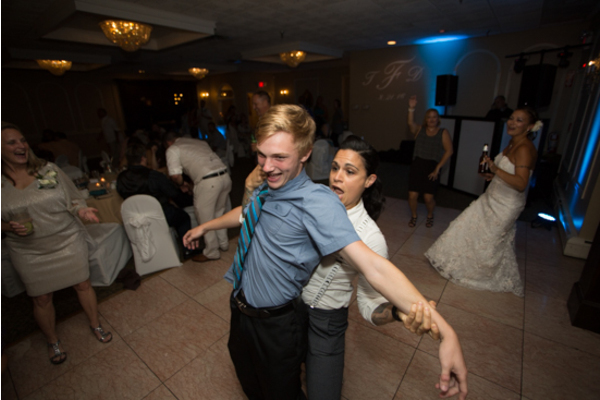 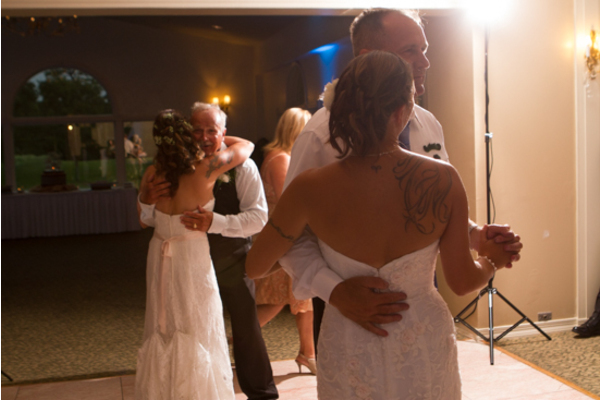 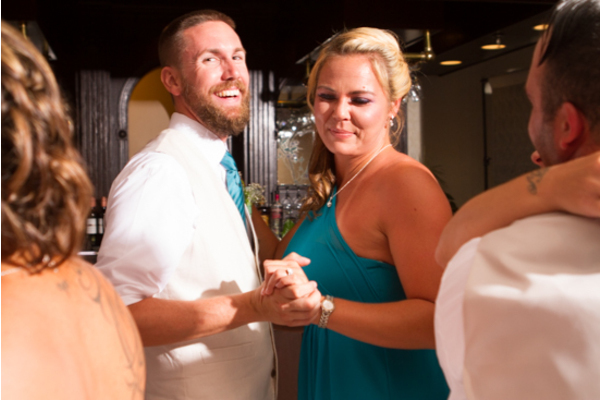 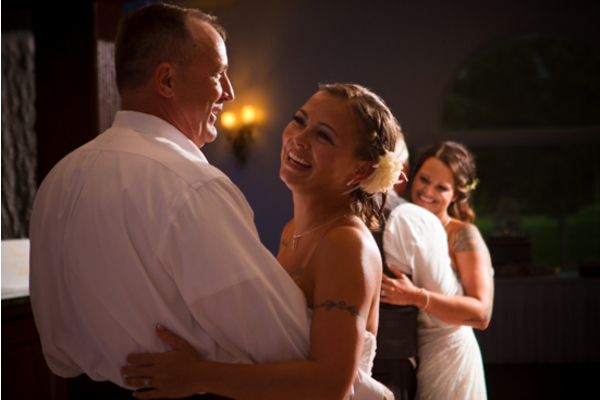 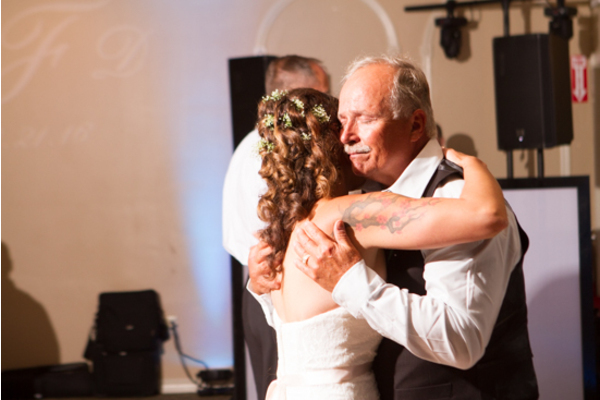 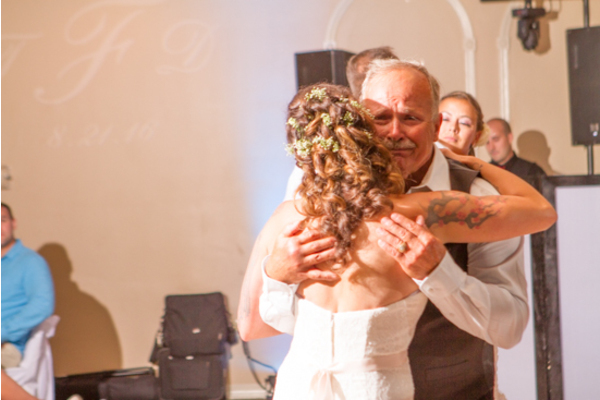 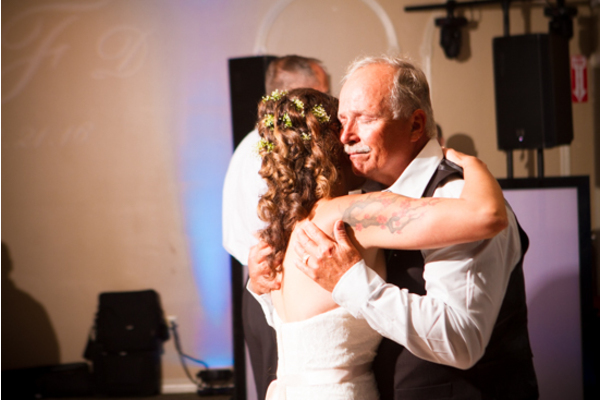 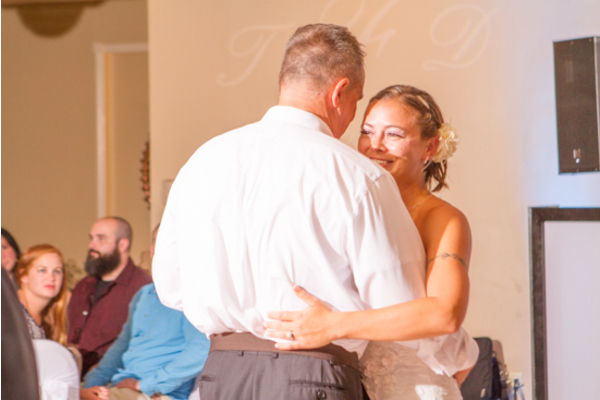 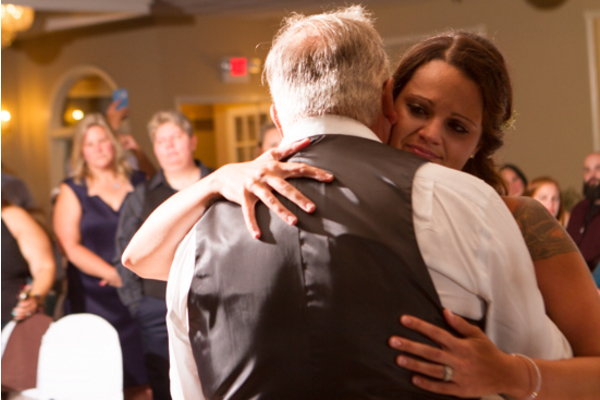 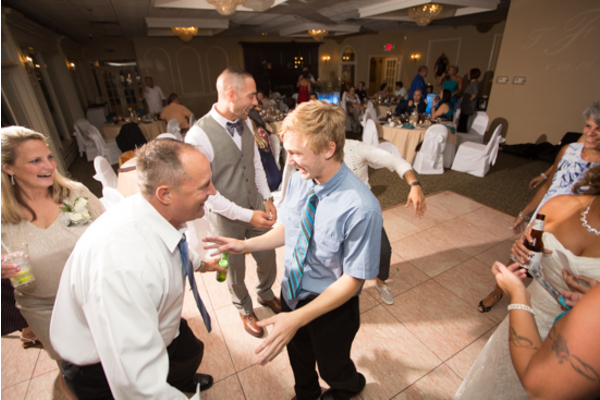 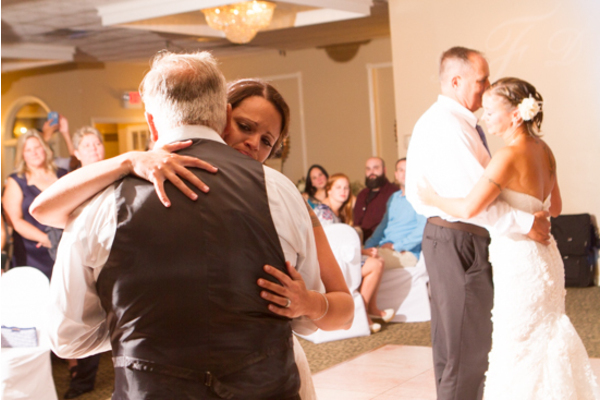 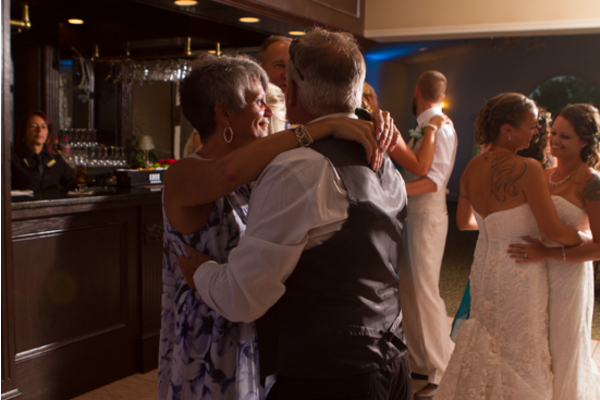 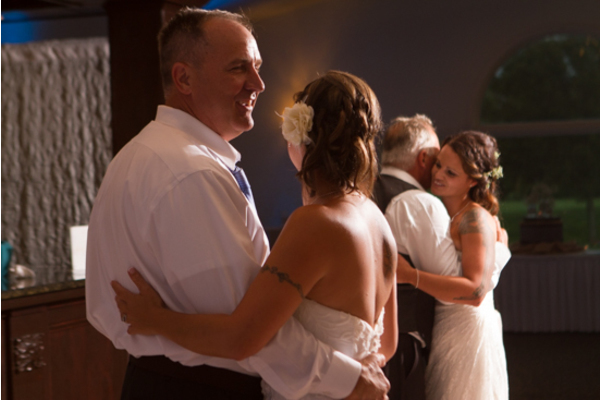 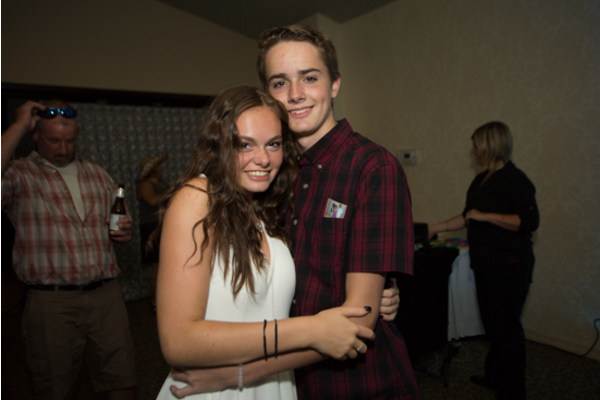 With the surrounding of their friends and family, they had their first dance that had them in smiles with love for one another. 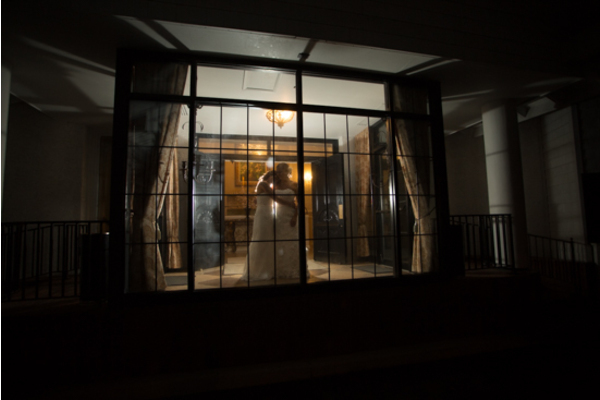 The two lovebirds danced the night away with all their loved ones and the elegant night ended with a kiss that’ll forever keep these two together. 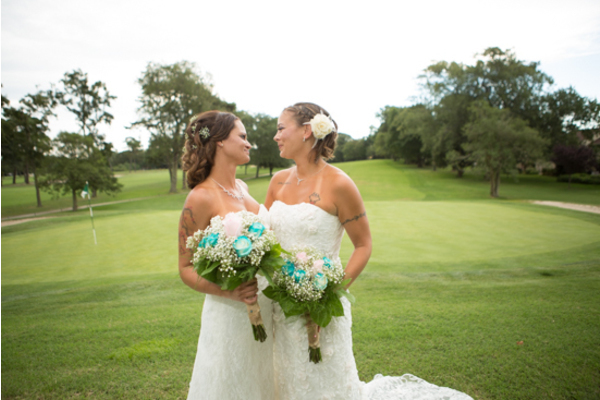 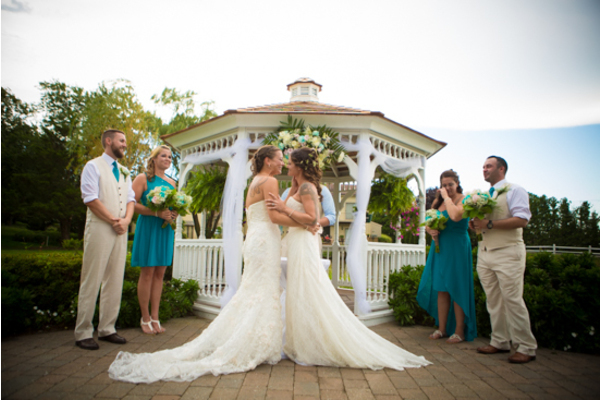 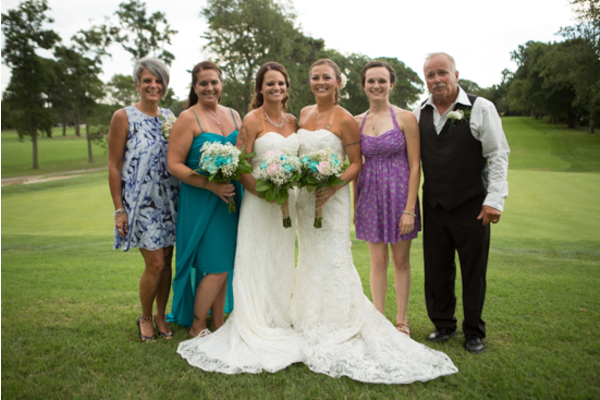 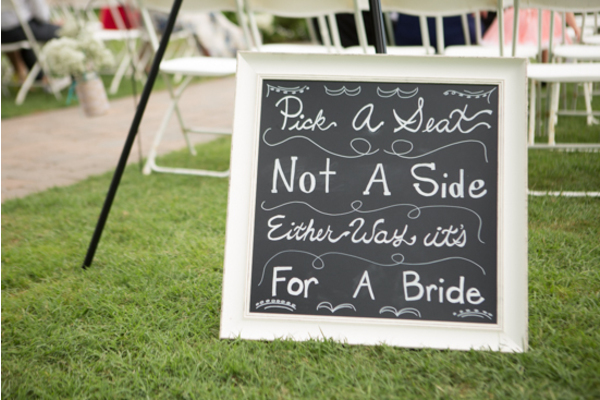 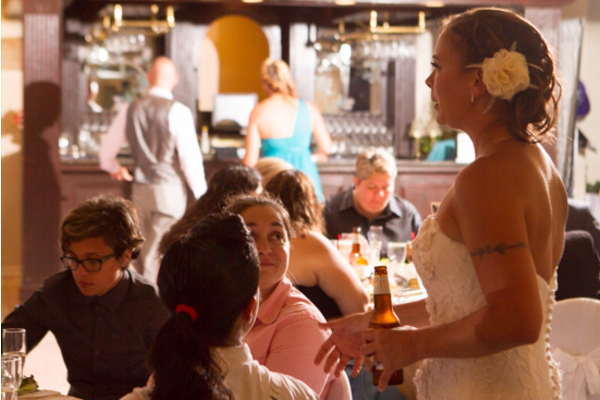 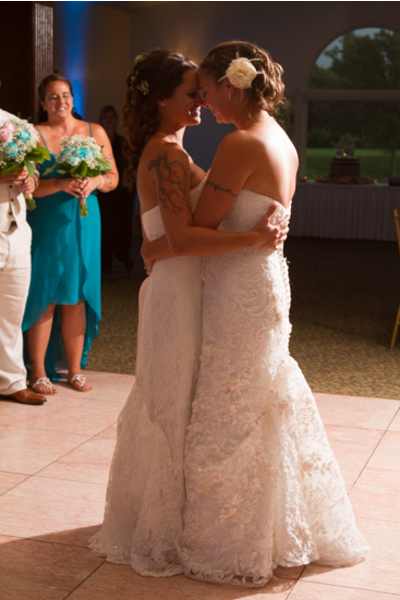 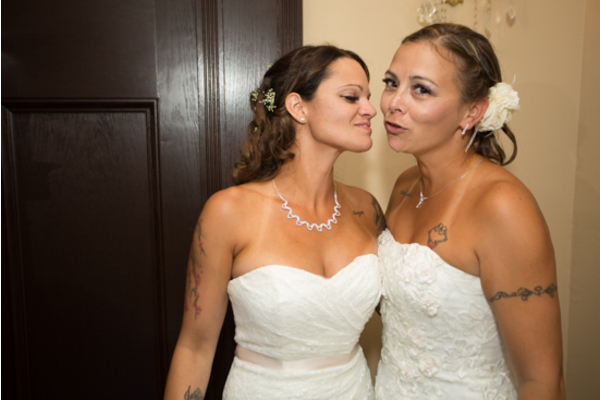 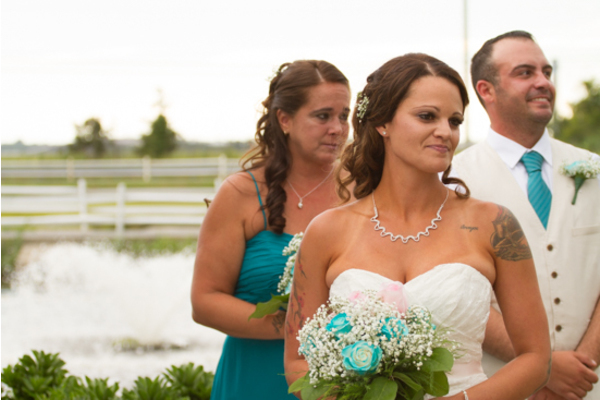 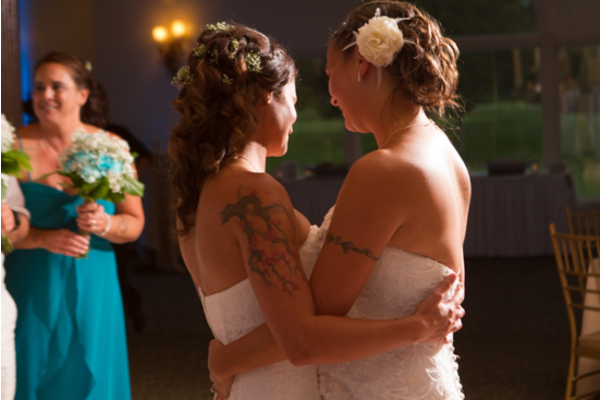 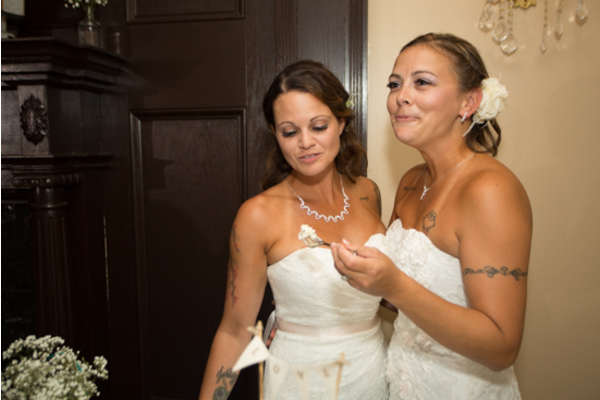 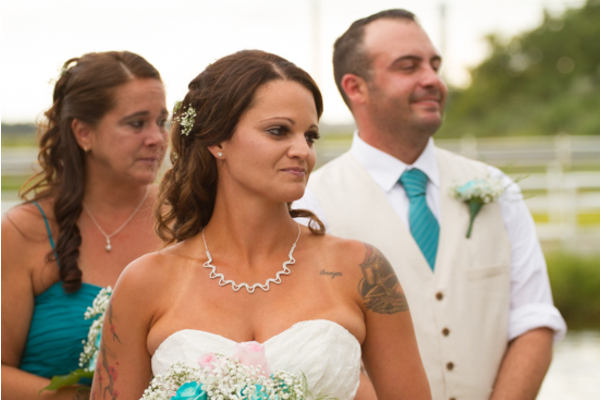 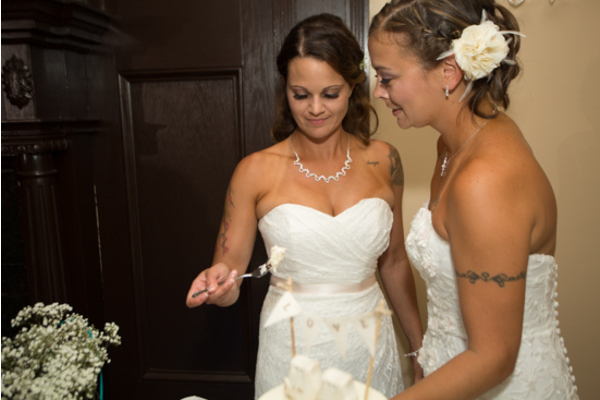 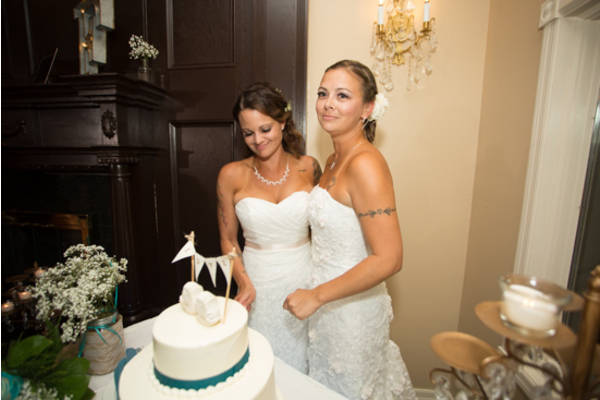 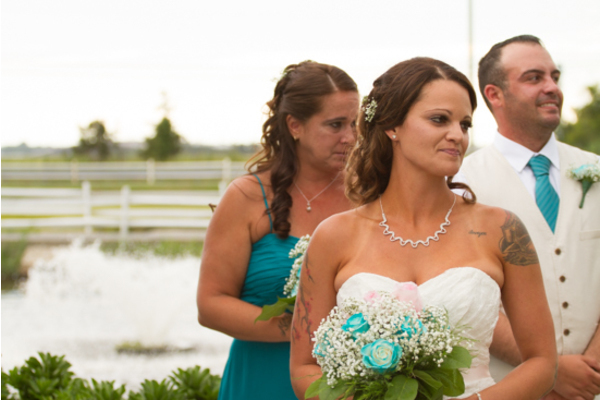 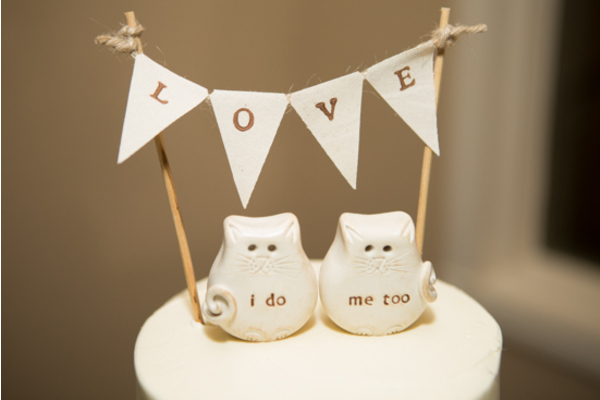 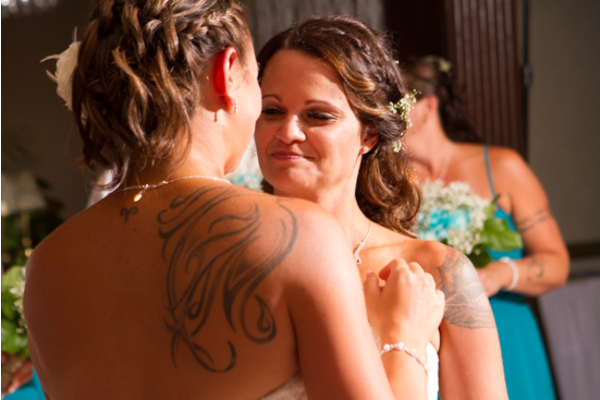 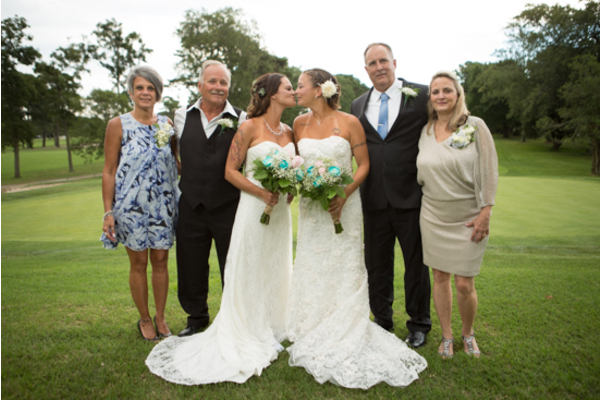 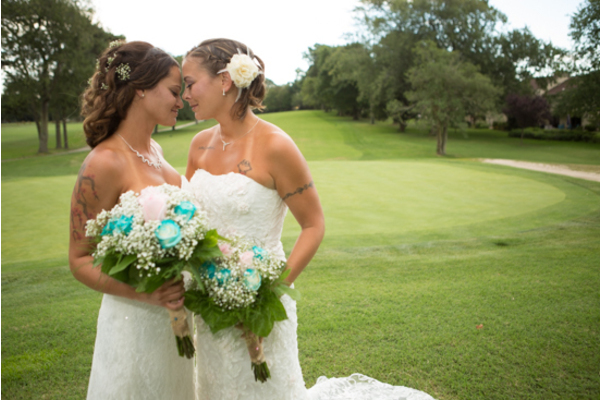 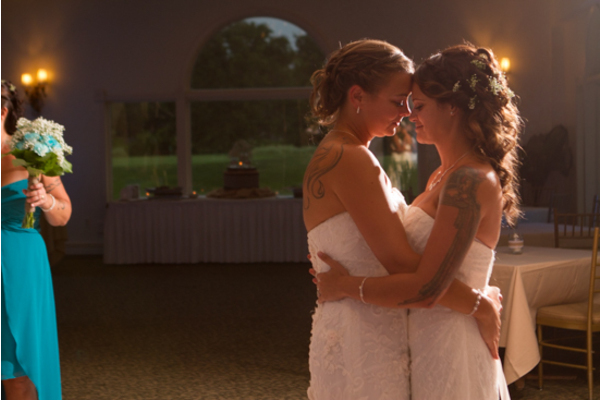 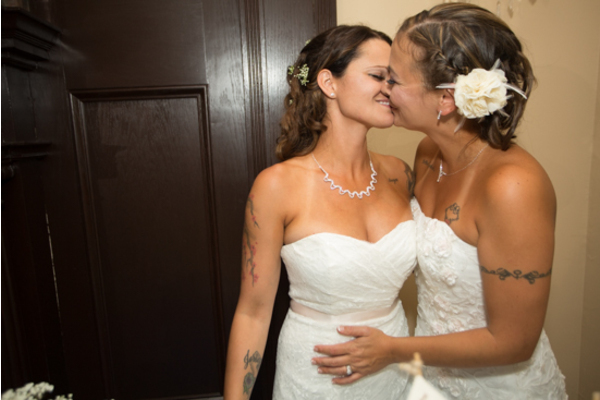 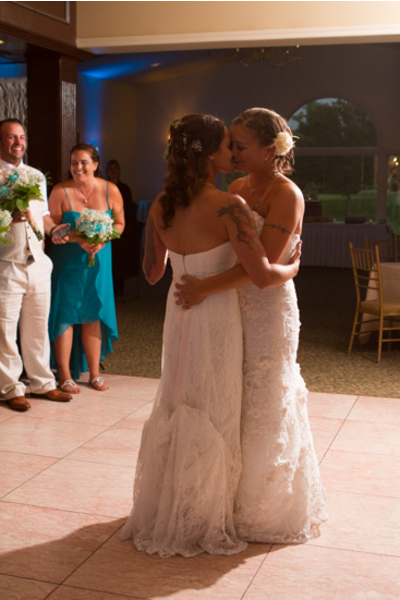 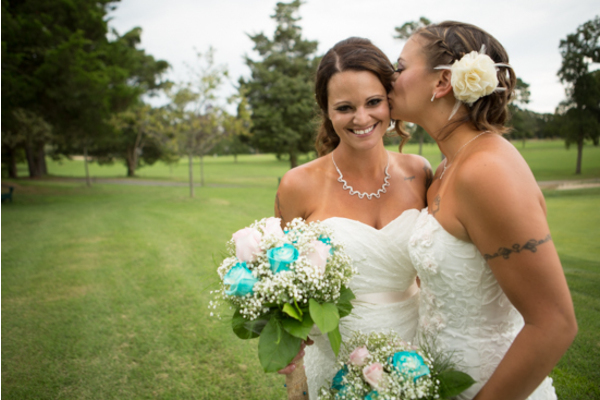 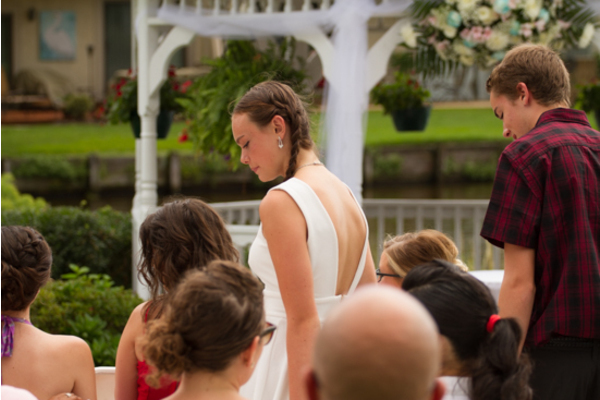 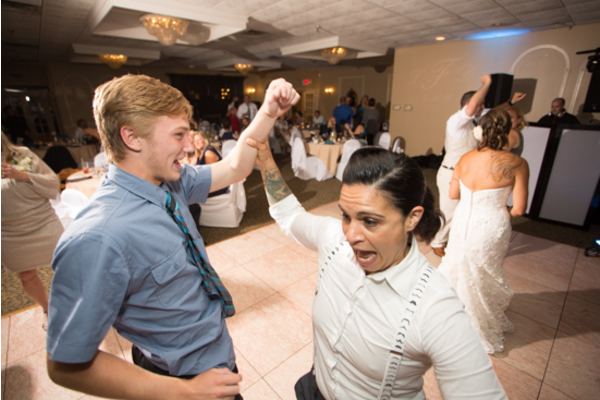 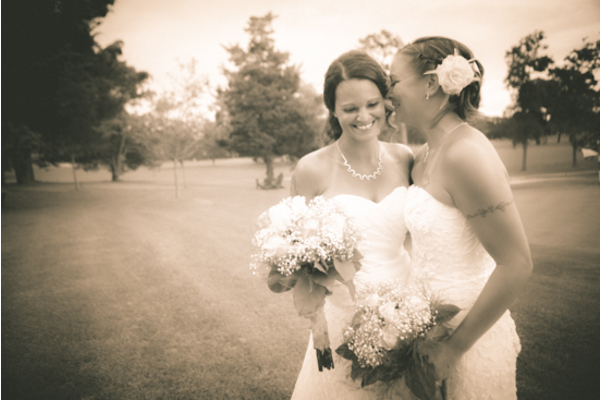 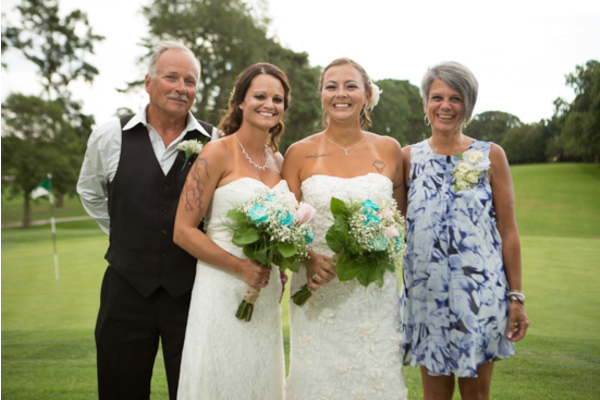 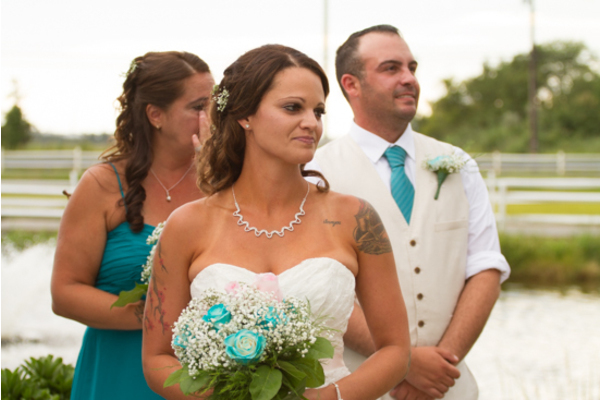 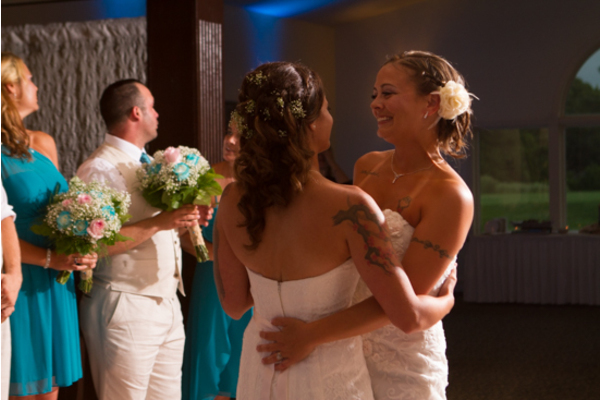 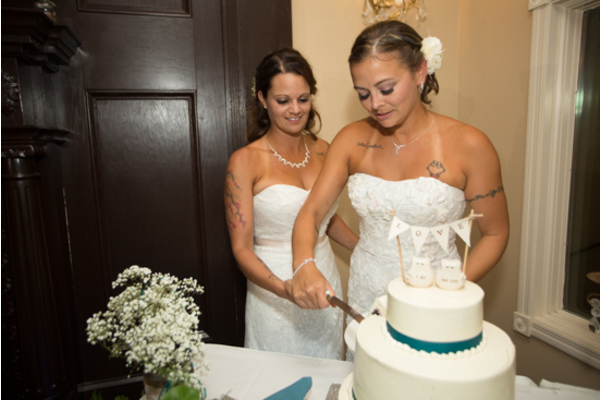 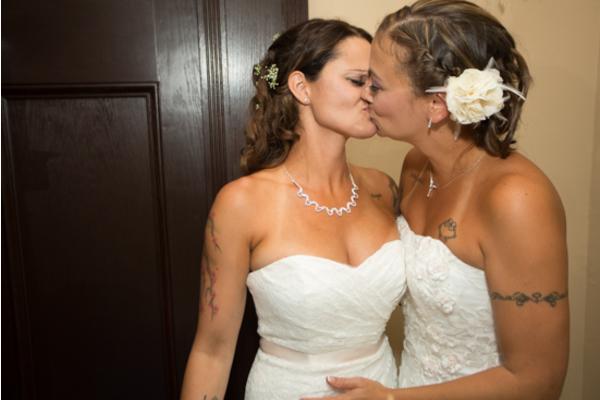 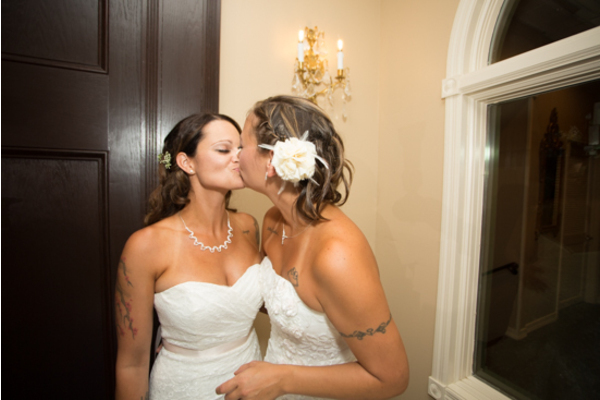 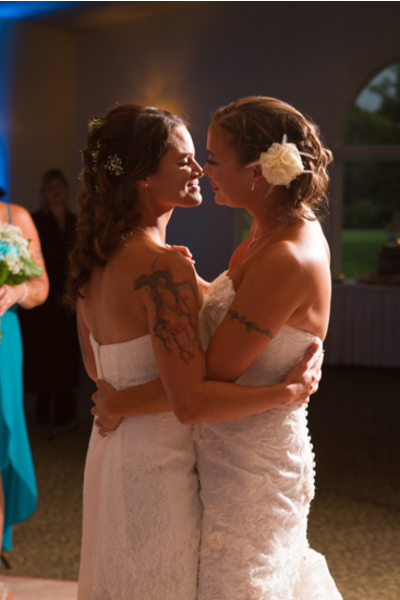 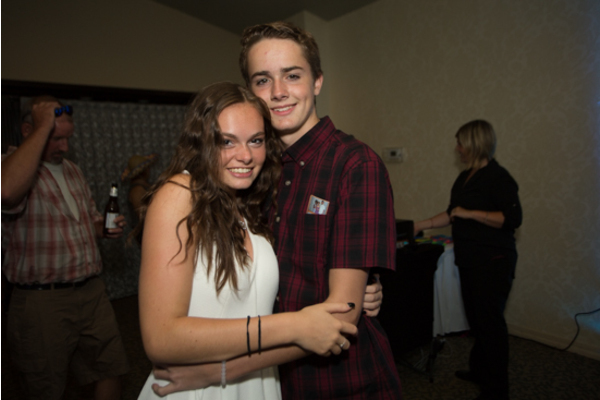 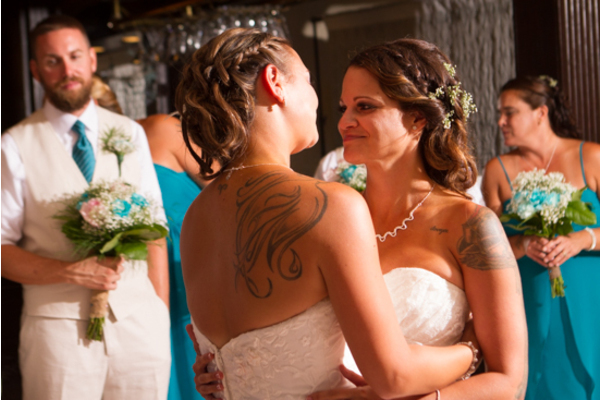 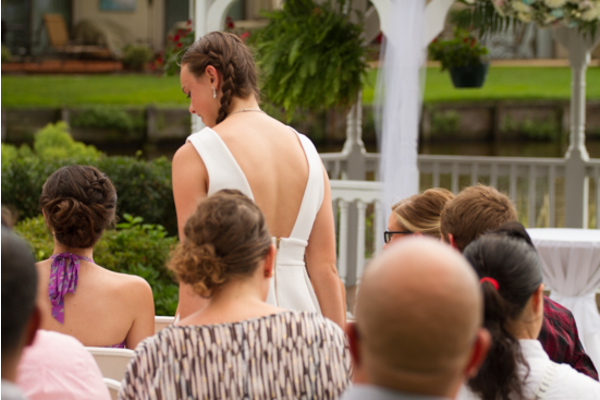 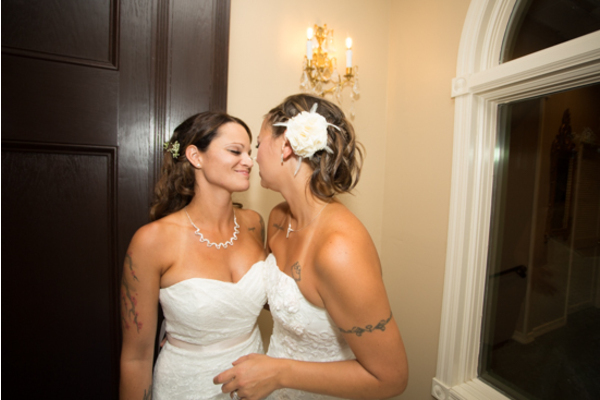 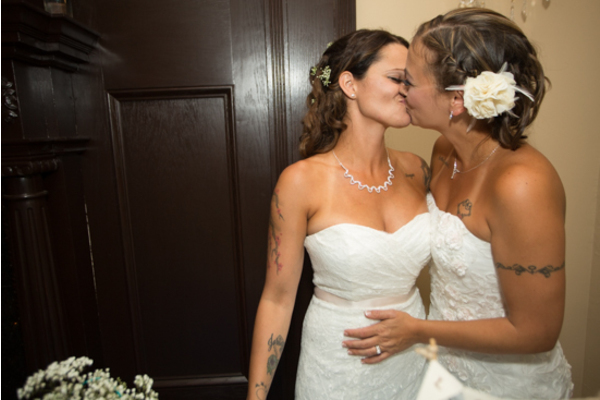 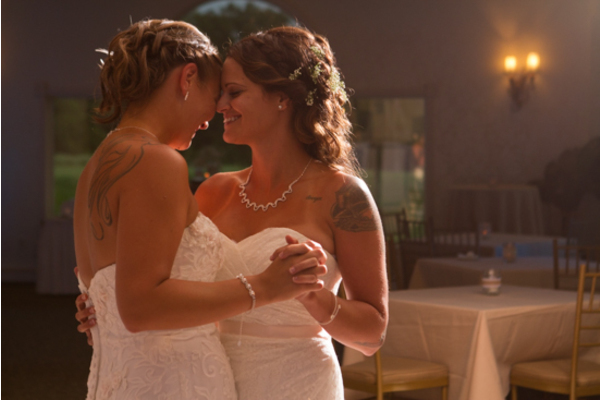 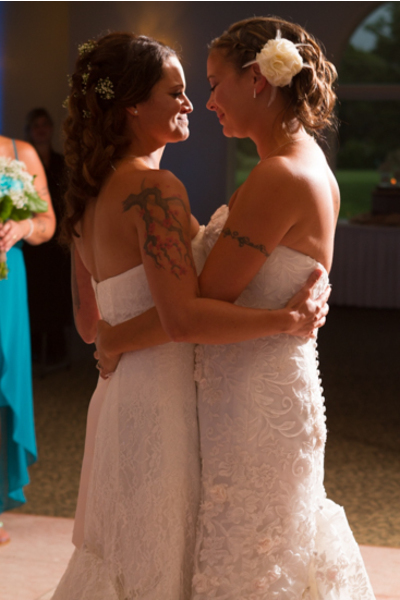 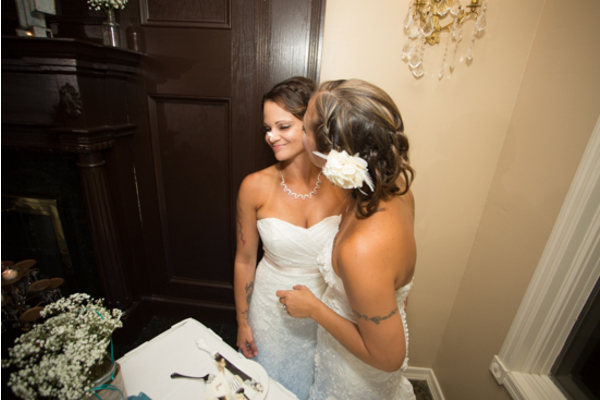 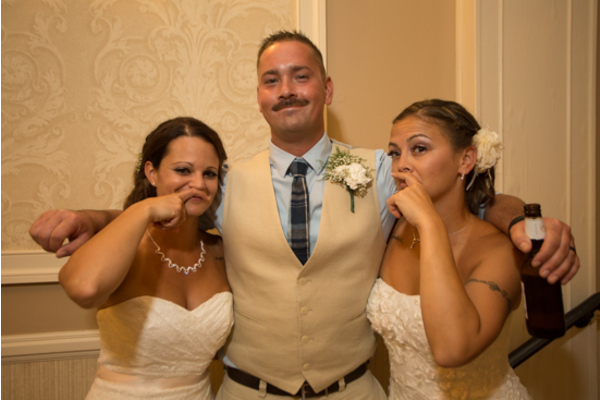 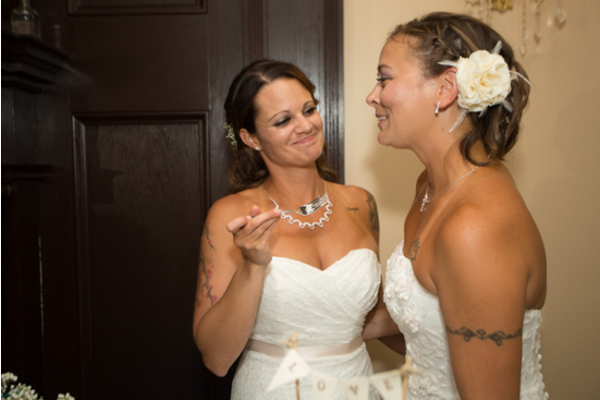 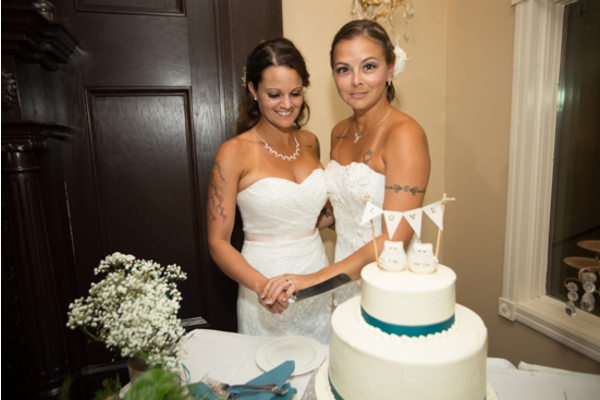 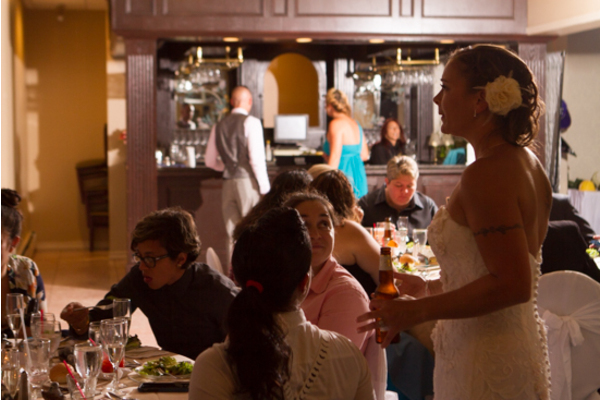 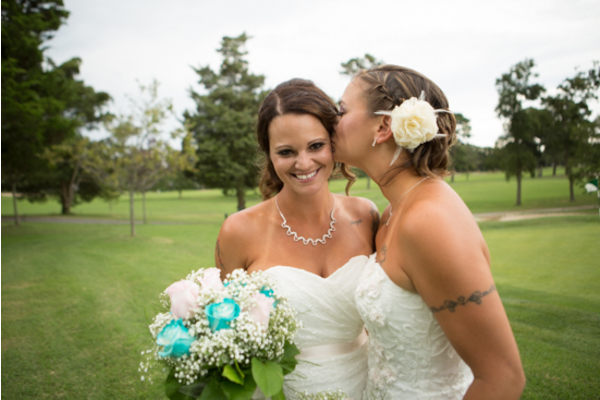 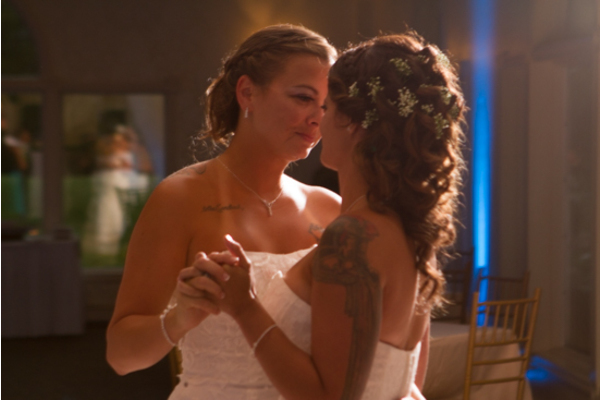 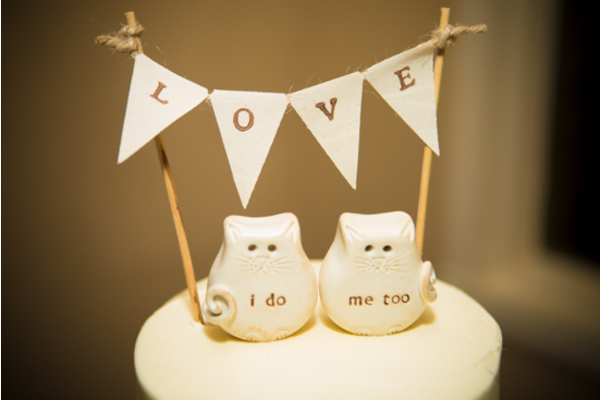 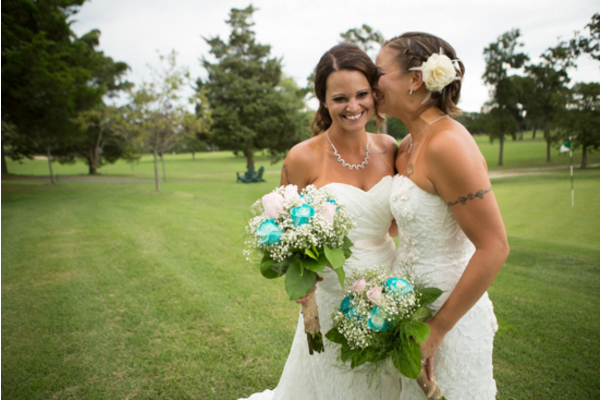 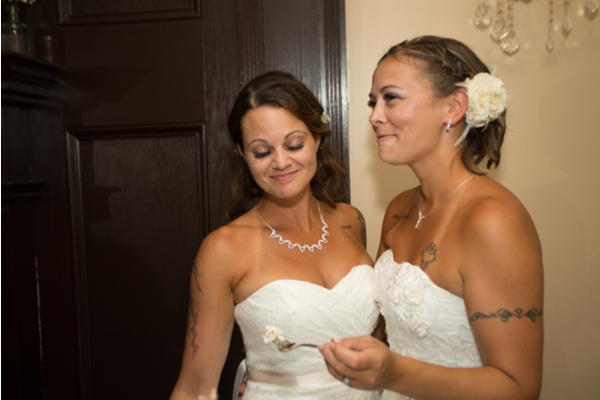 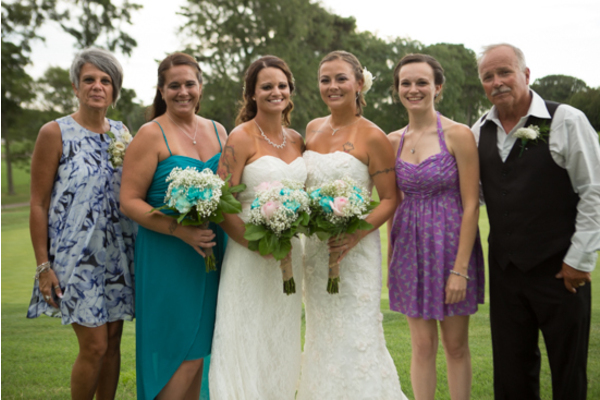 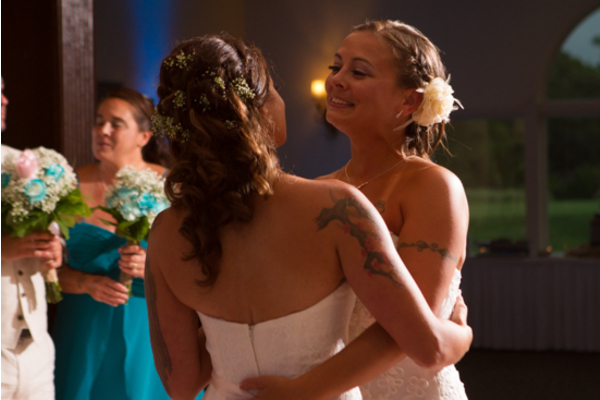 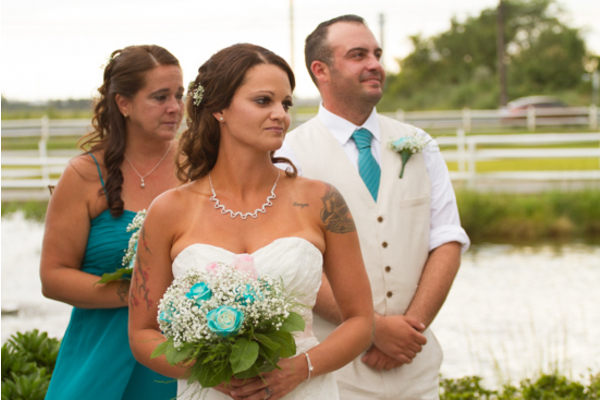 Congratulations, again, Deanna and Tina on your wedding ceremony! 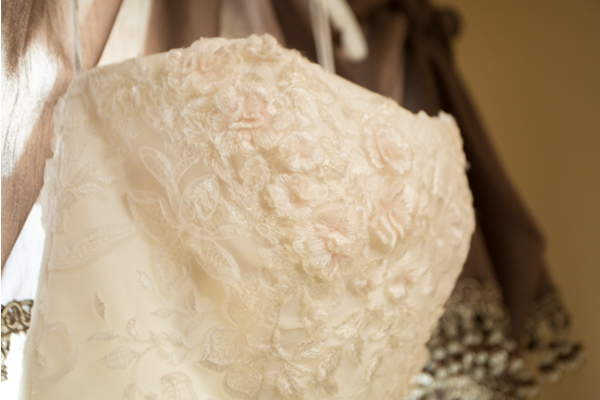 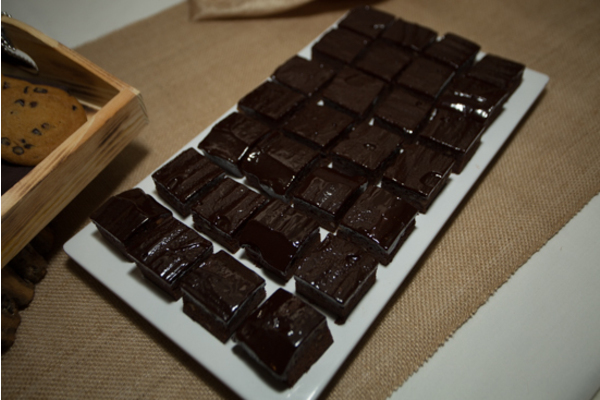 We wish you nothing but the best of luck and all the happiness!